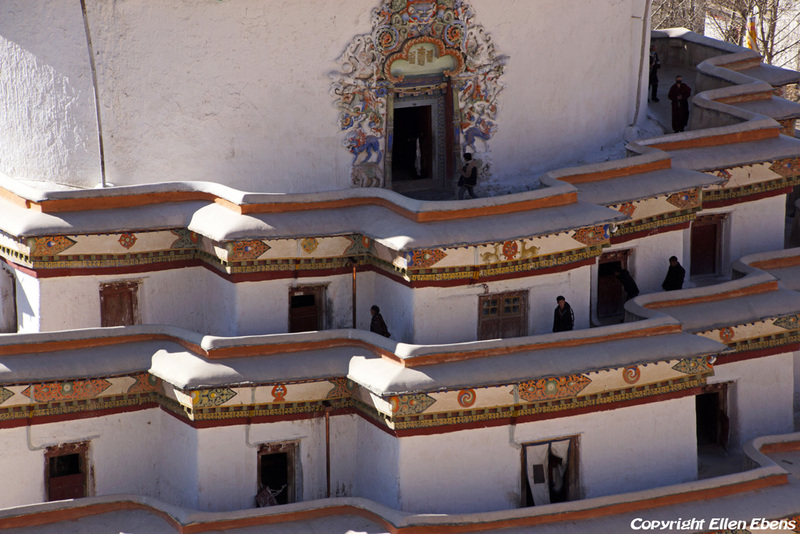 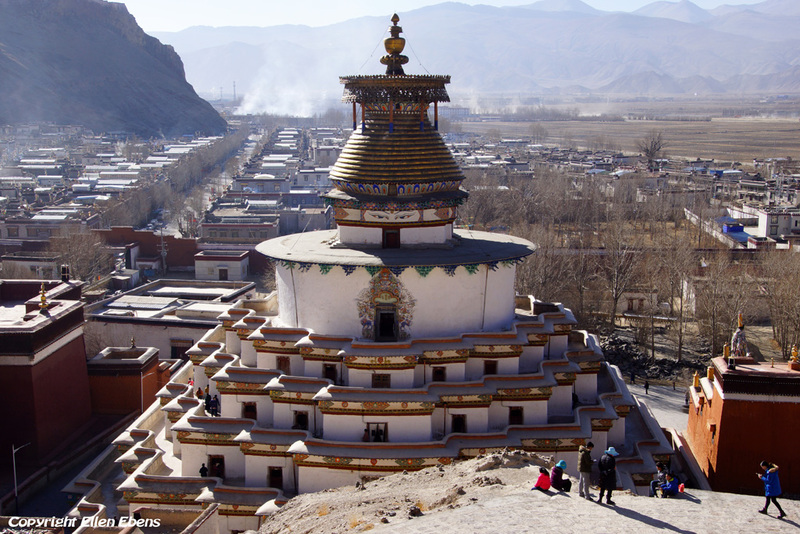 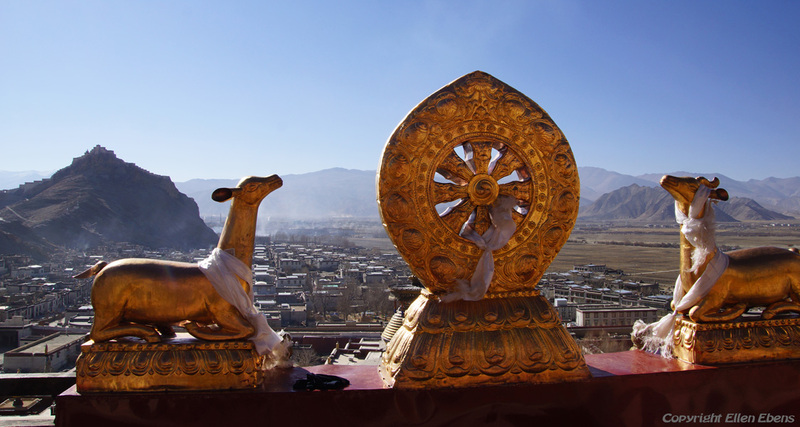 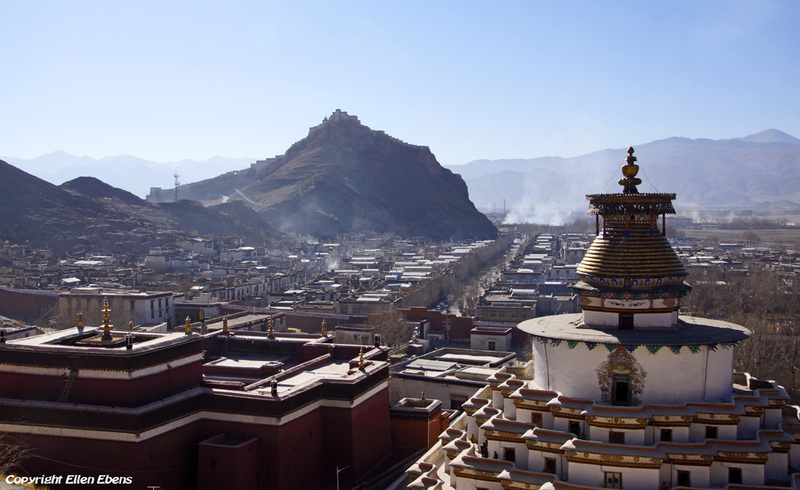 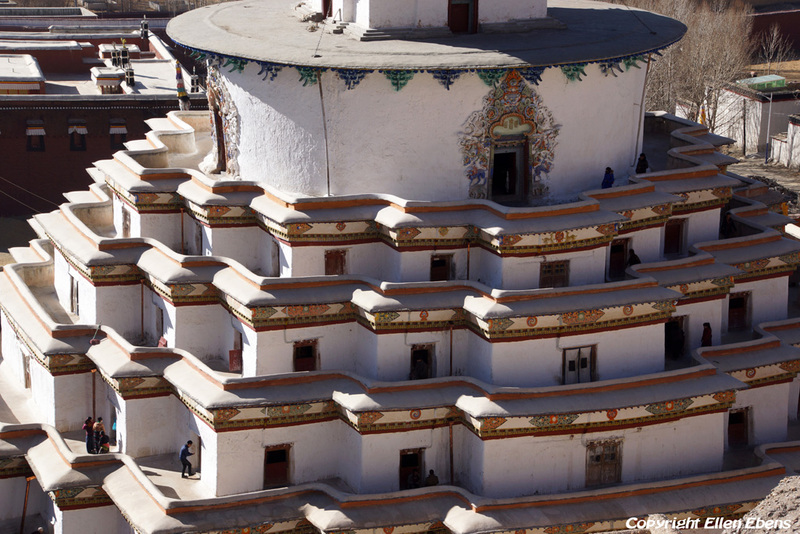 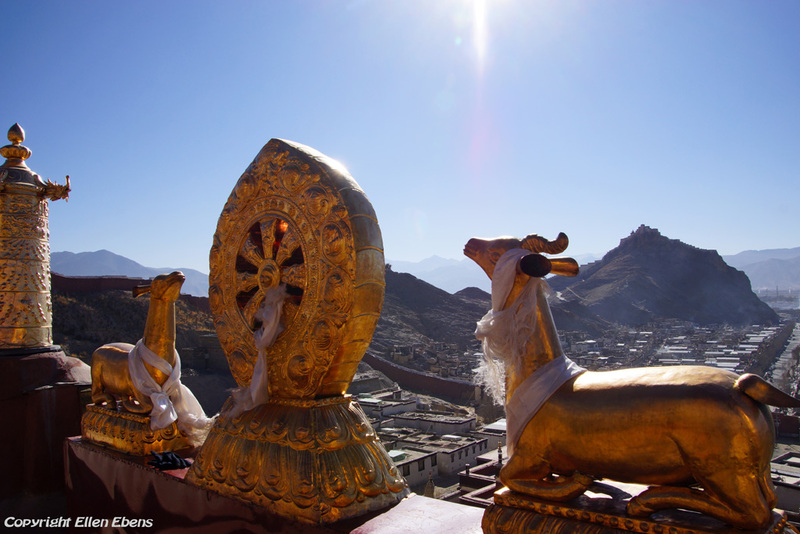 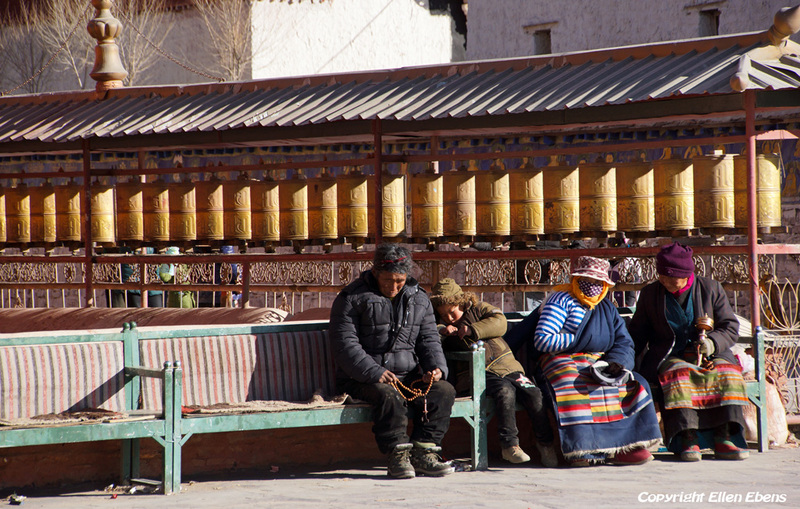 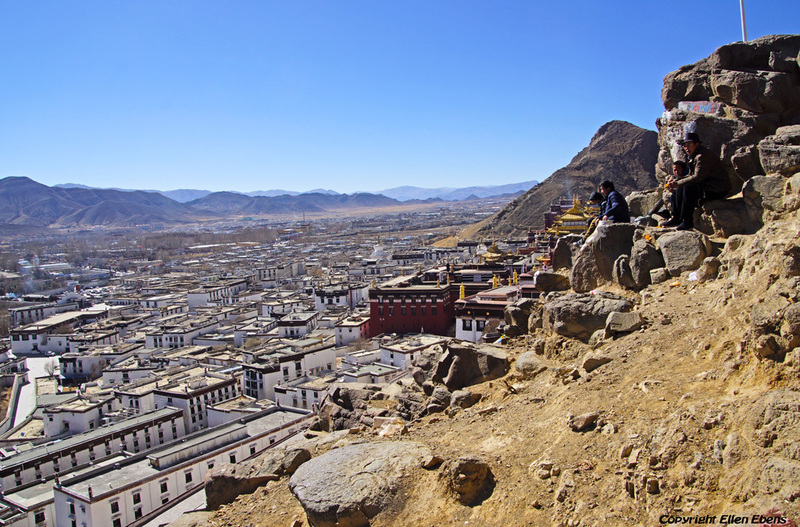 Looking out over the Pelkor Chöde Monastery with the Gyantse Kumbum stupa. 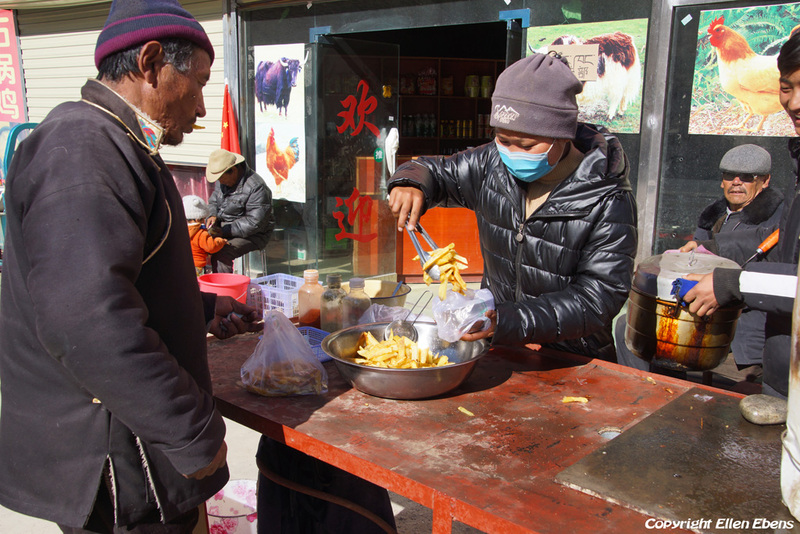 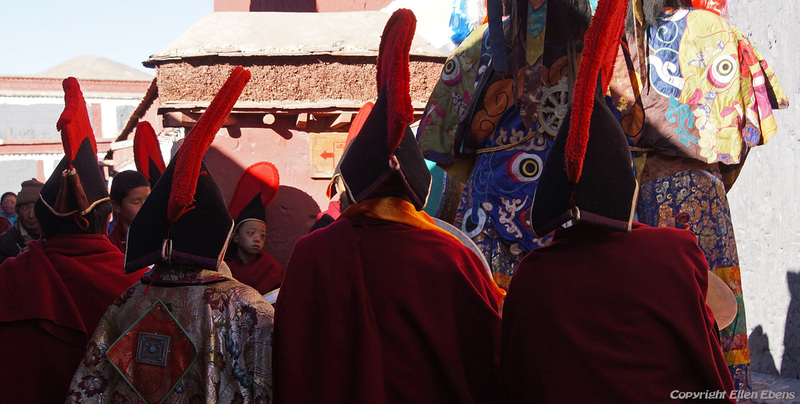 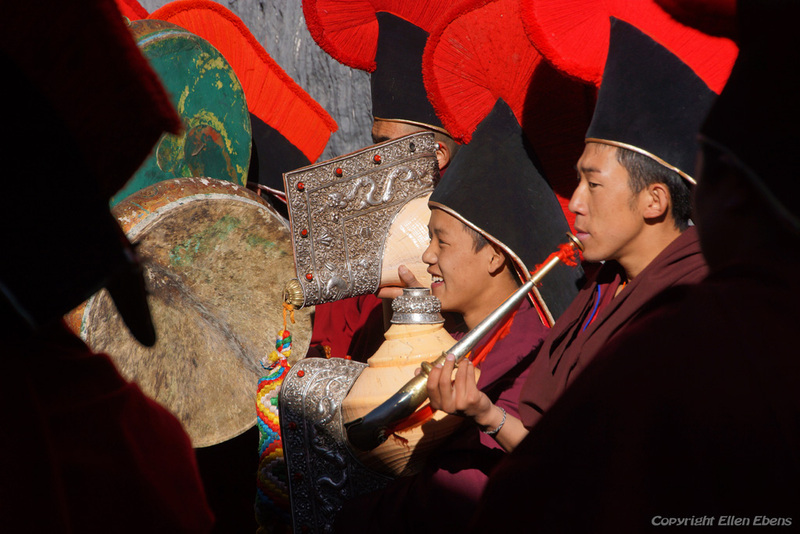 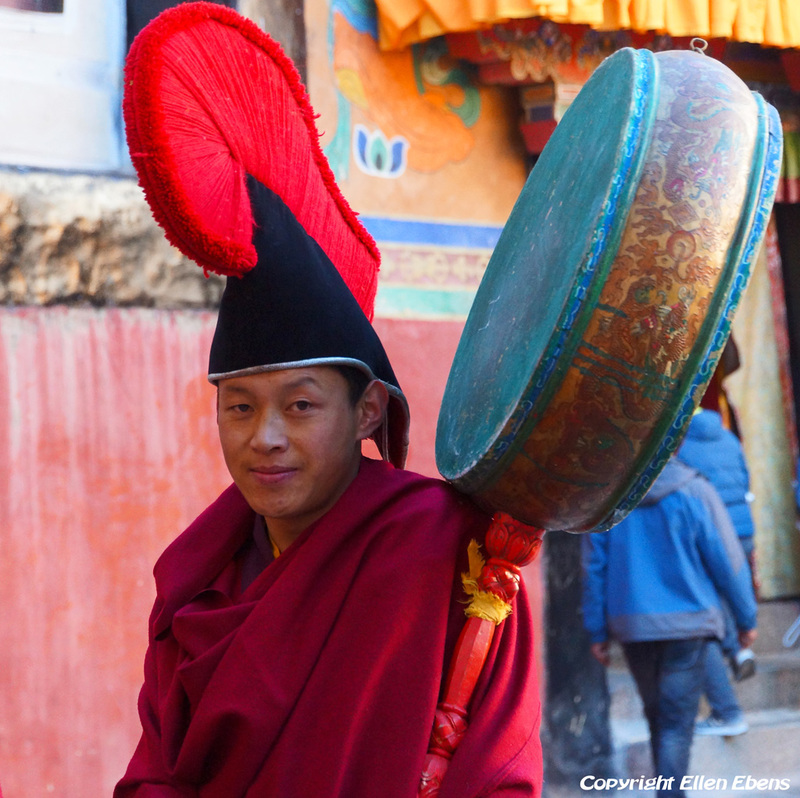 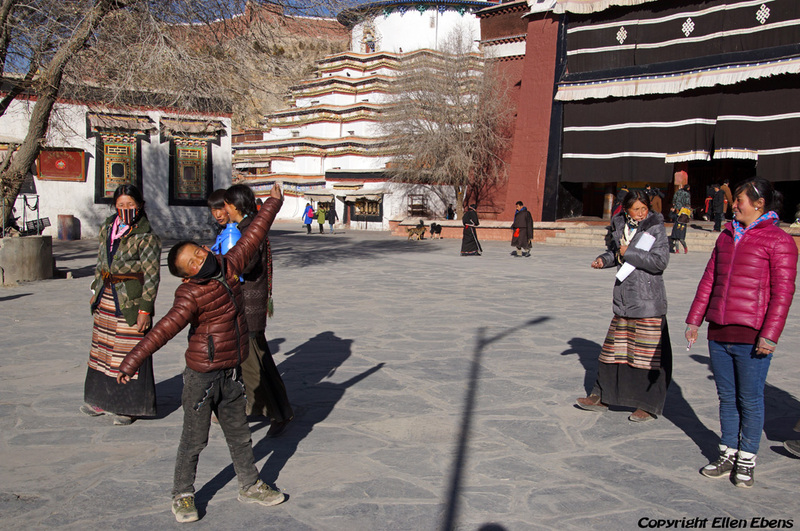 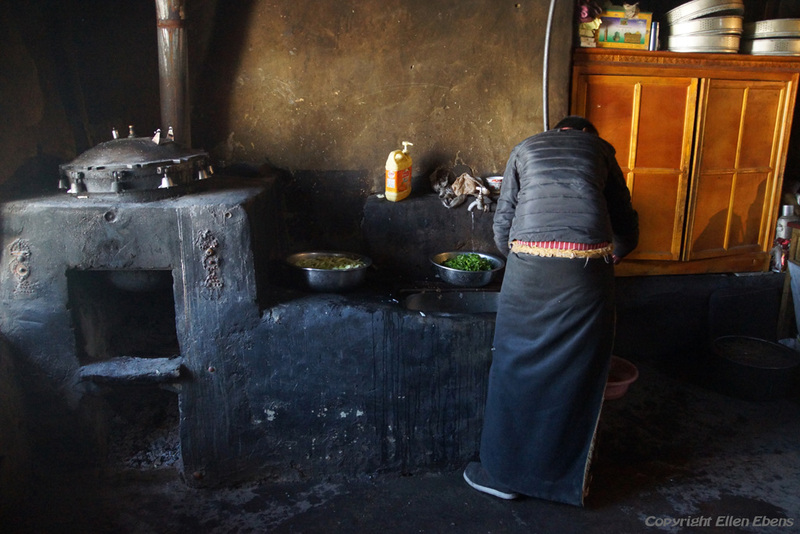 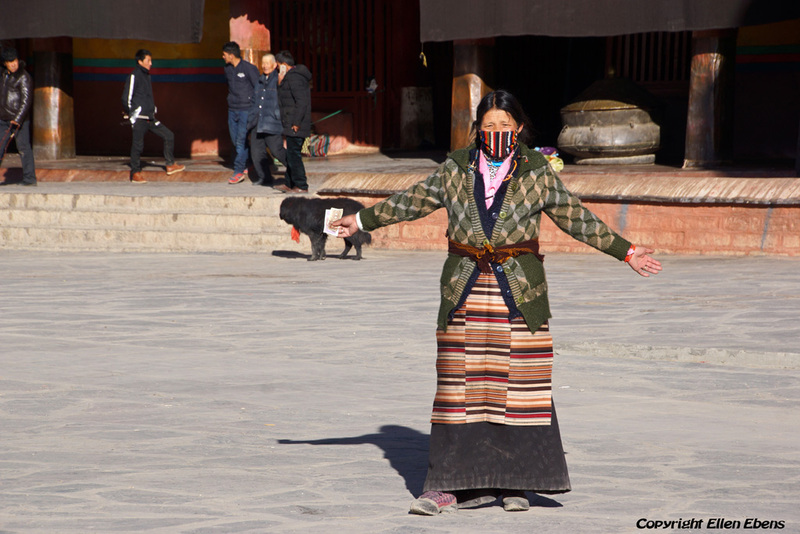 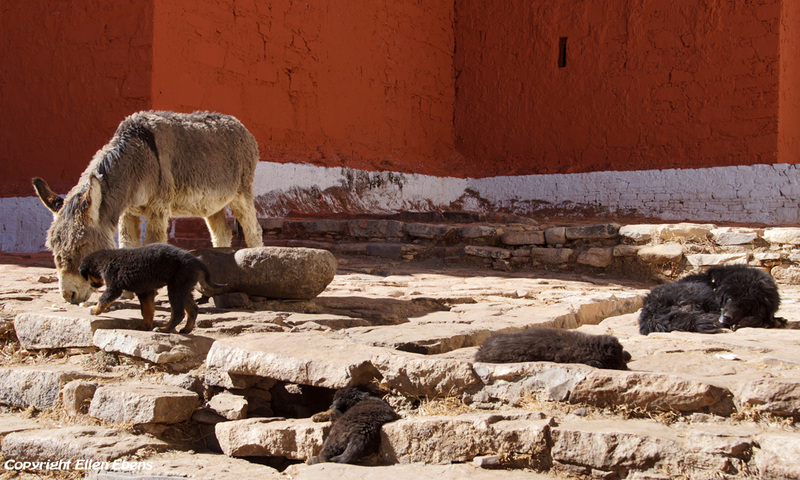 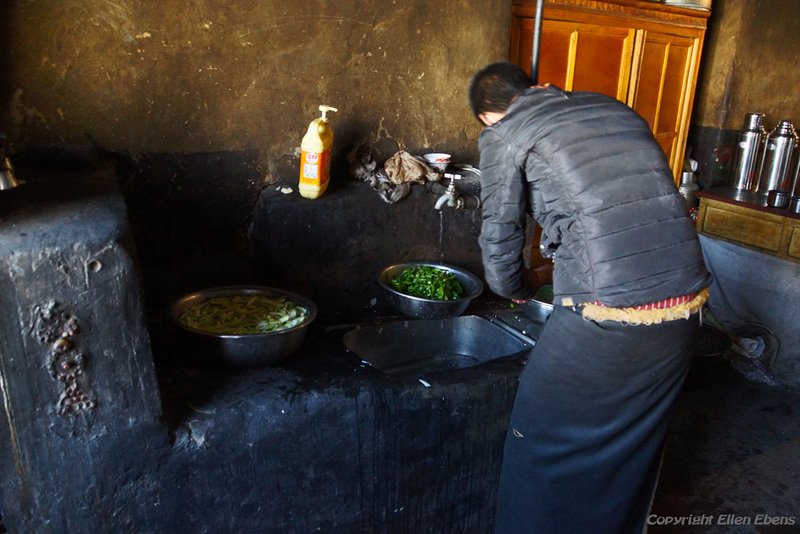 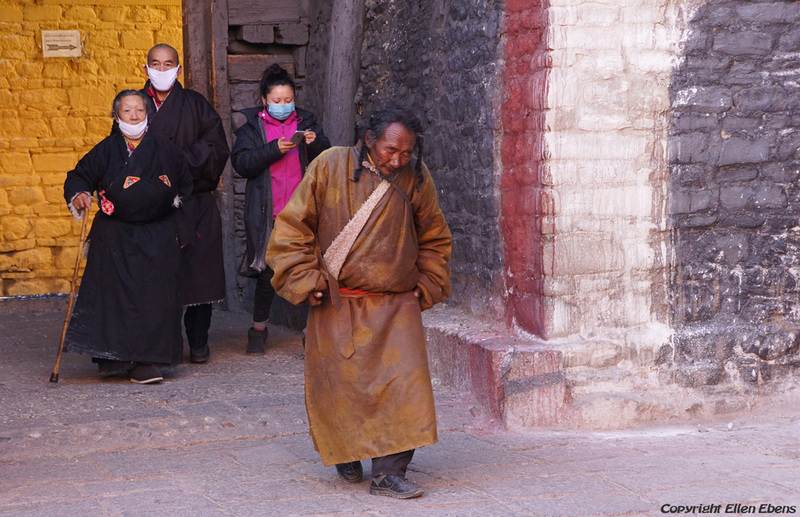 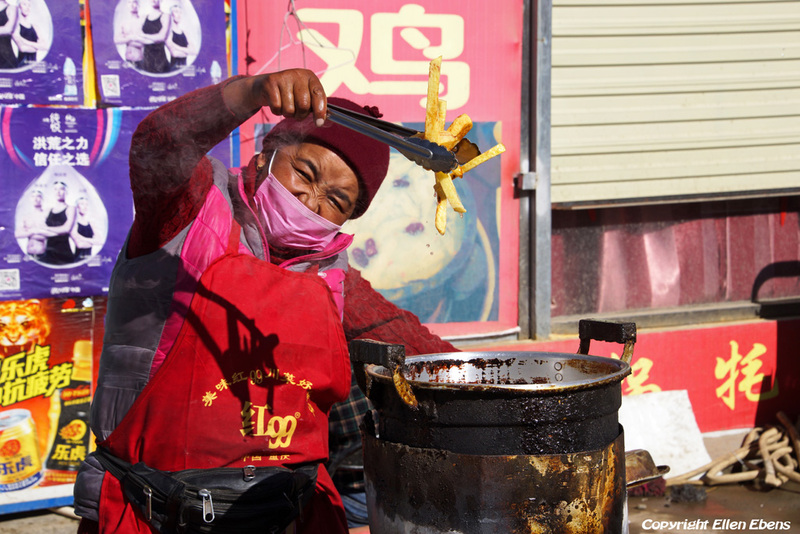 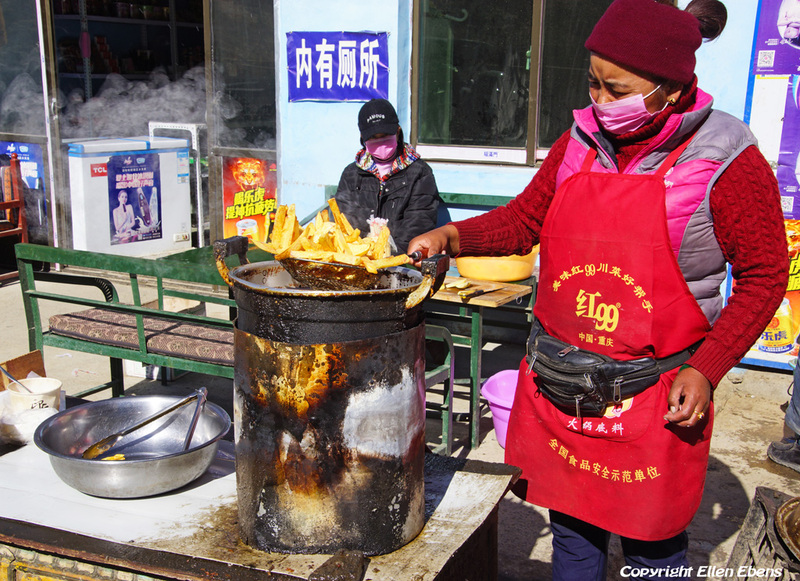 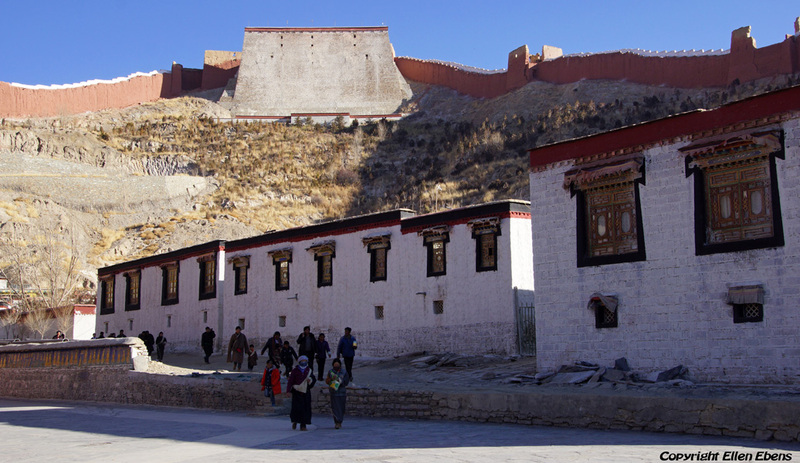 In the background is the Gyantse Dzong. 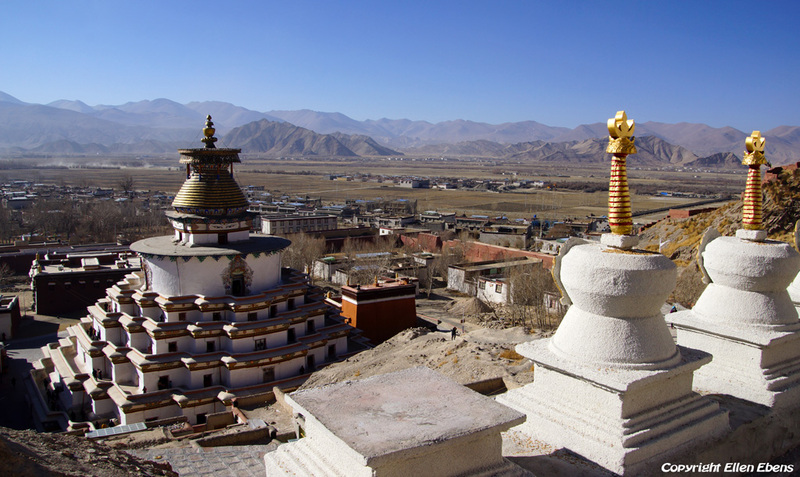 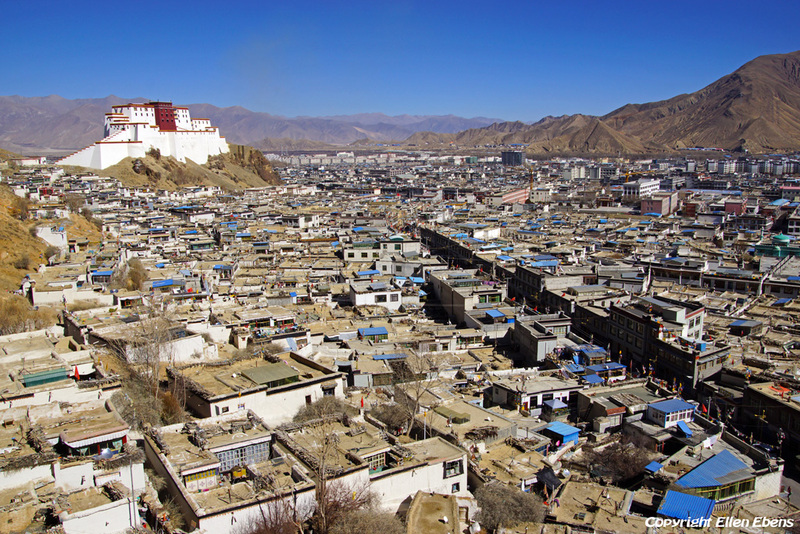 Looking out over the city of Gyantse with towering above the city the Gyantse Dzong. 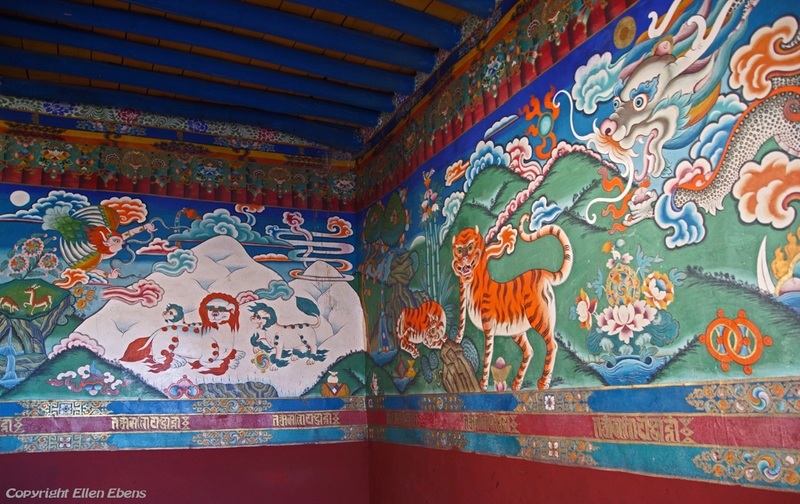 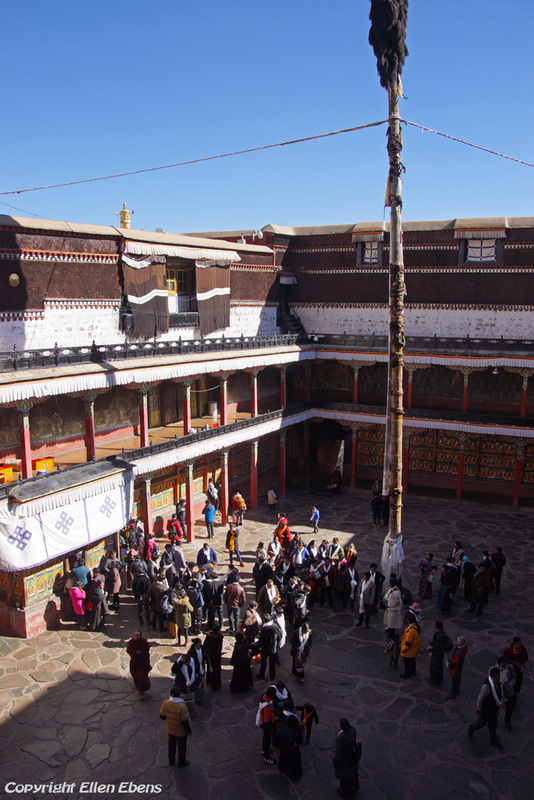 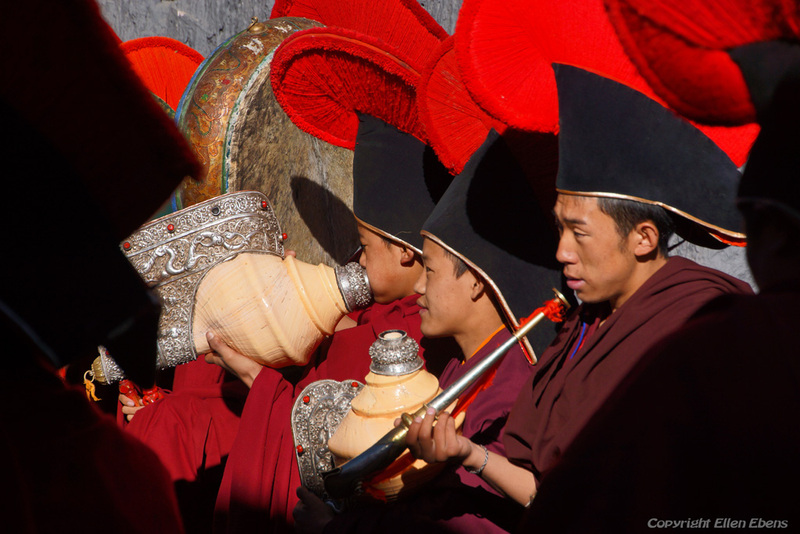 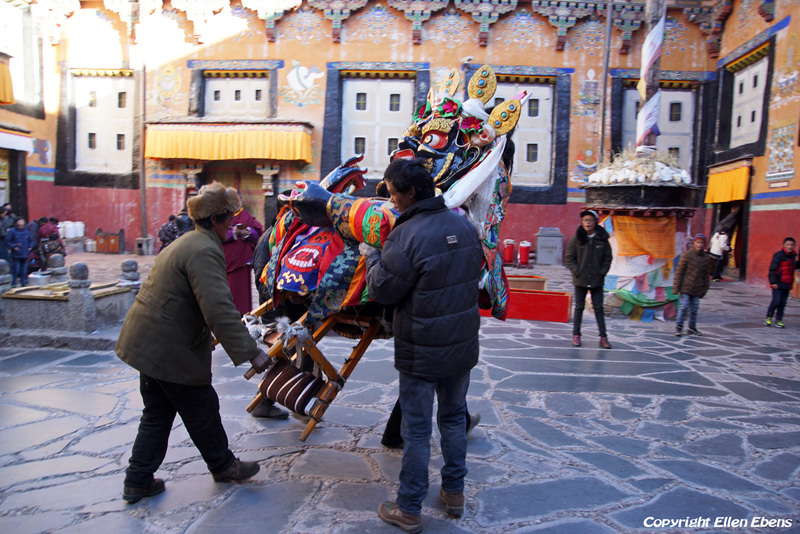 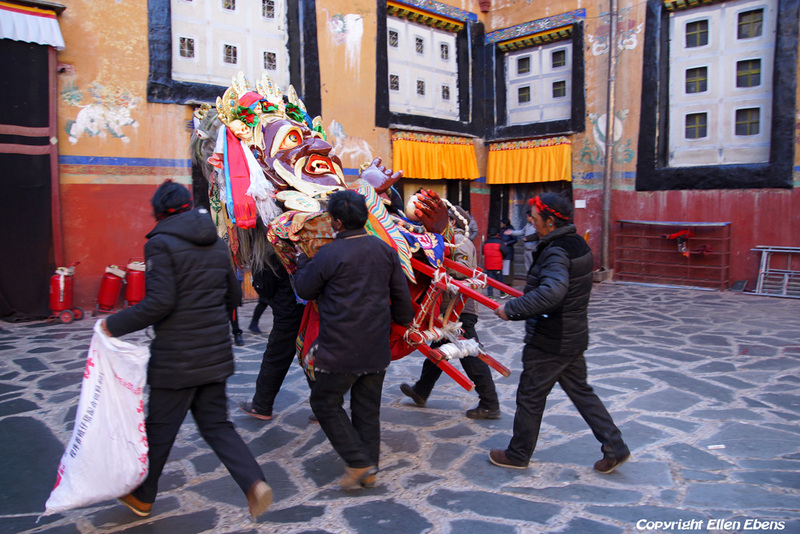 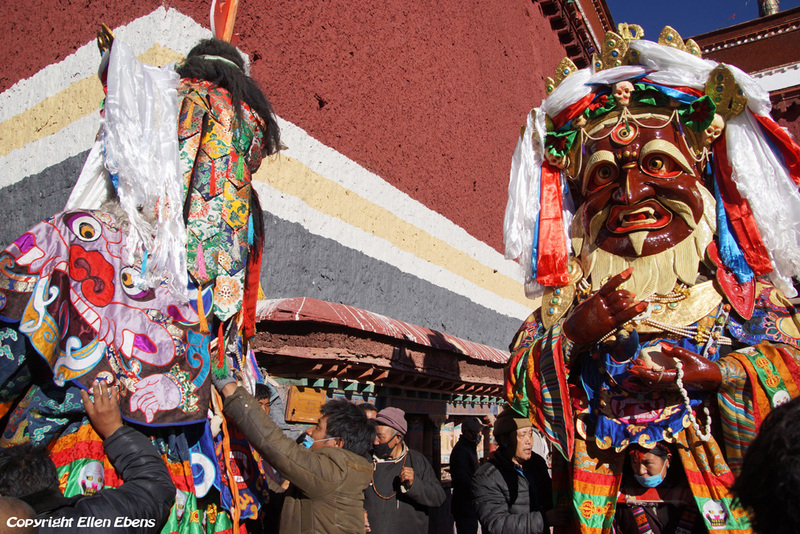 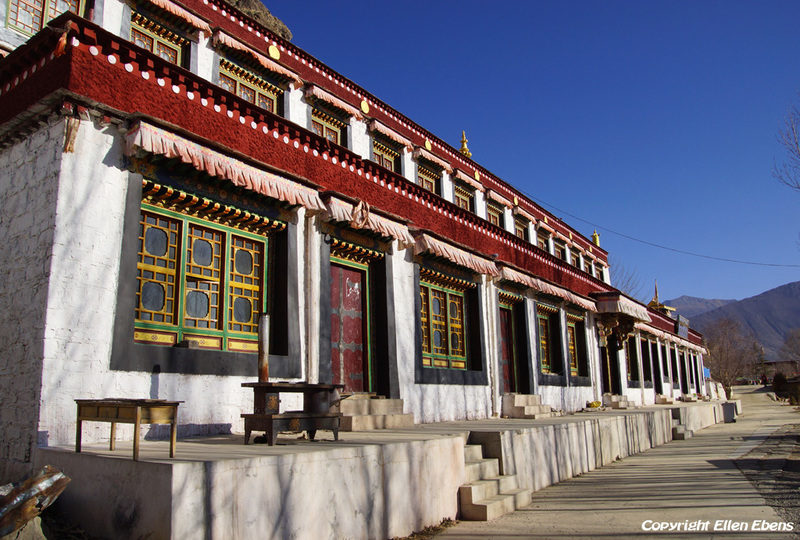 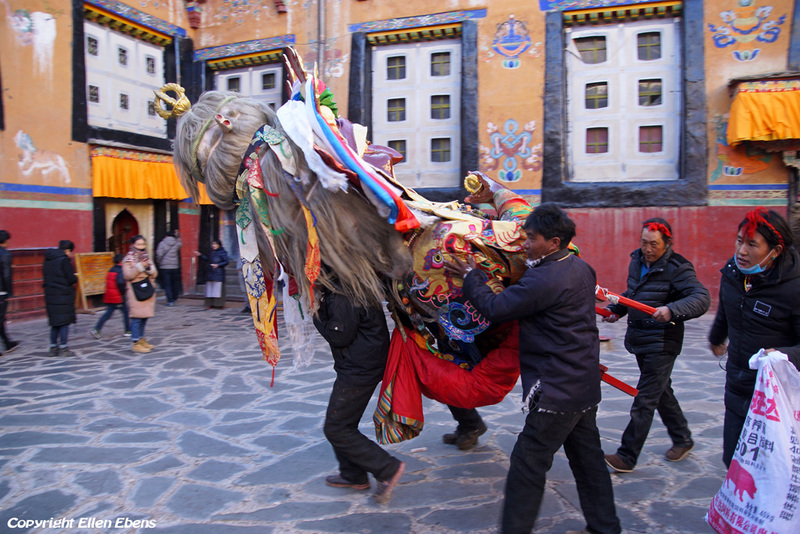 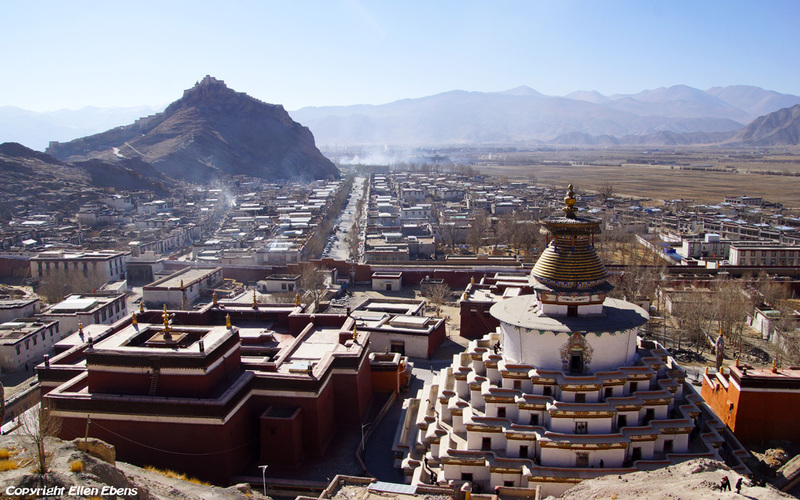 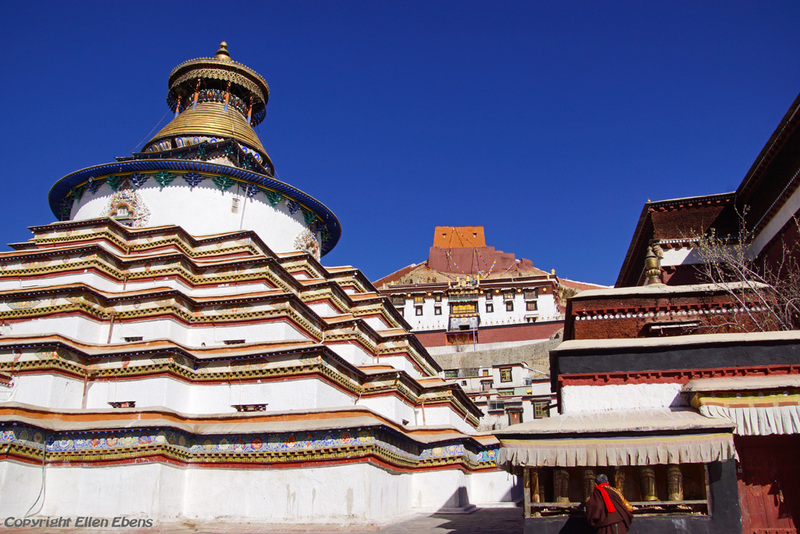 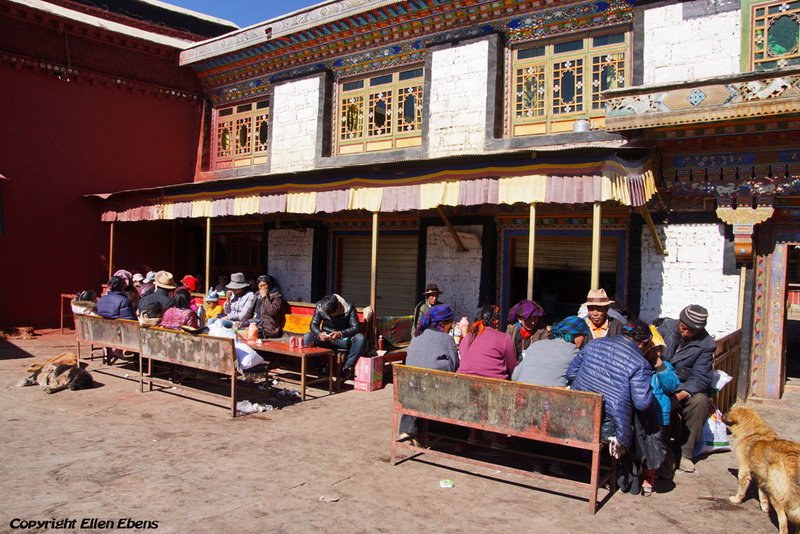 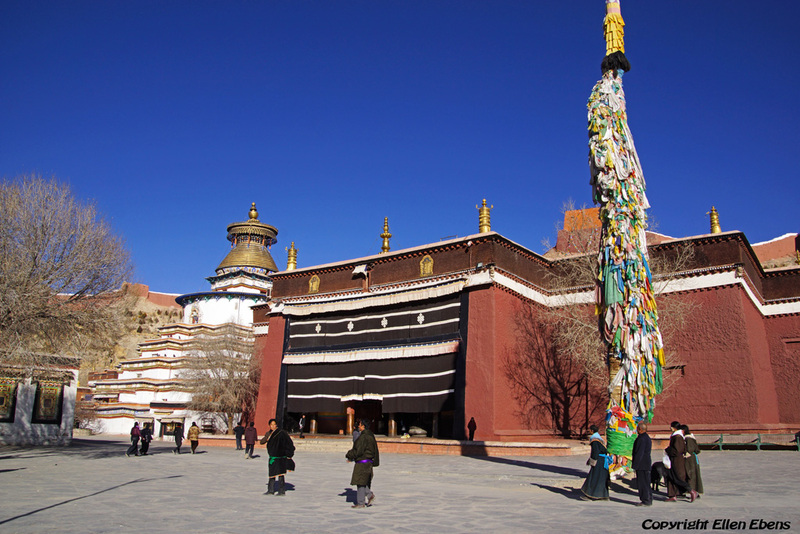 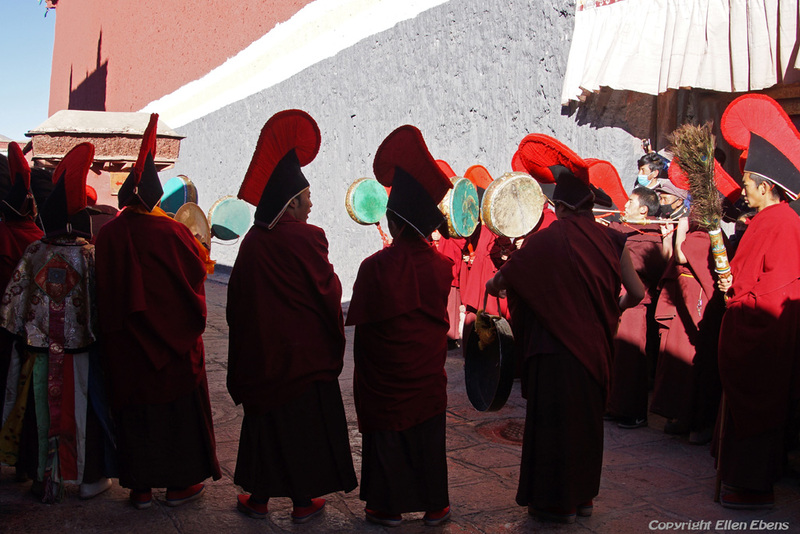 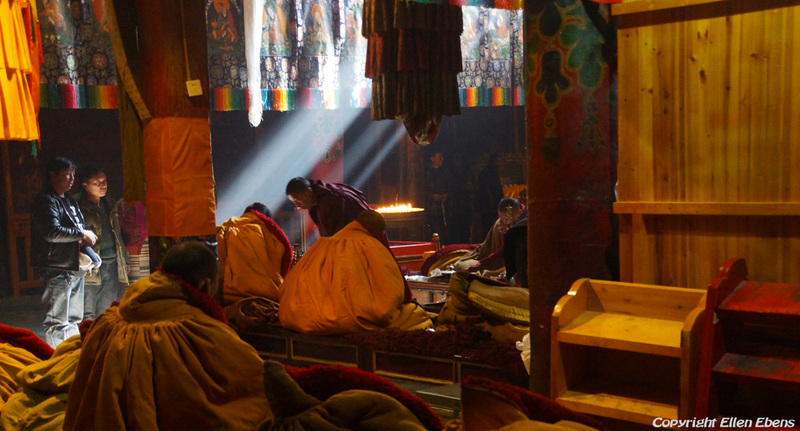 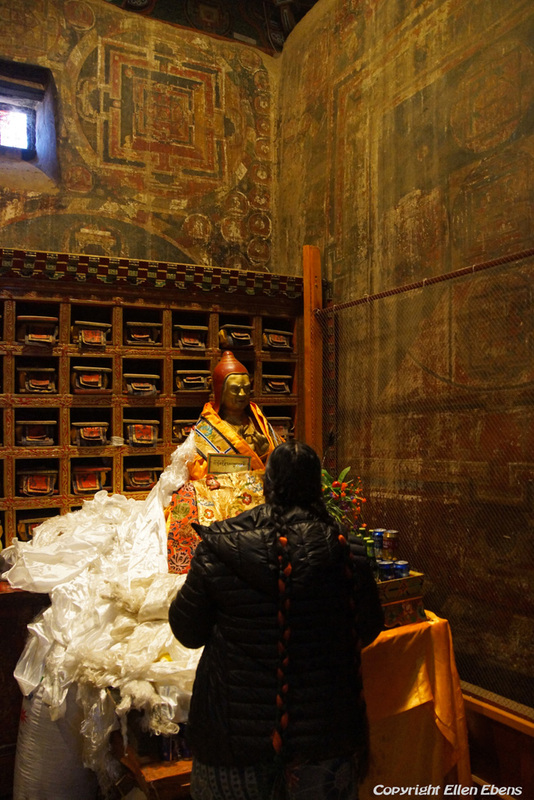 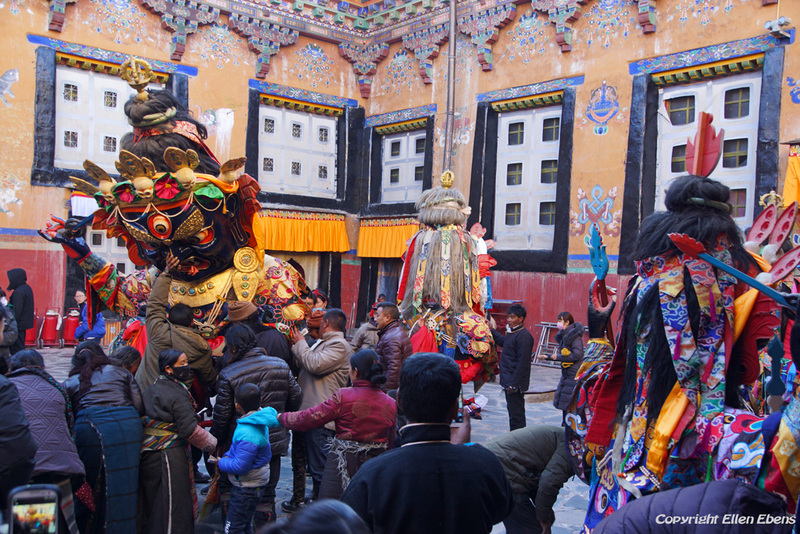 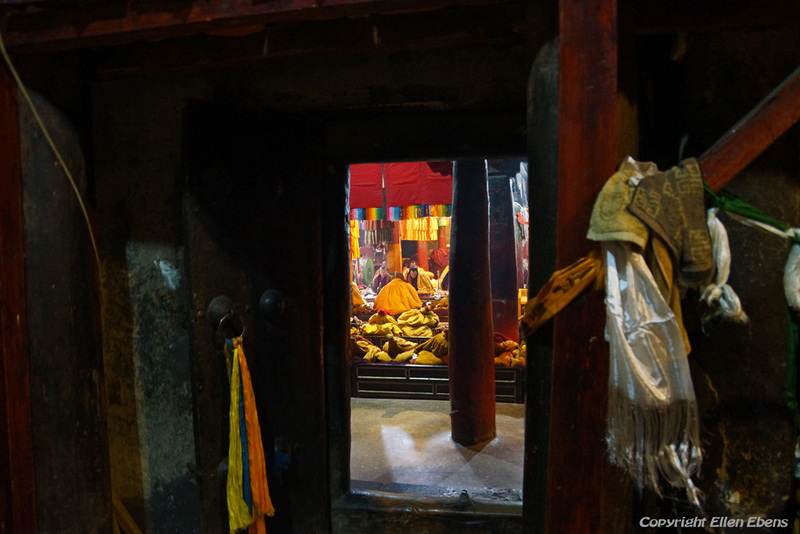 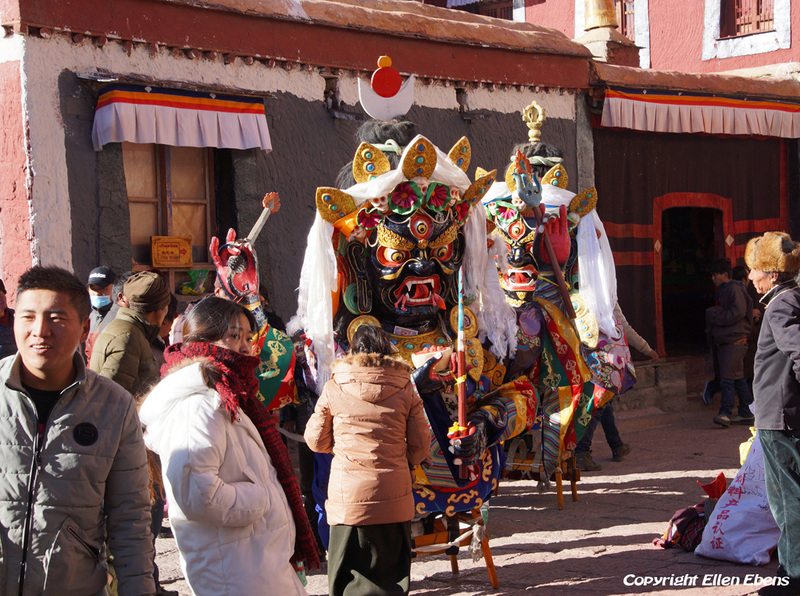 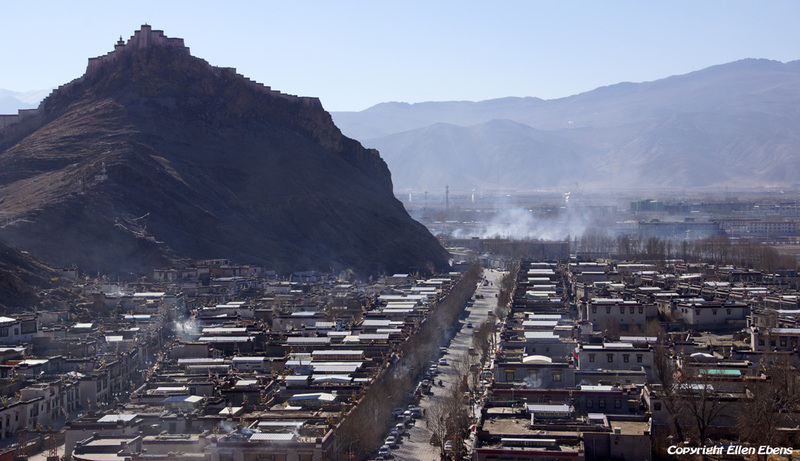 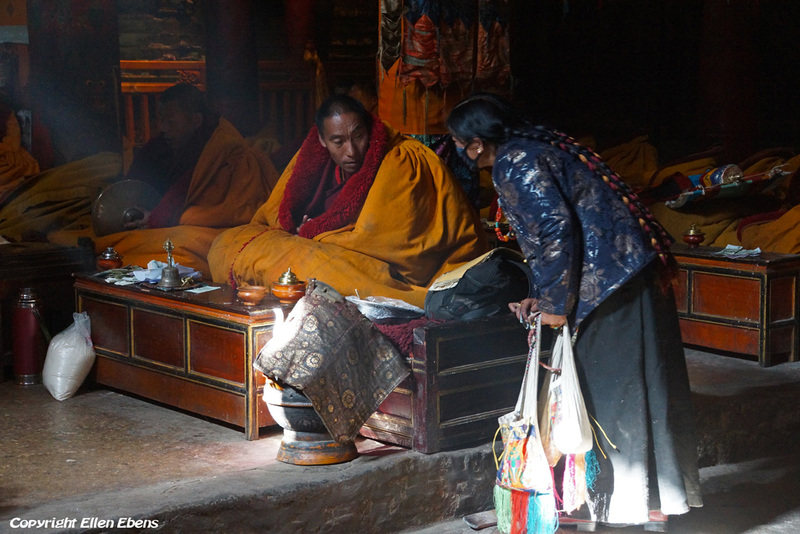 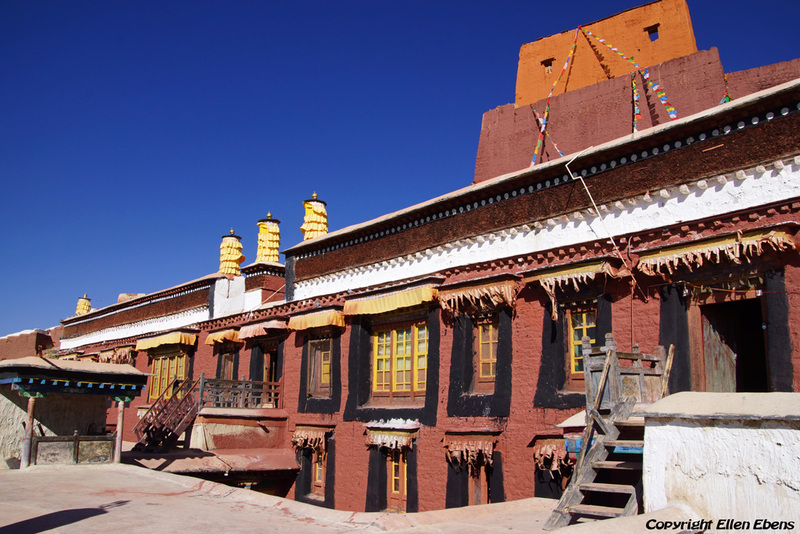 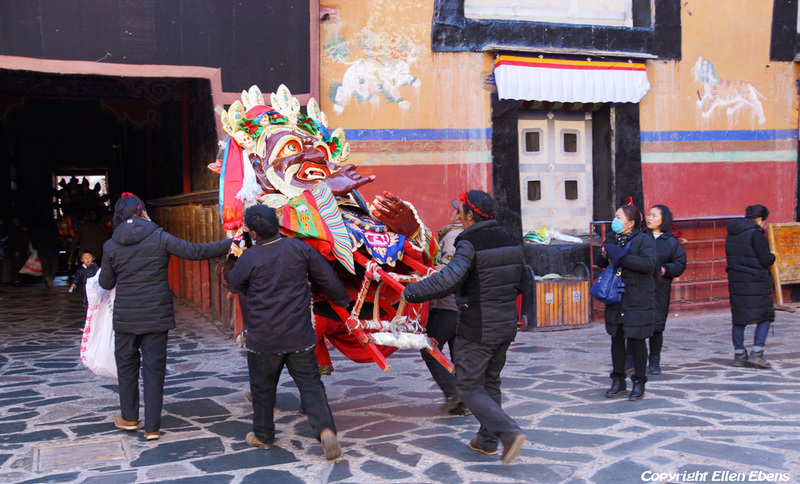 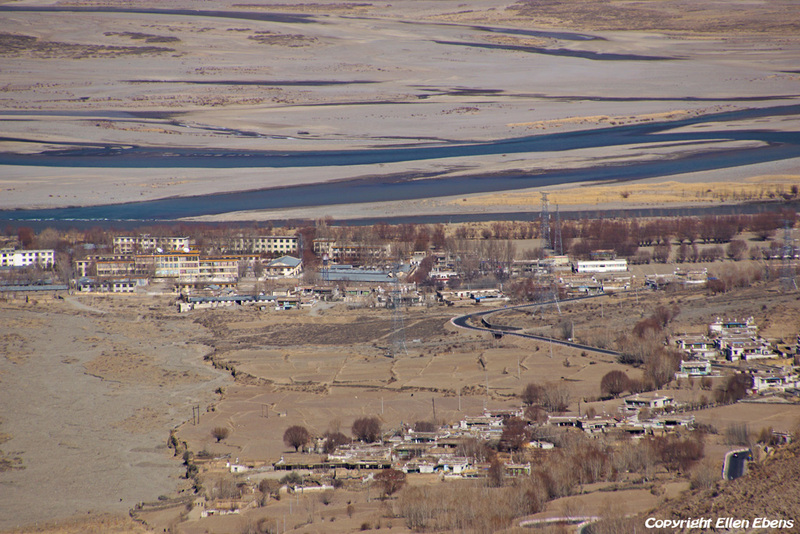 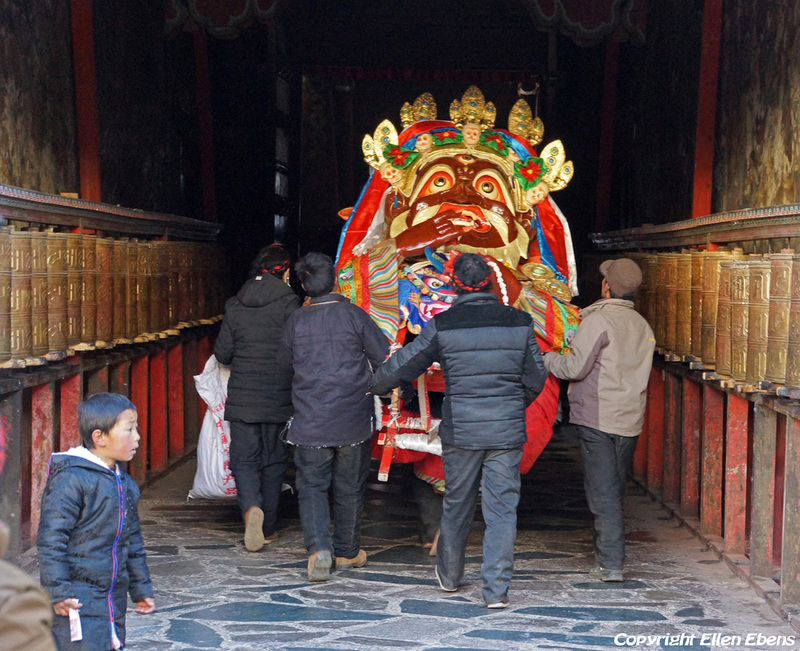 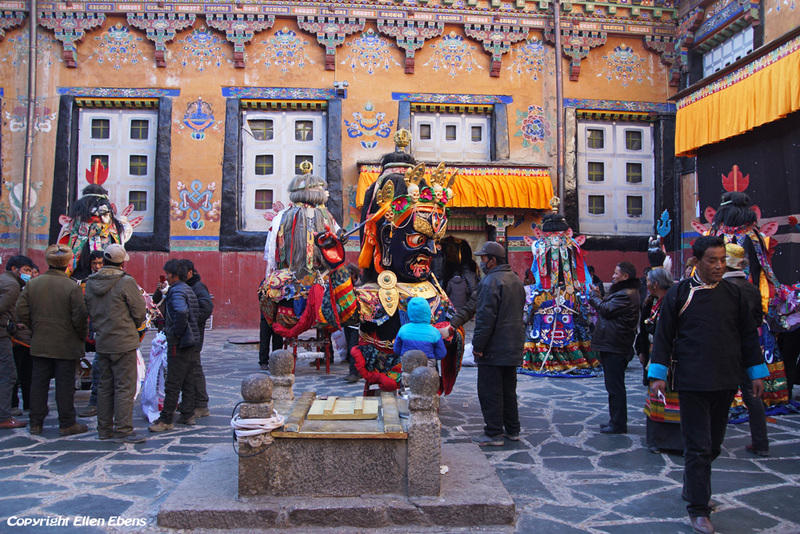 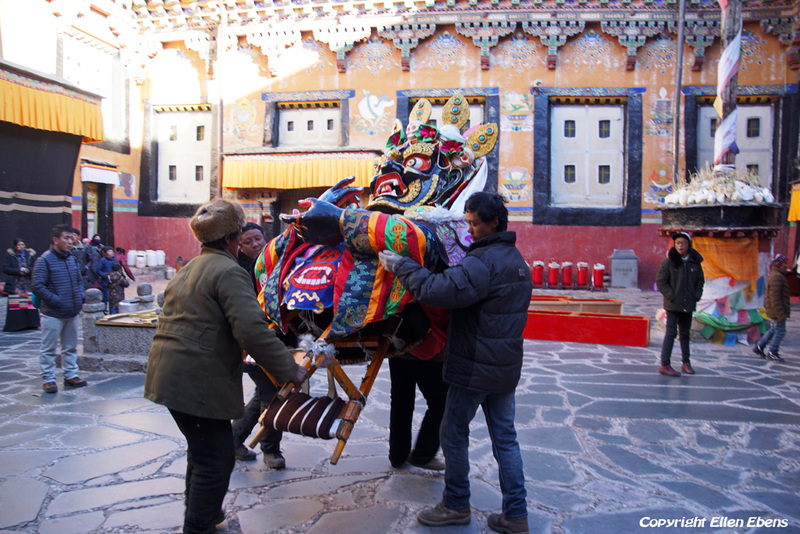 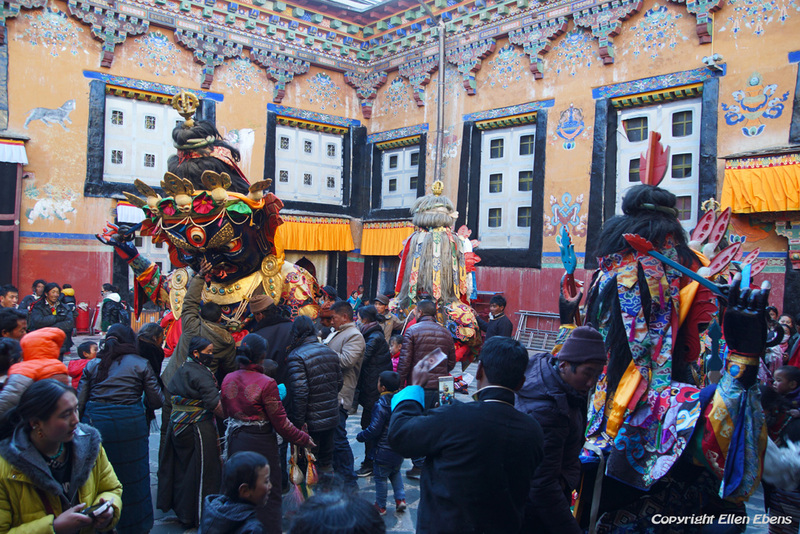 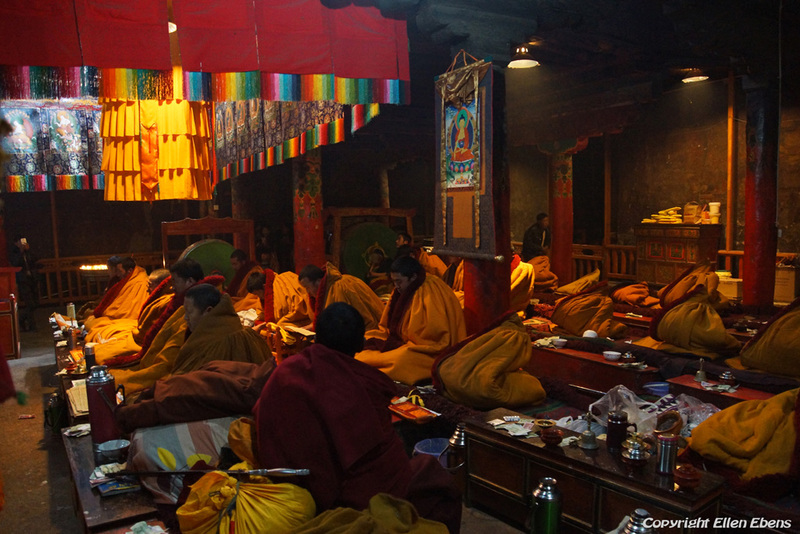 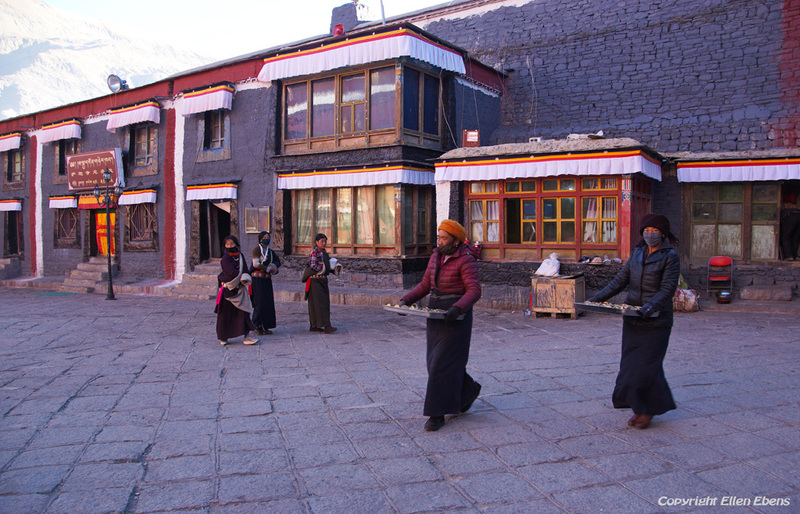 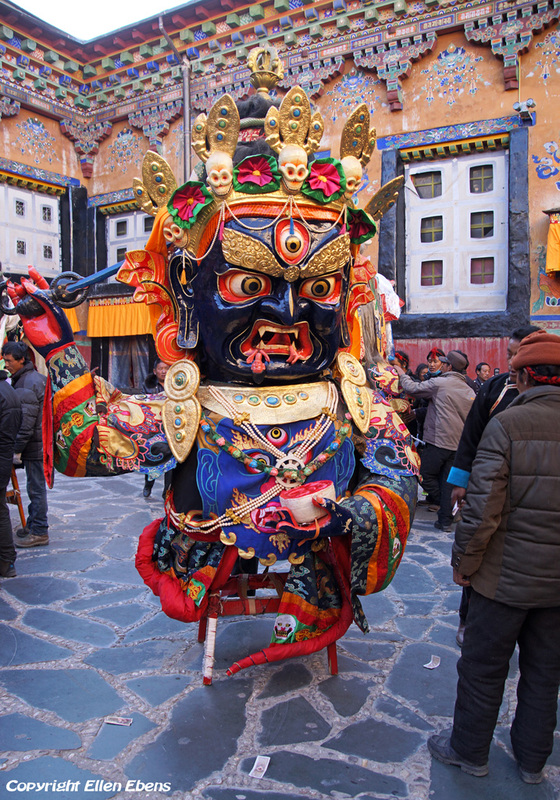 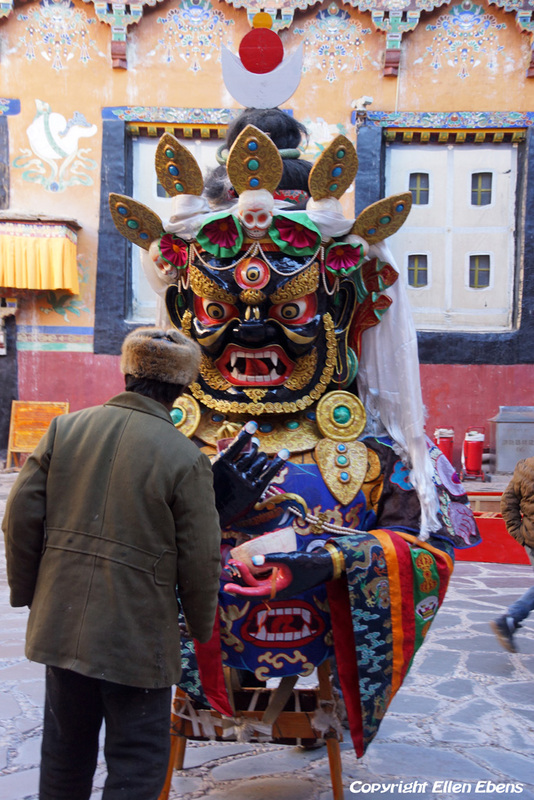 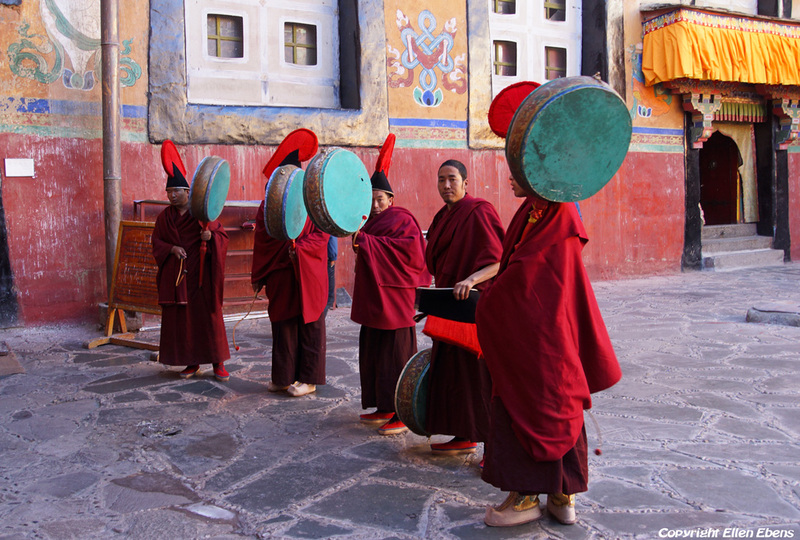 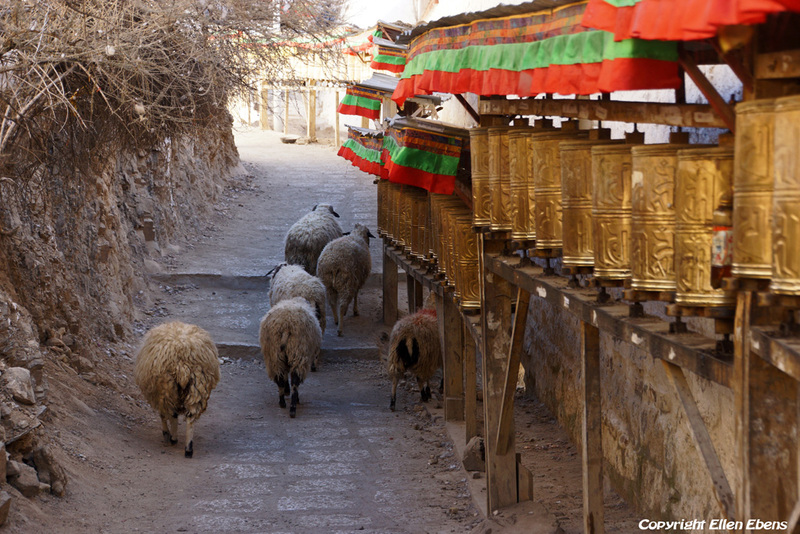 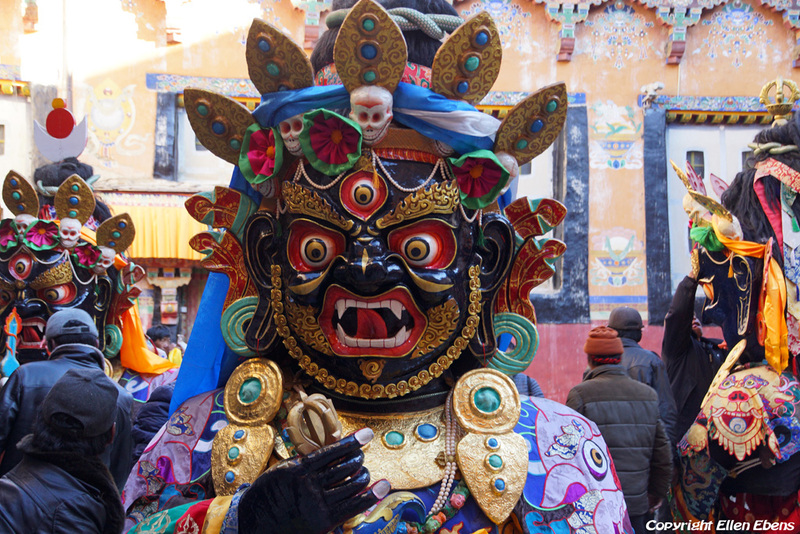 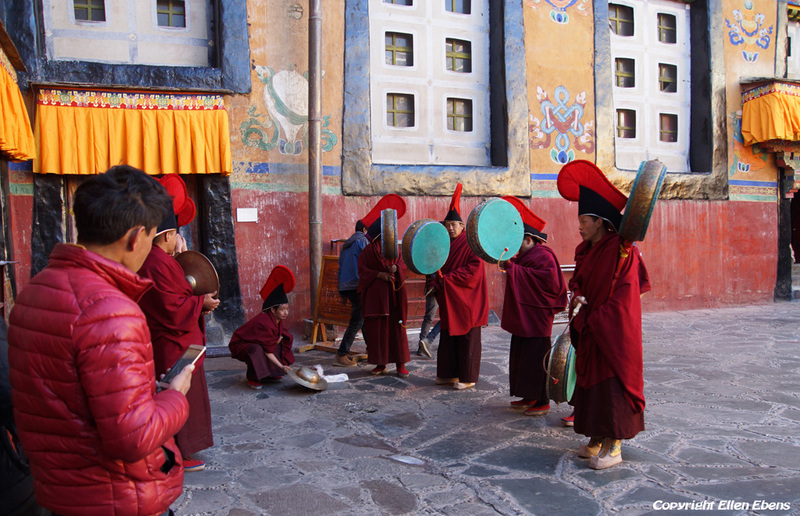 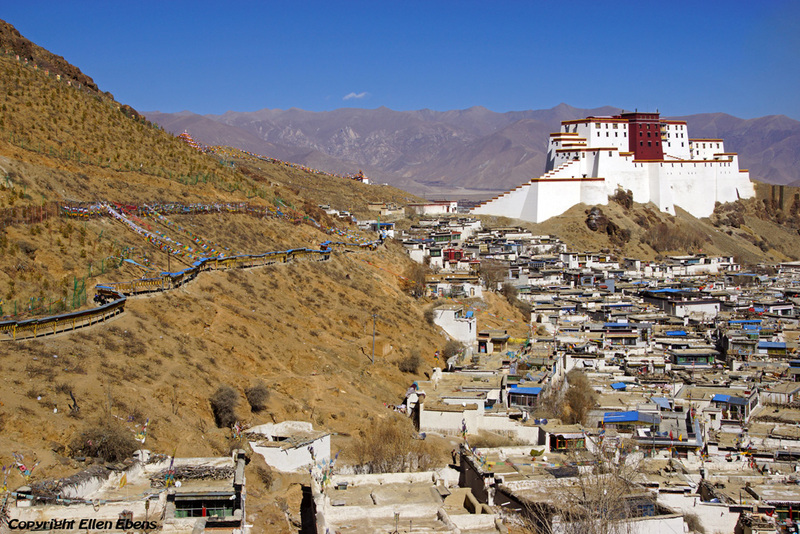 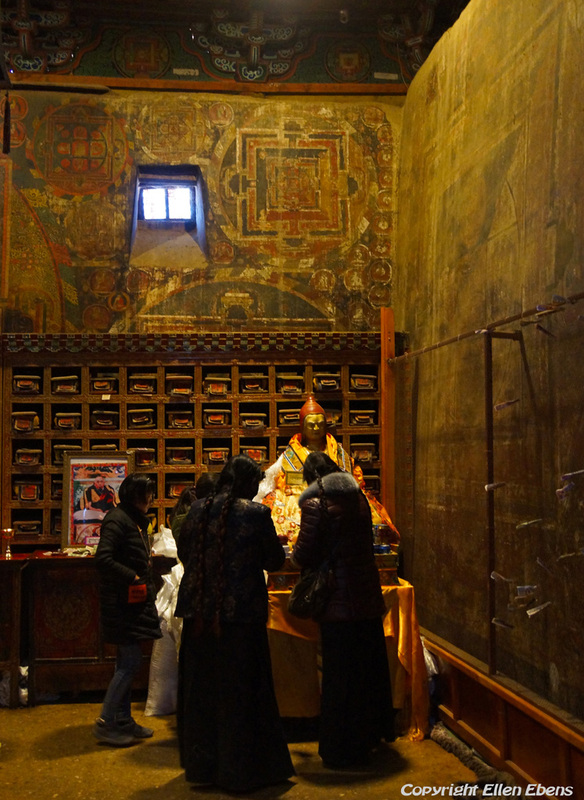 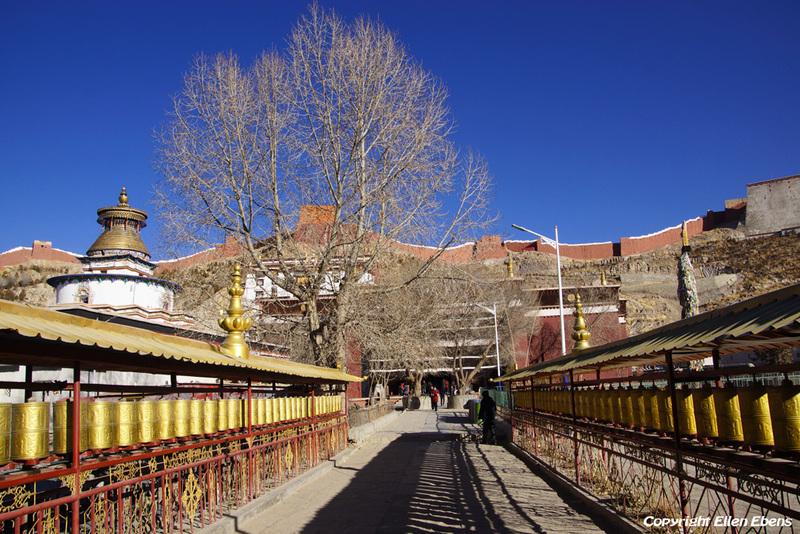 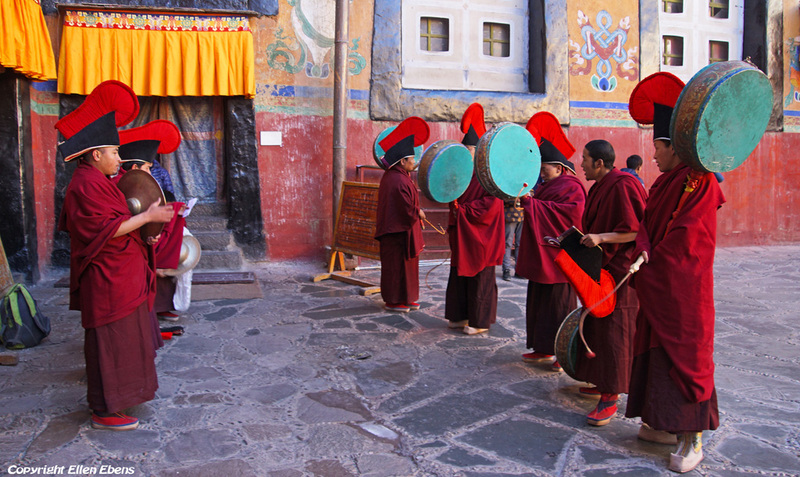 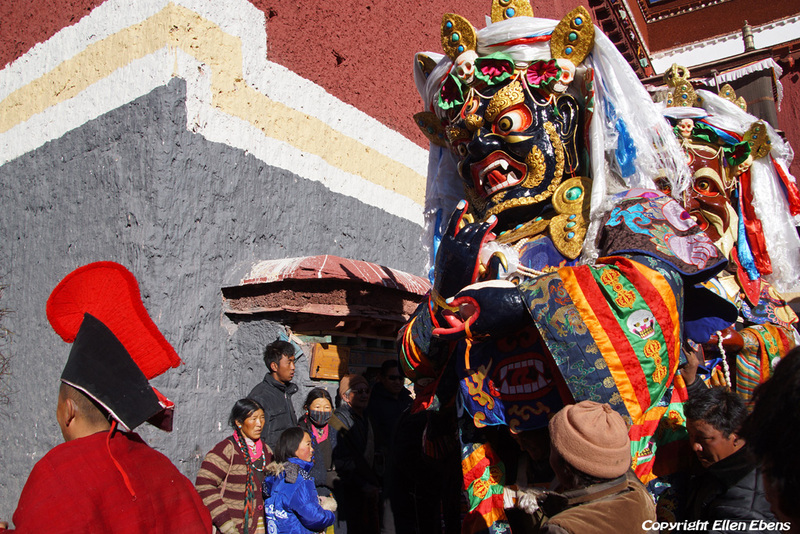 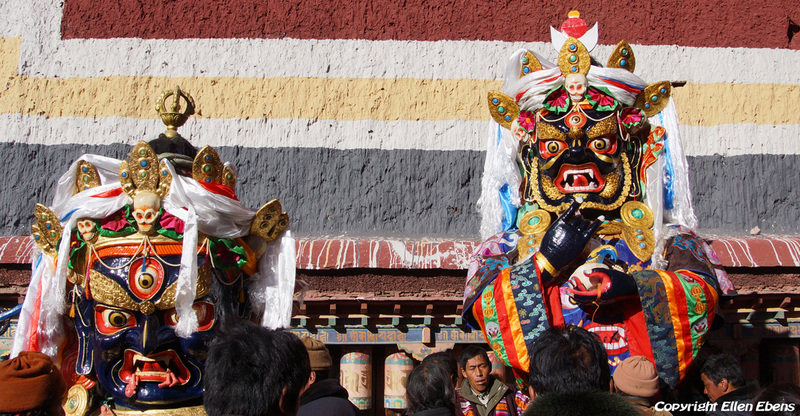 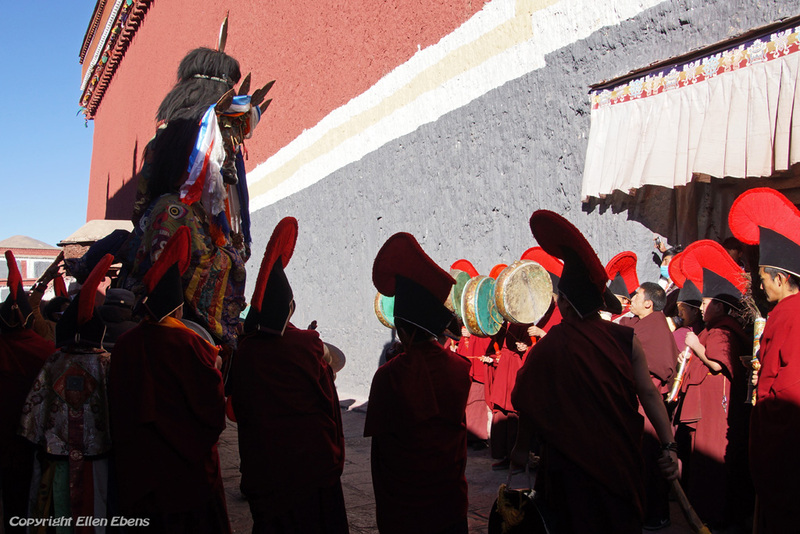 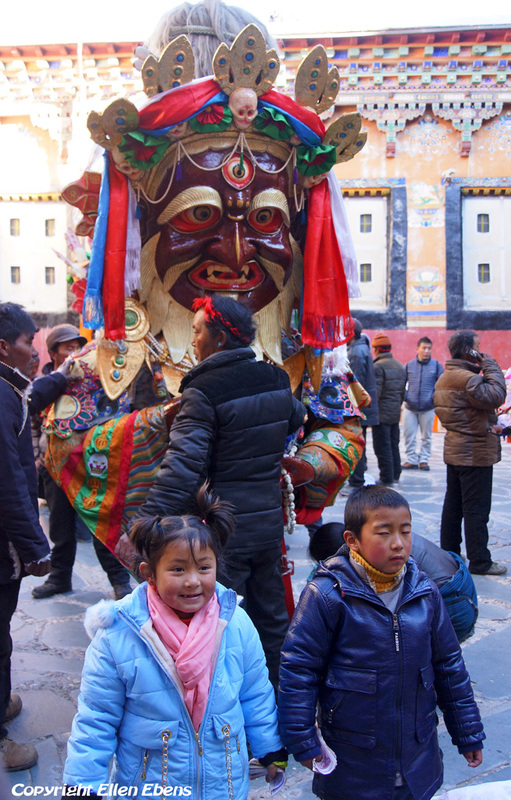 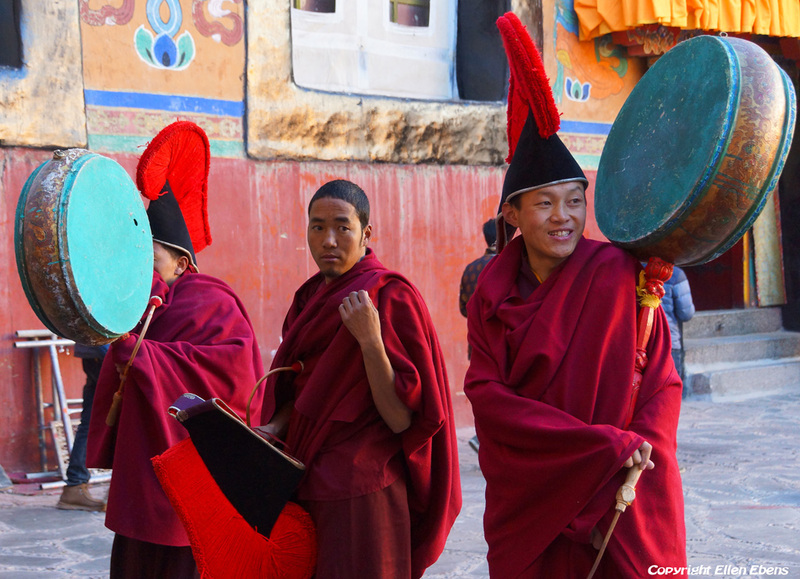 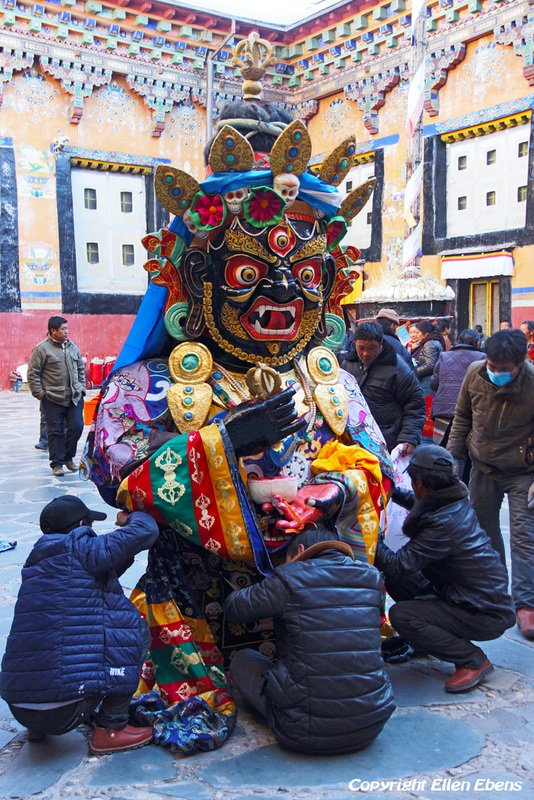 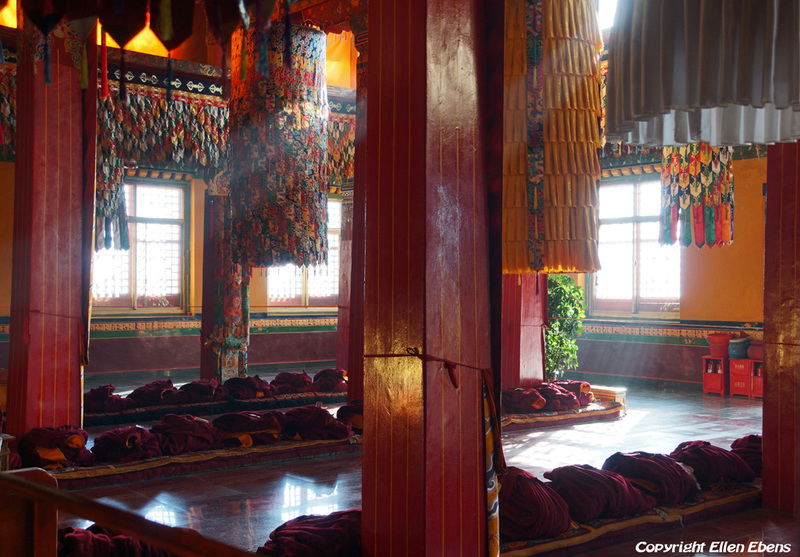 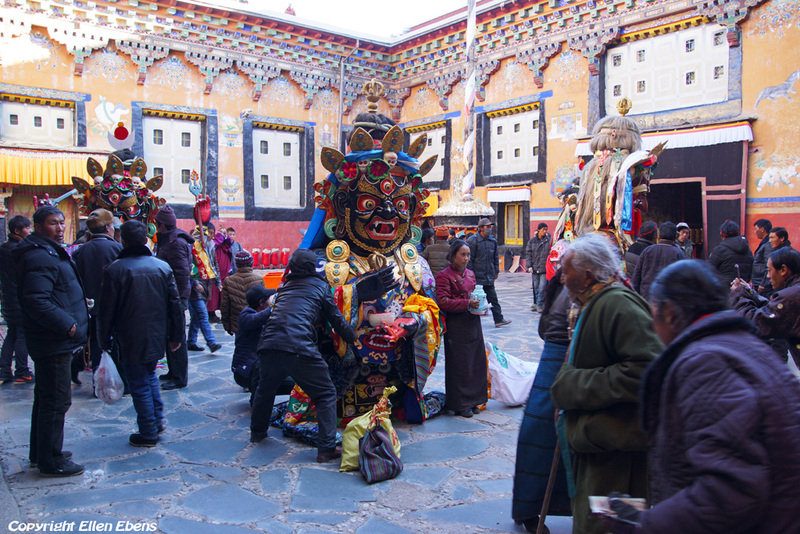 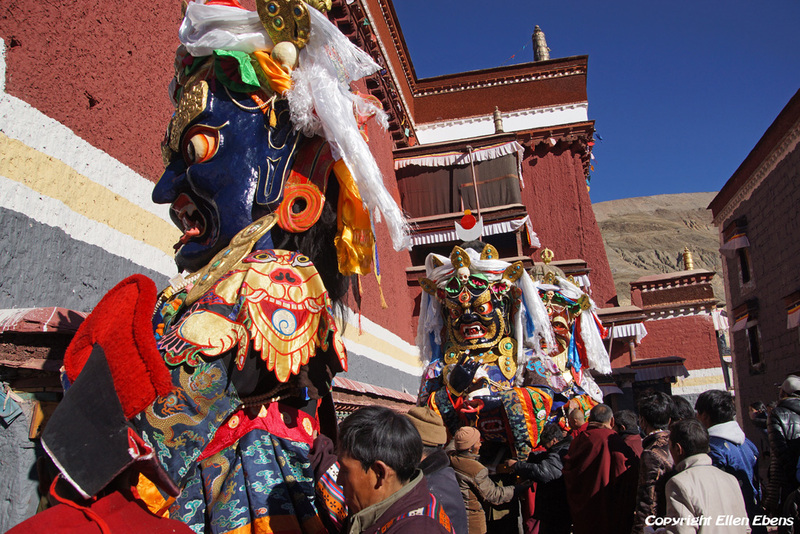 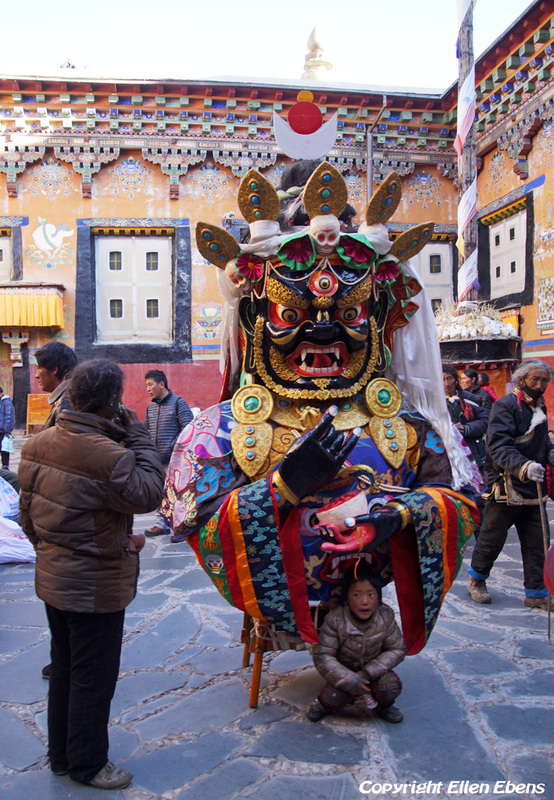 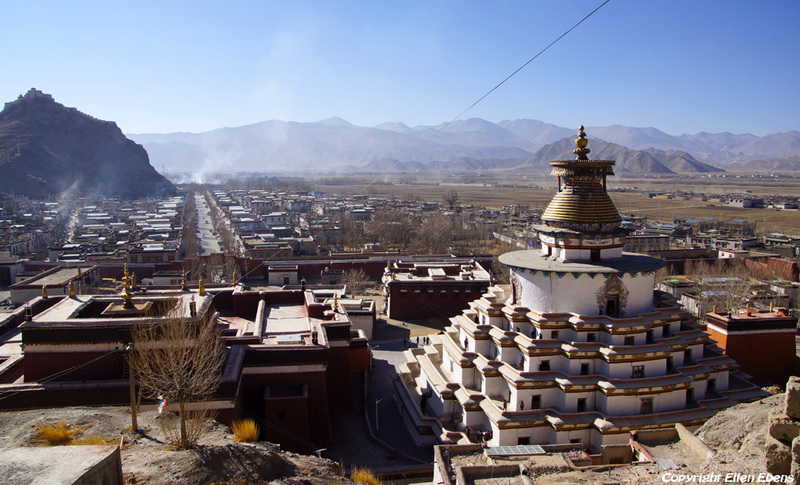 The city of Sakya with it’s big monastery. 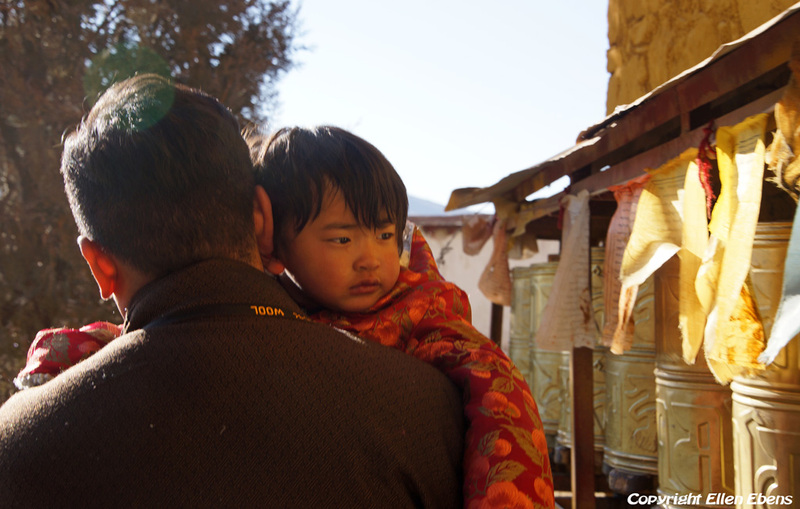 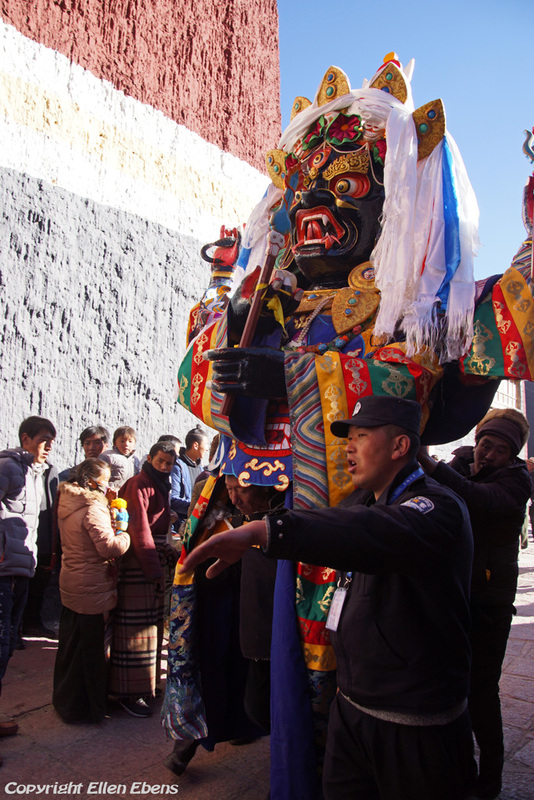 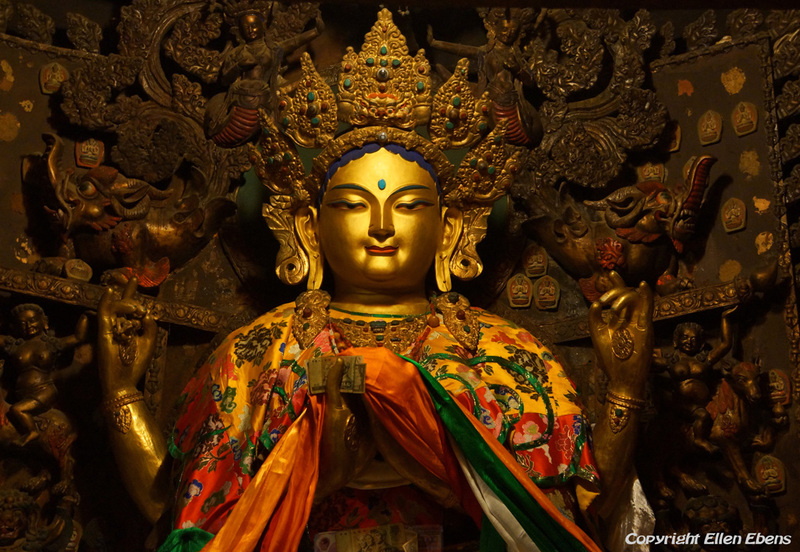 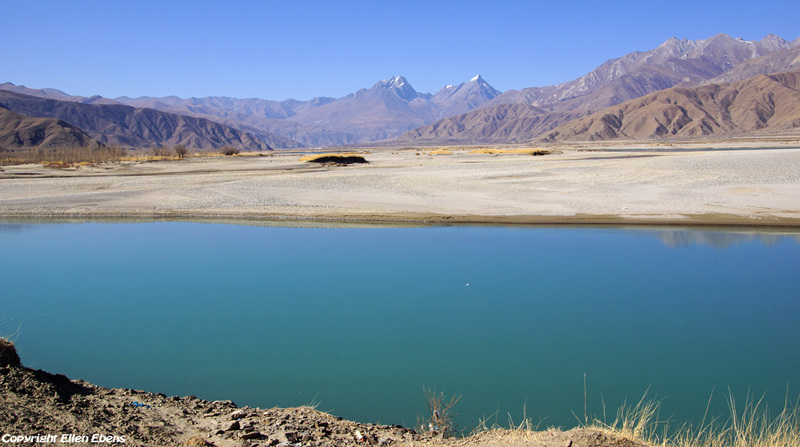 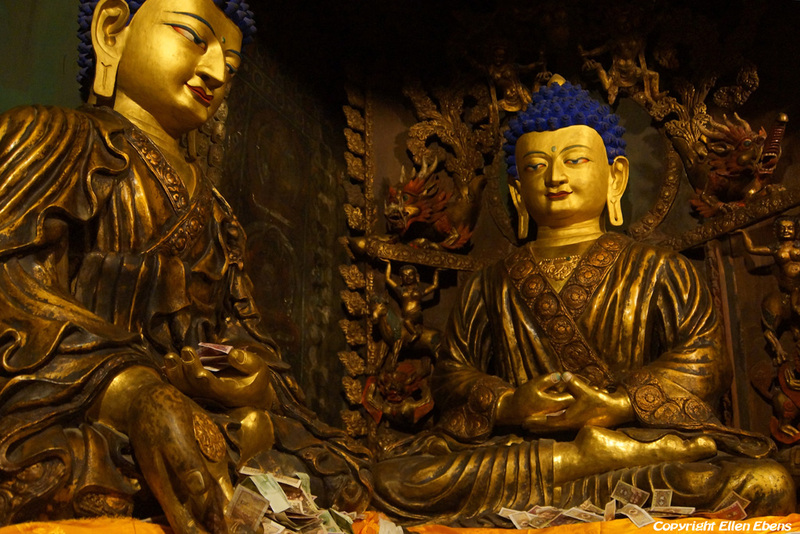 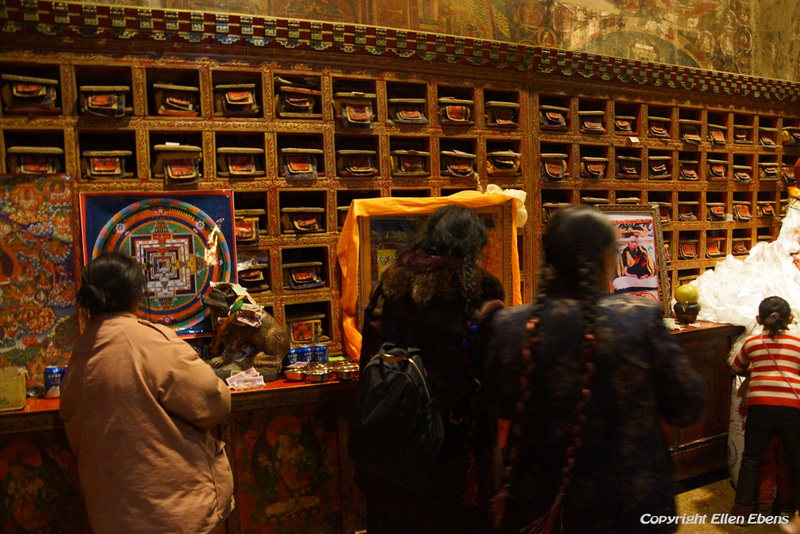 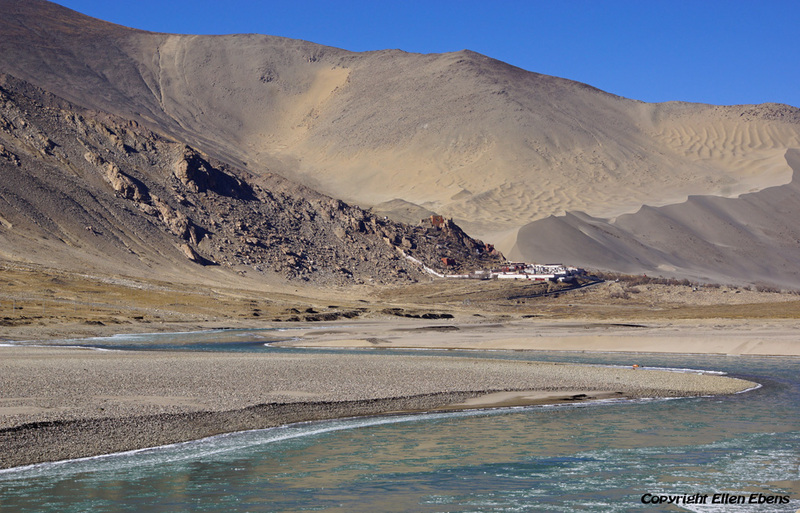 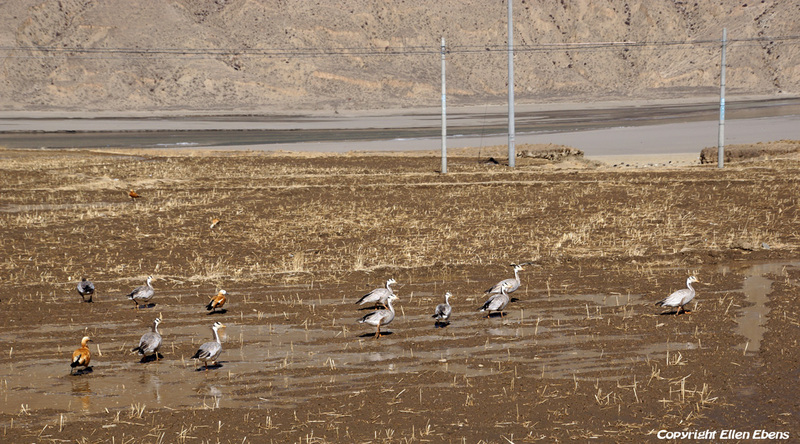 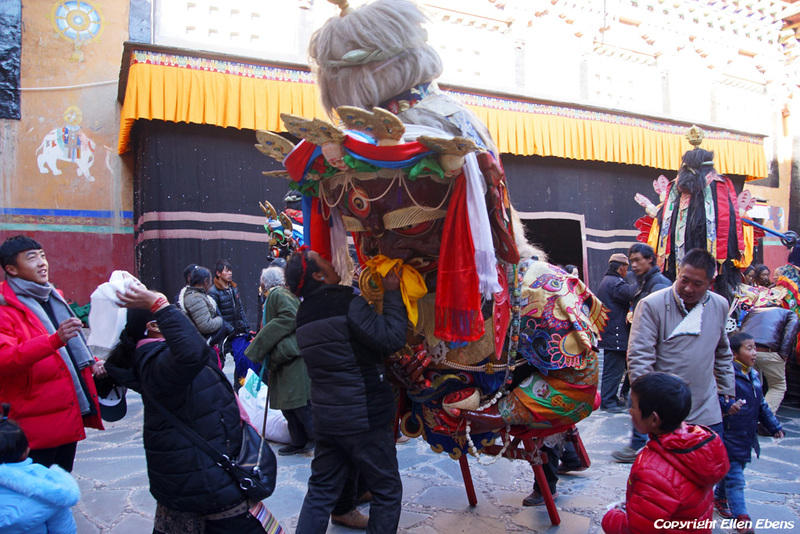 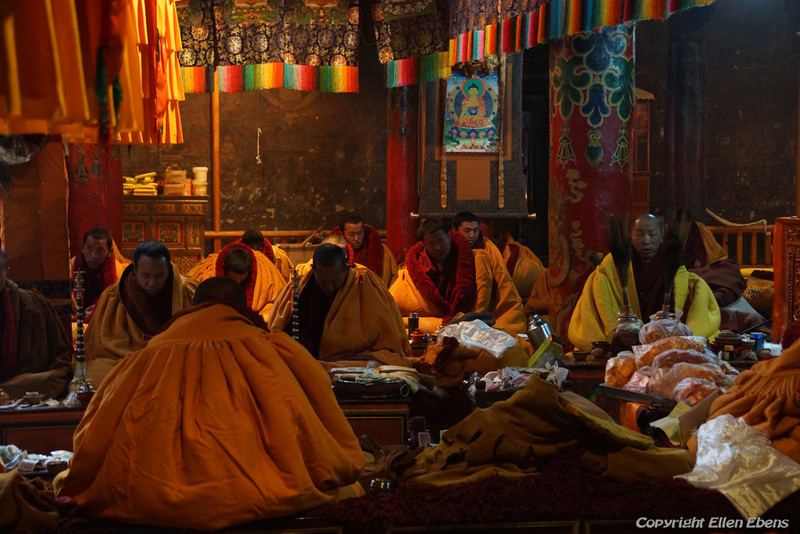 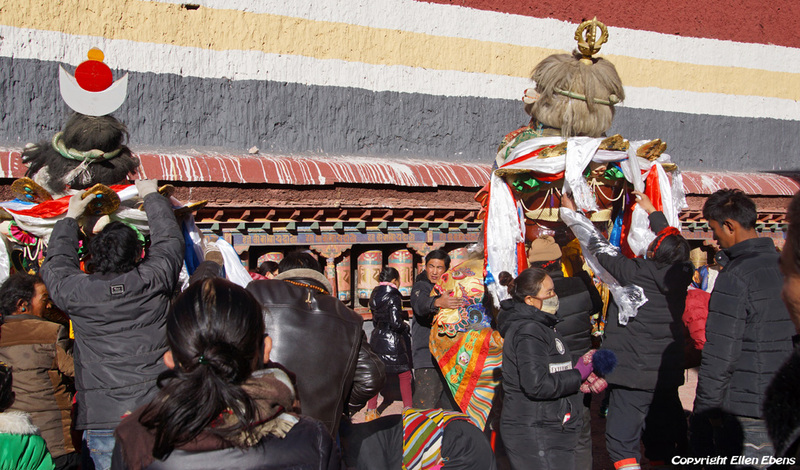 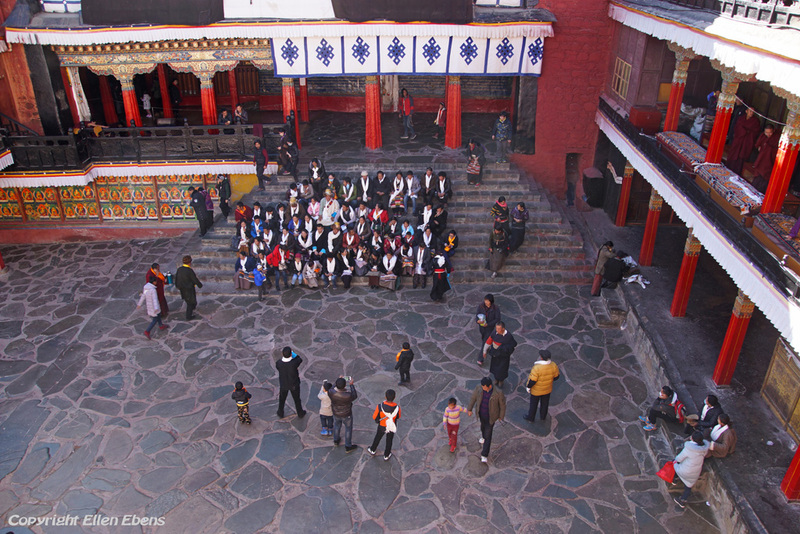 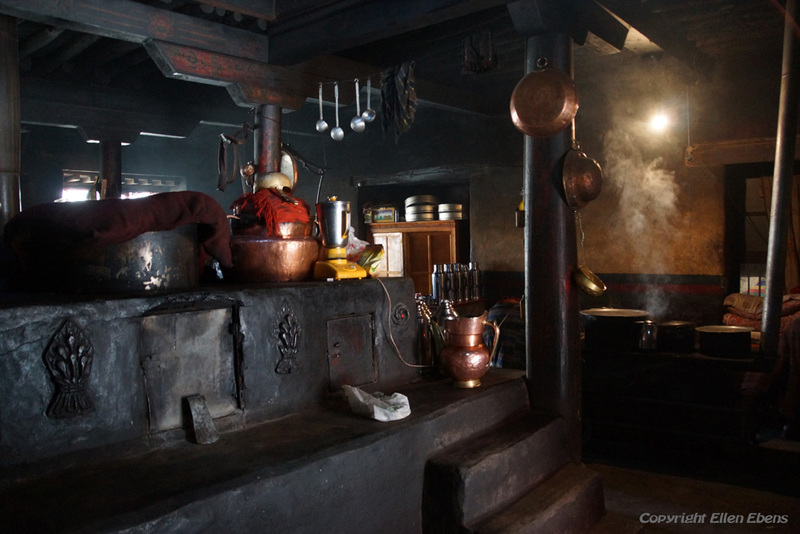 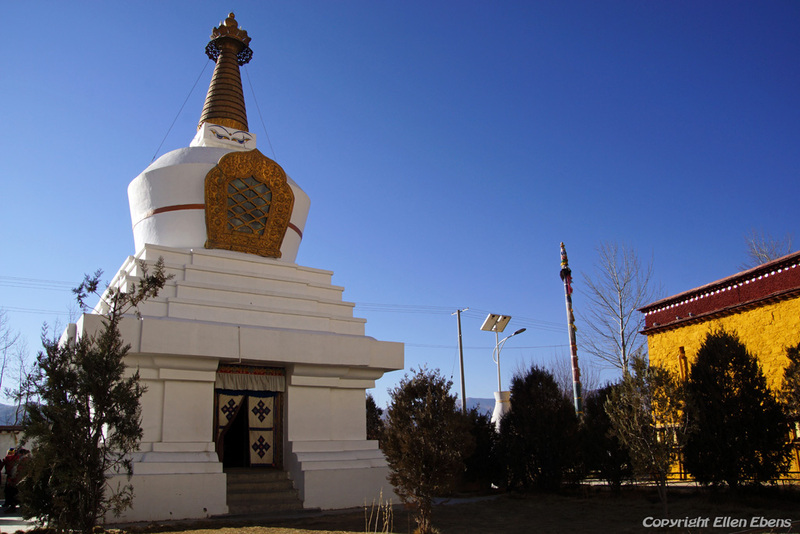 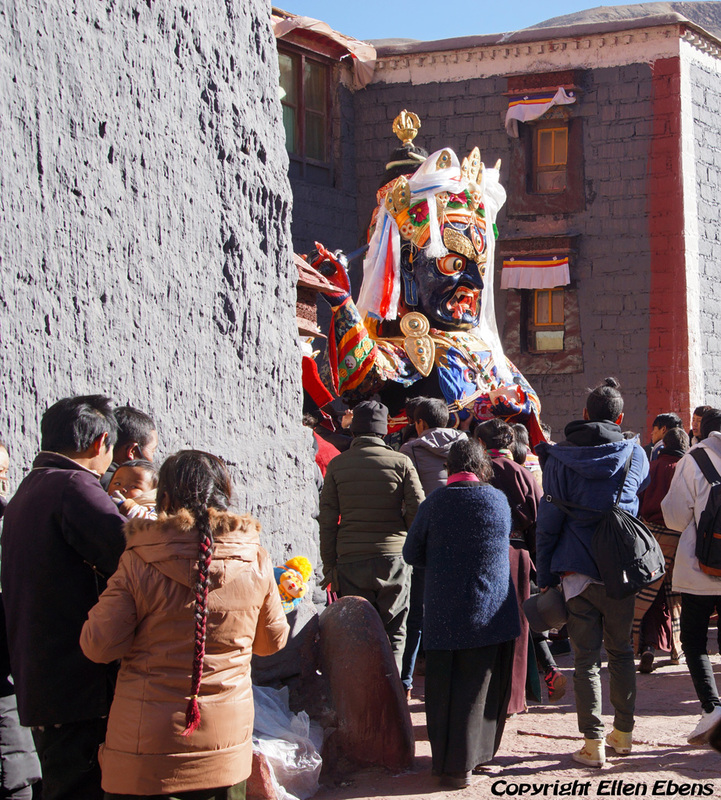 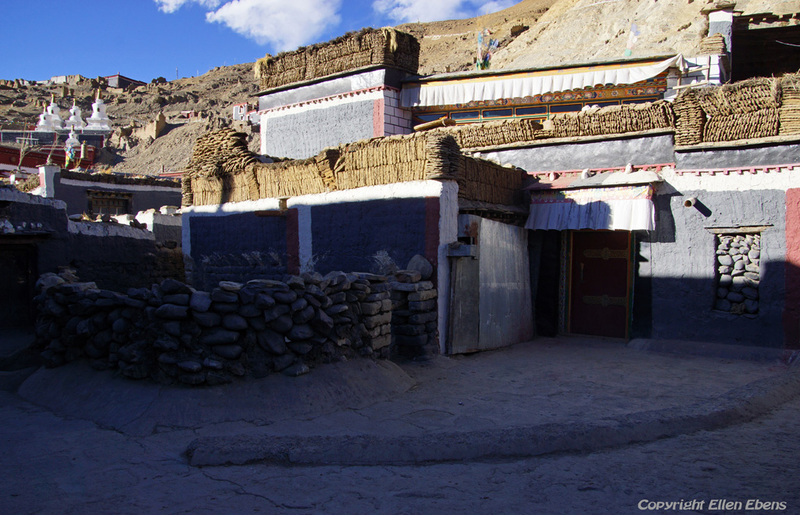 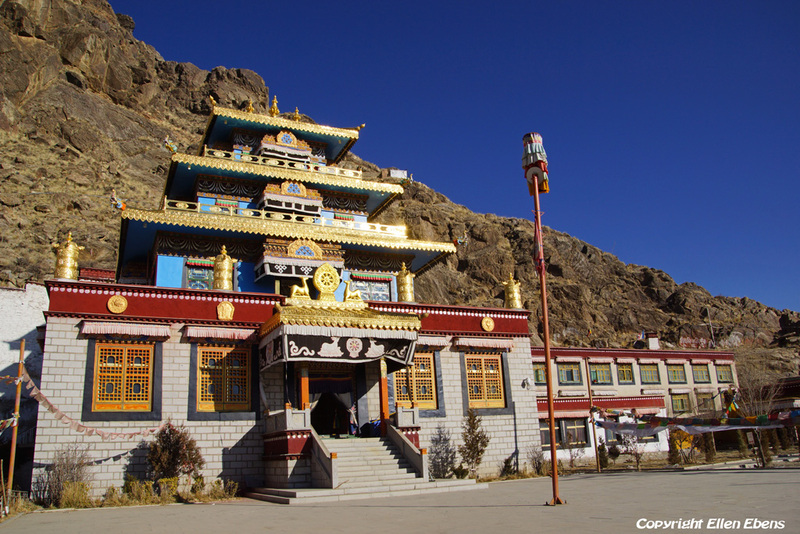 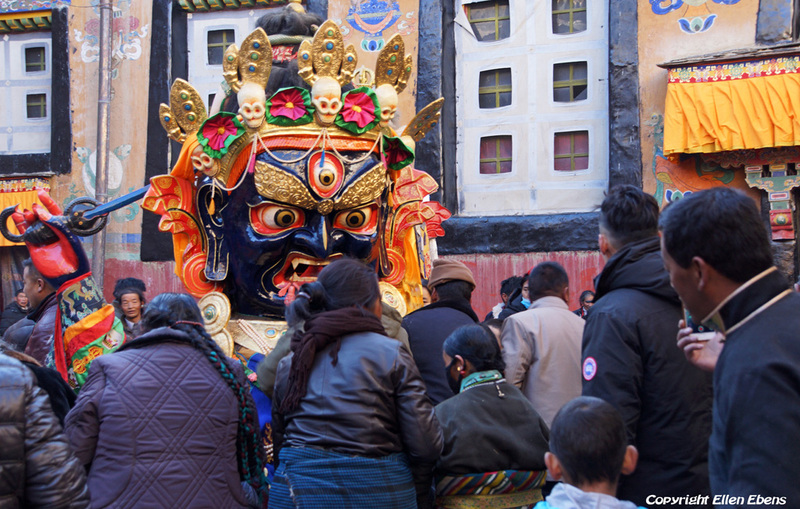 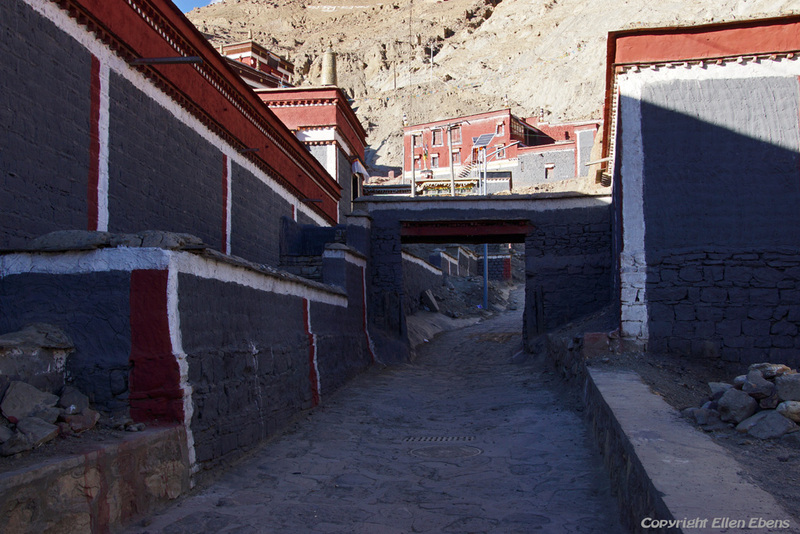 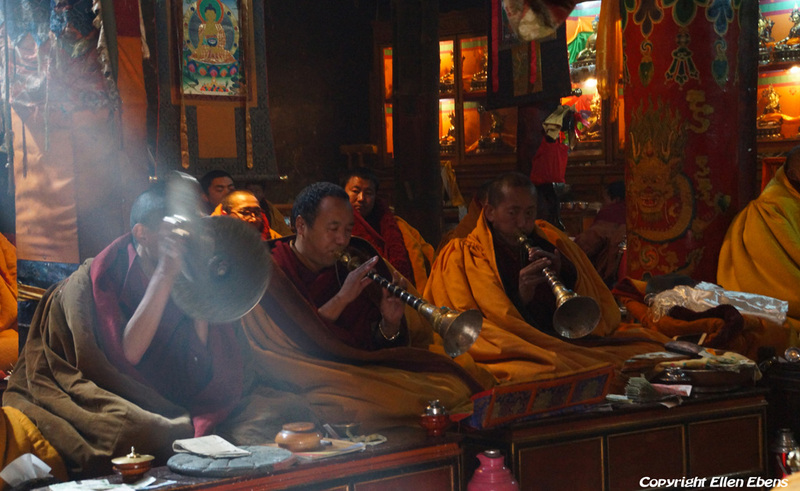 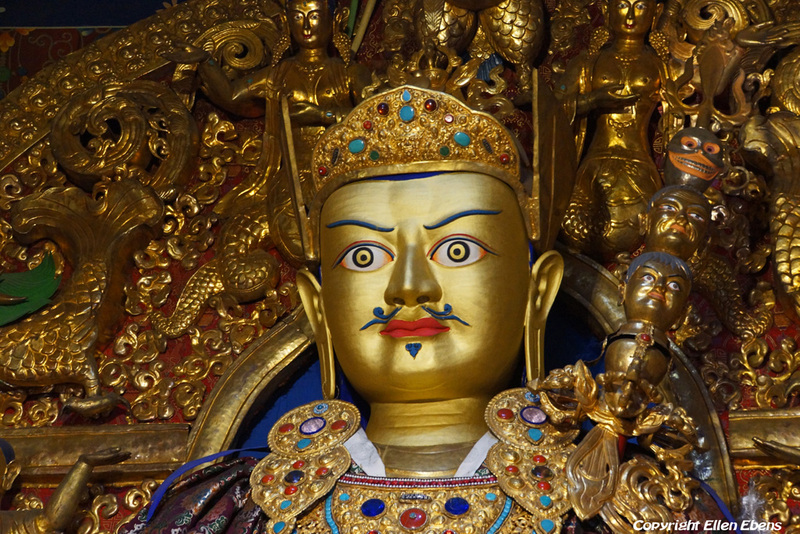 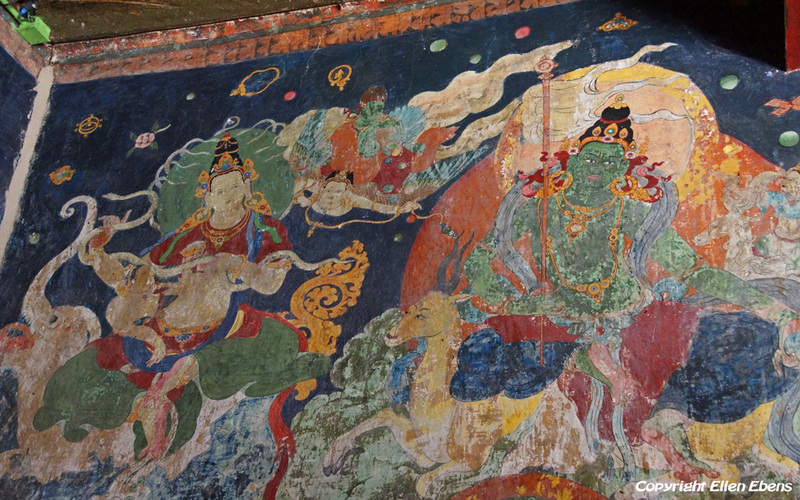 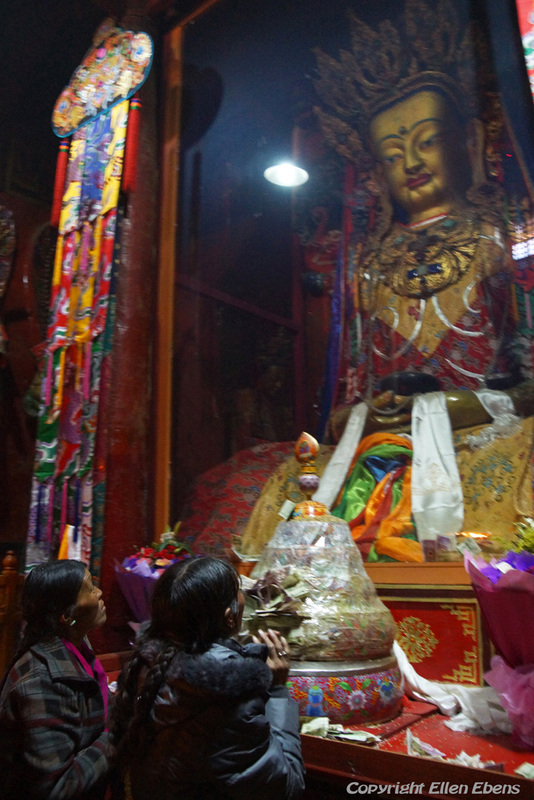 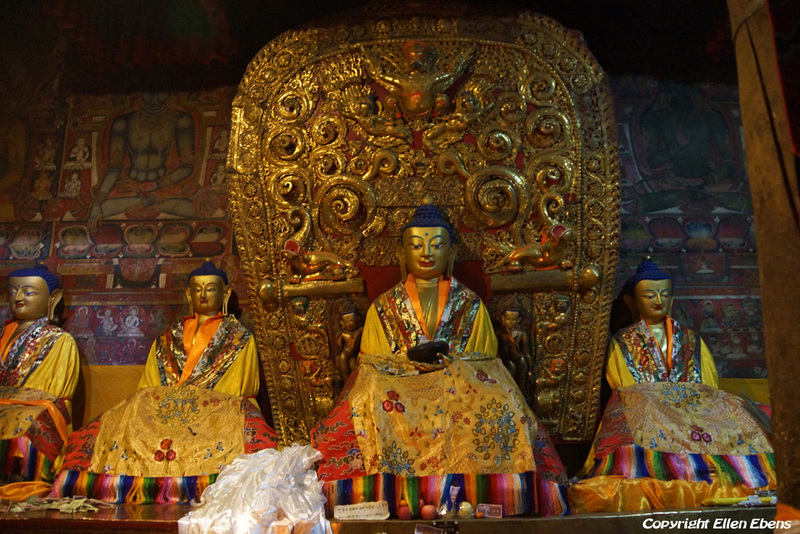 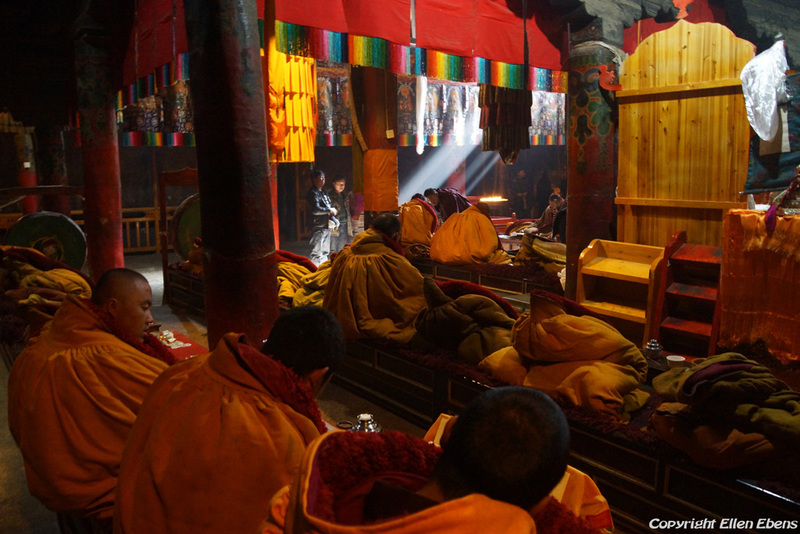 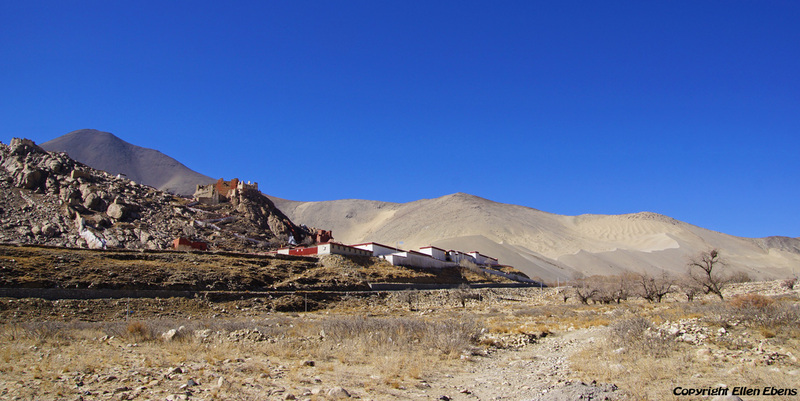 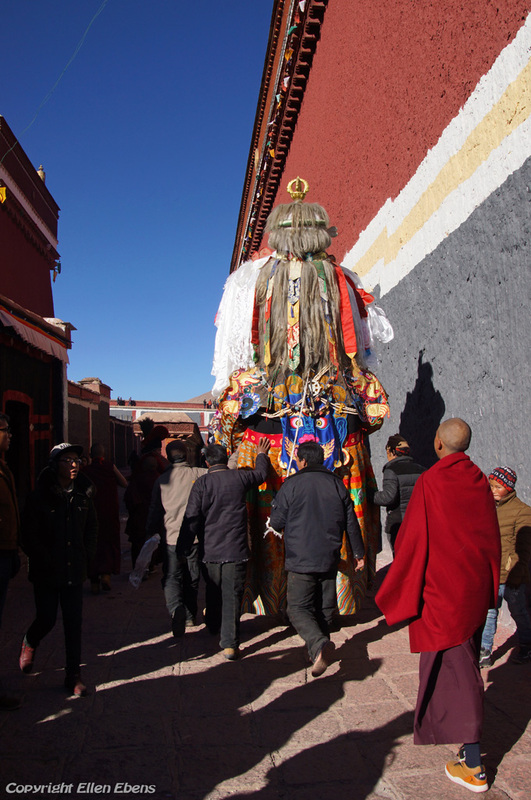 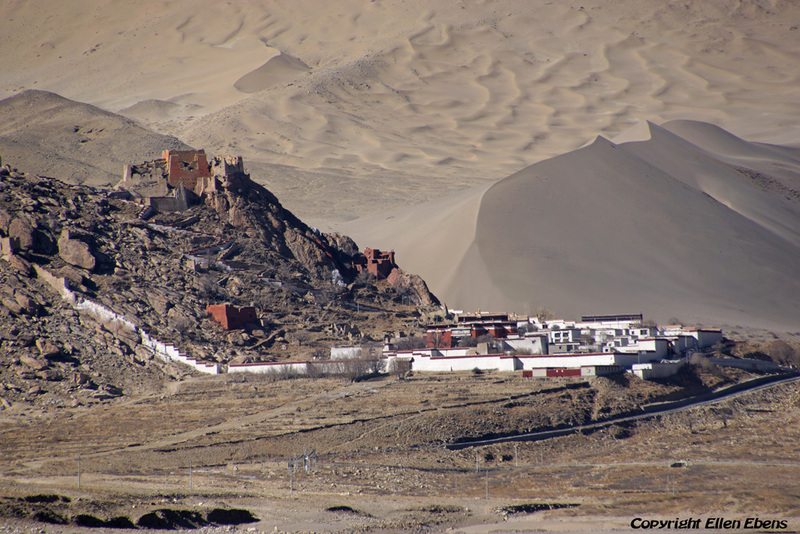 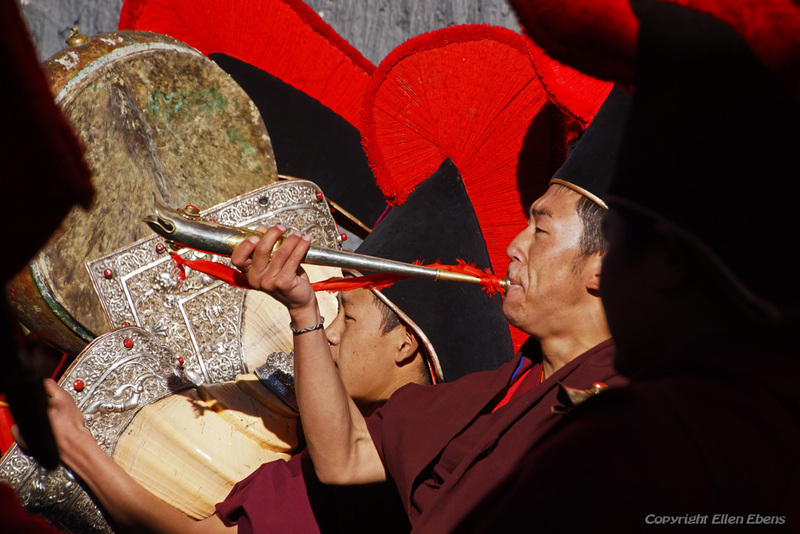 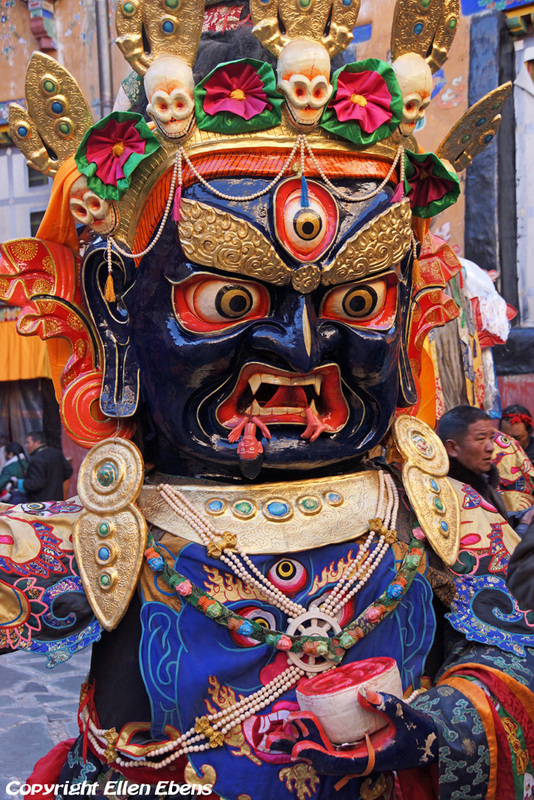 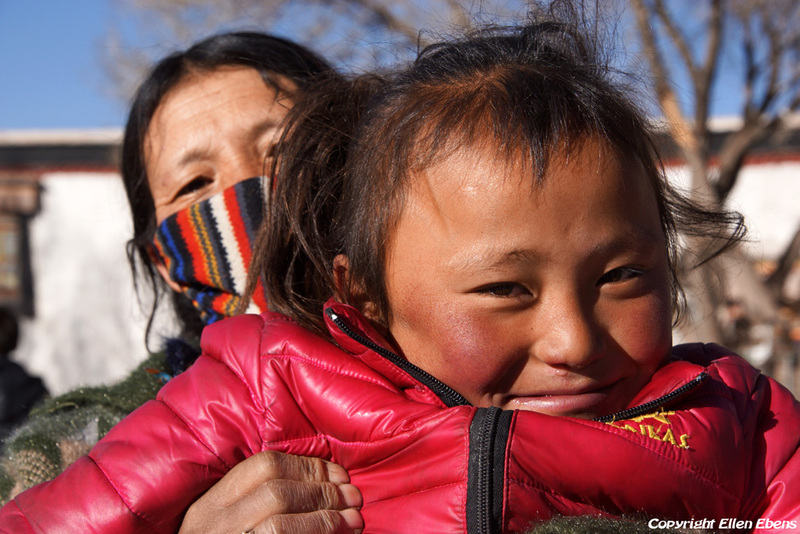 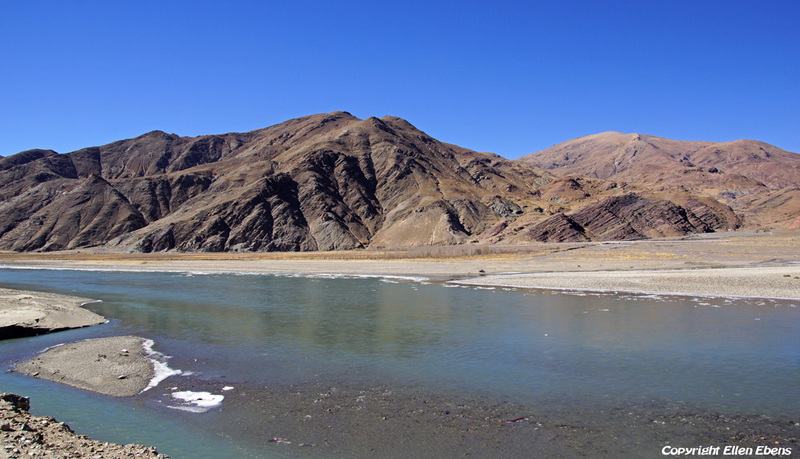 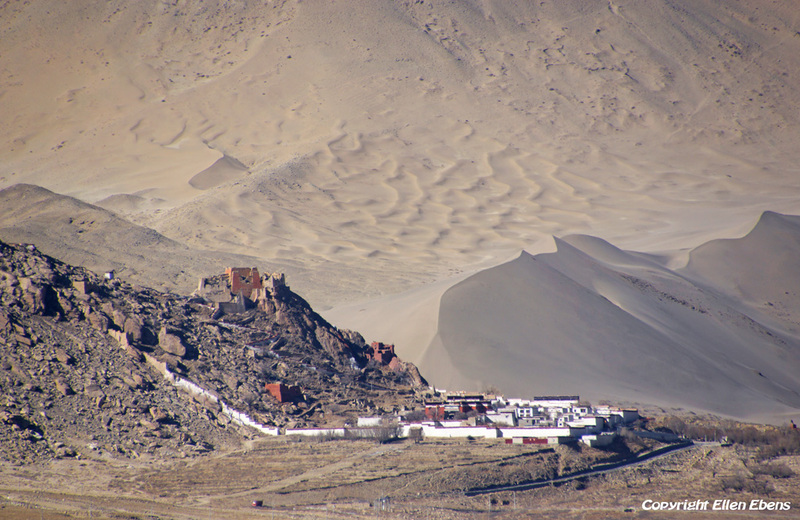 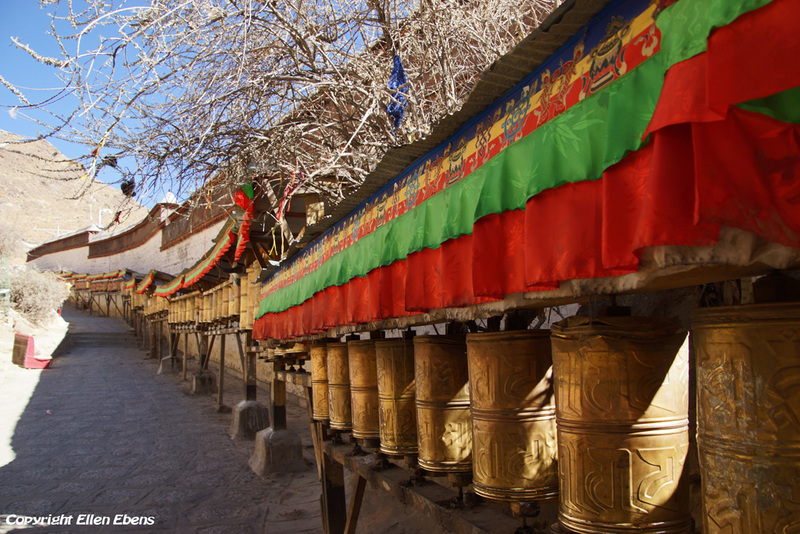 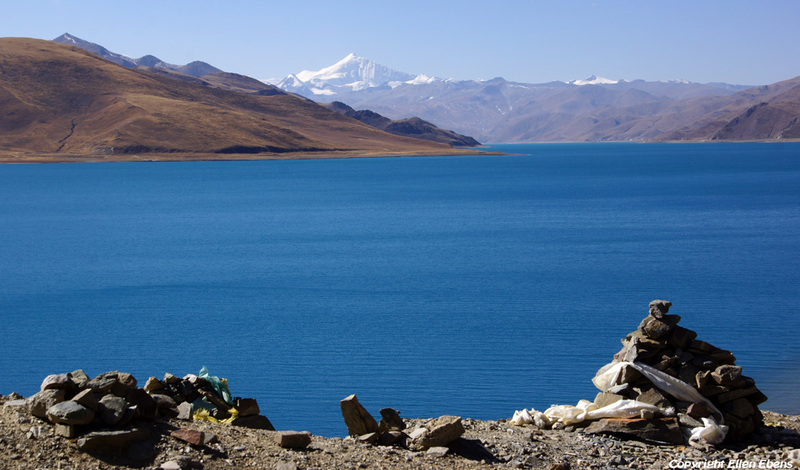 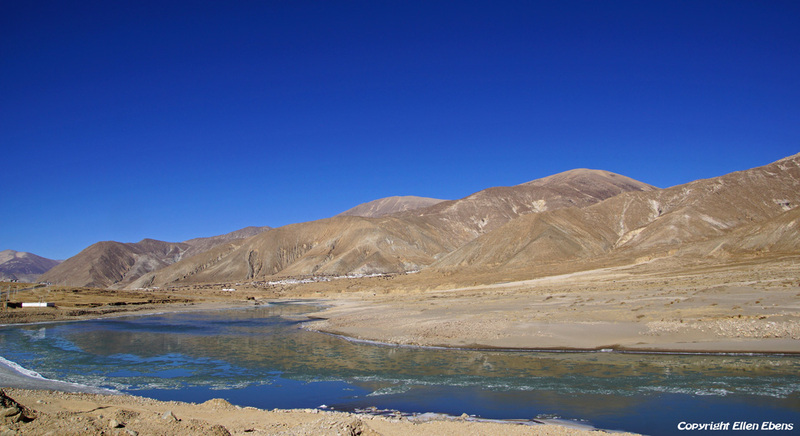 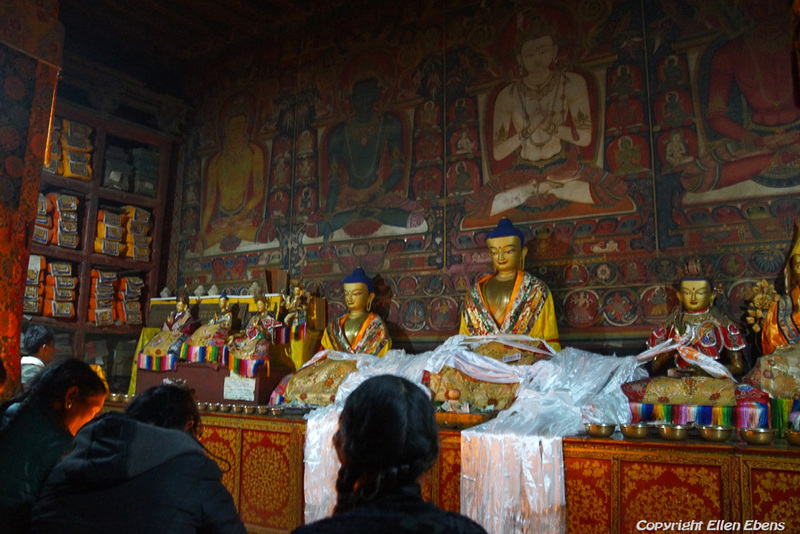 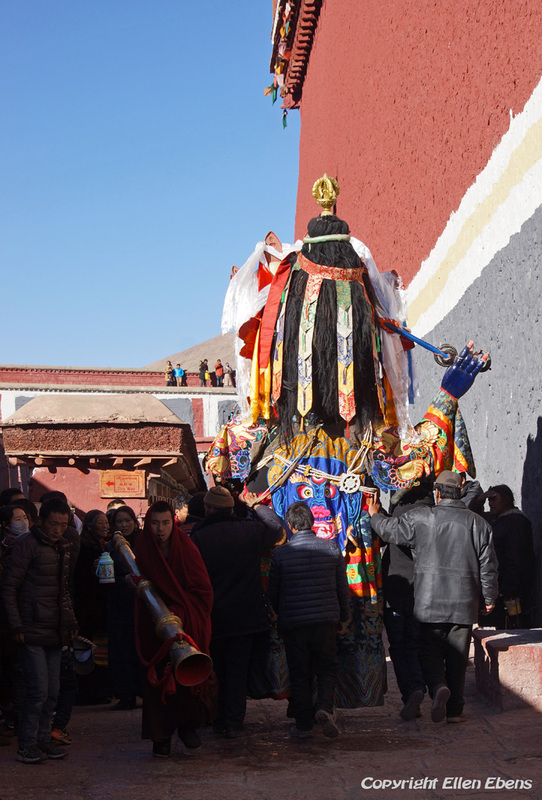 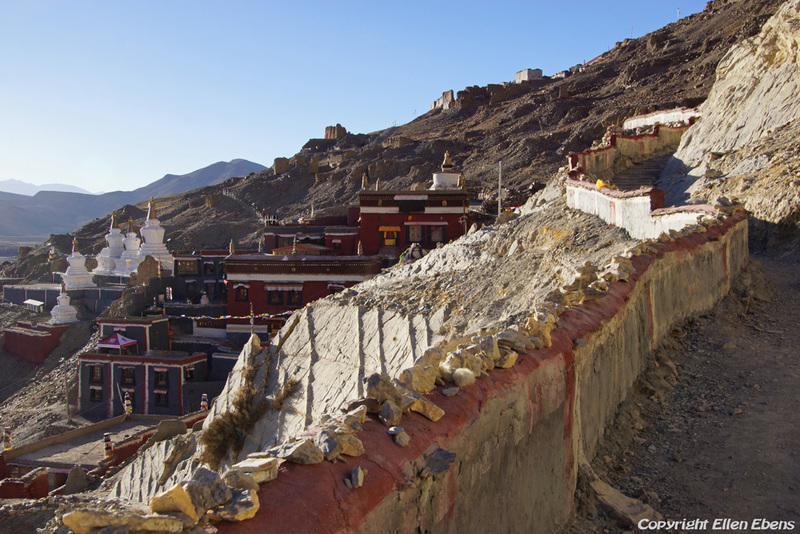 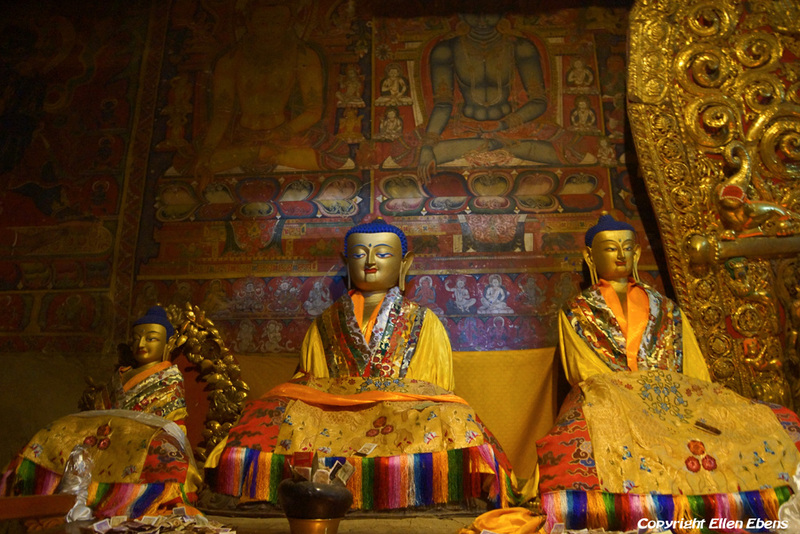 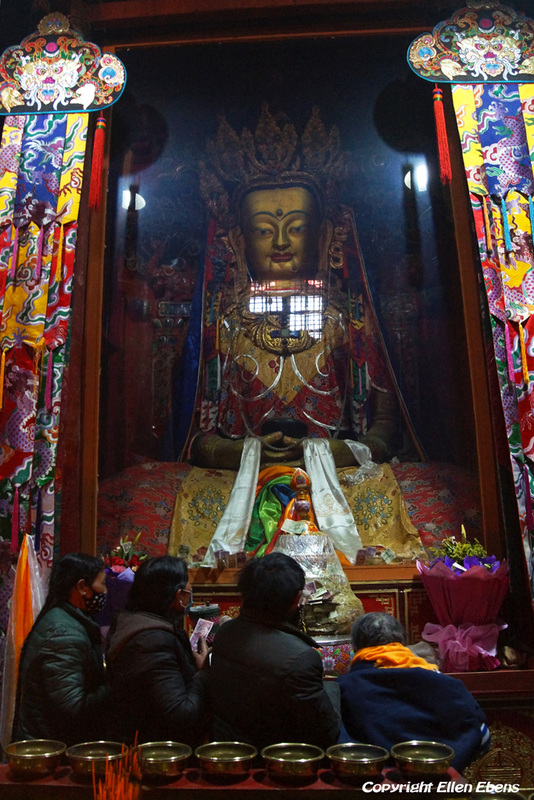 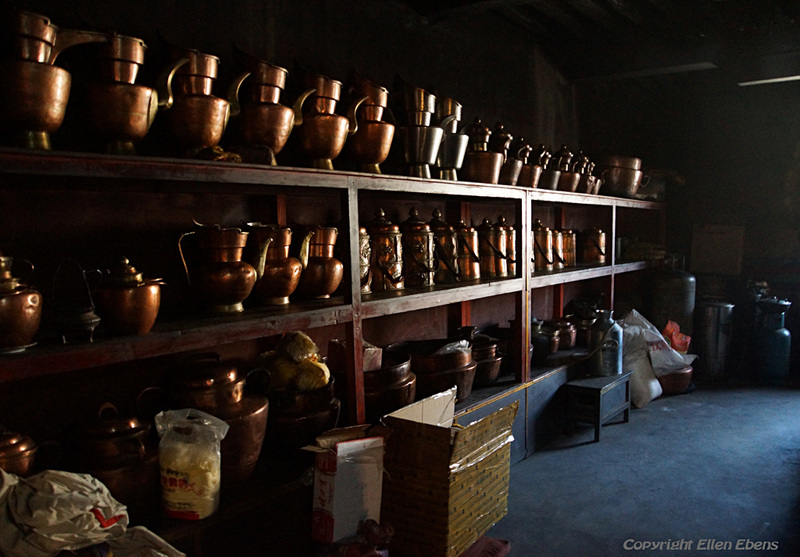 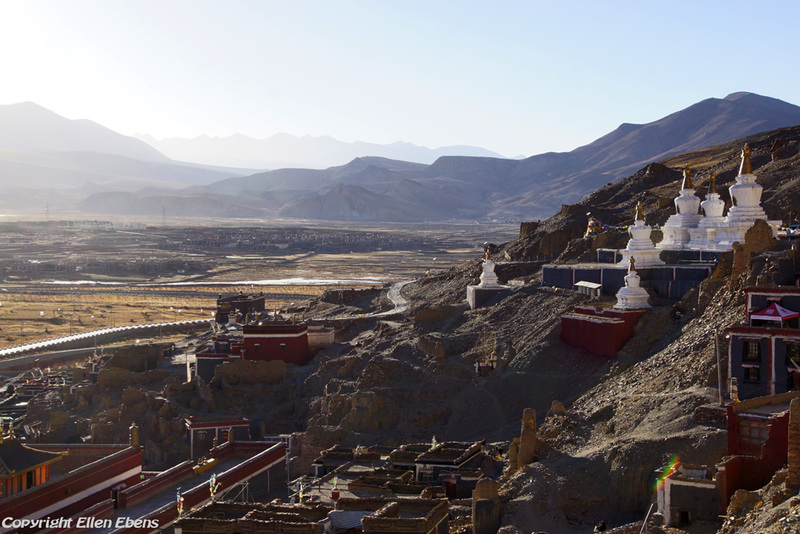 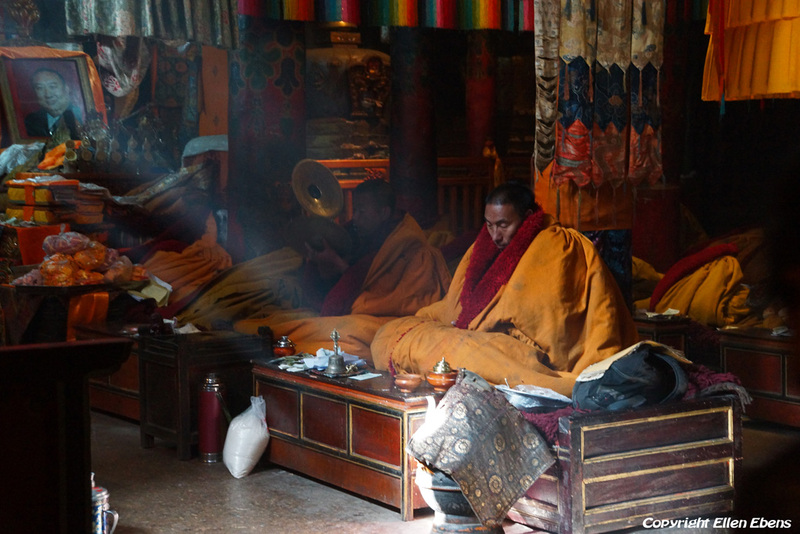 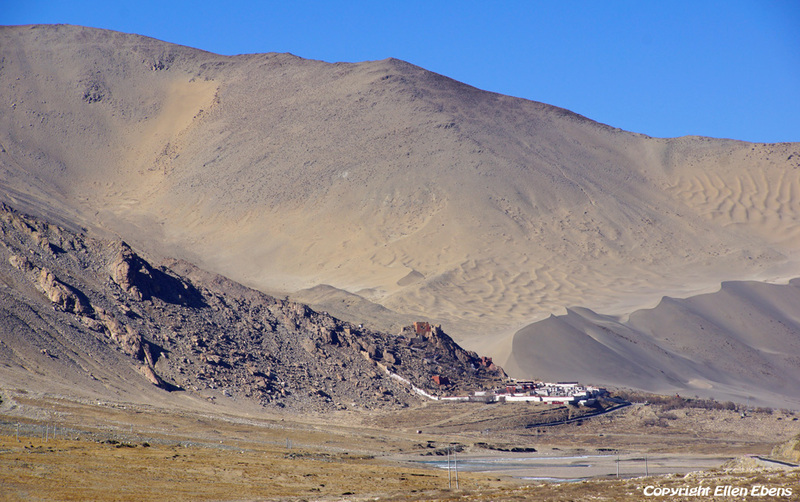 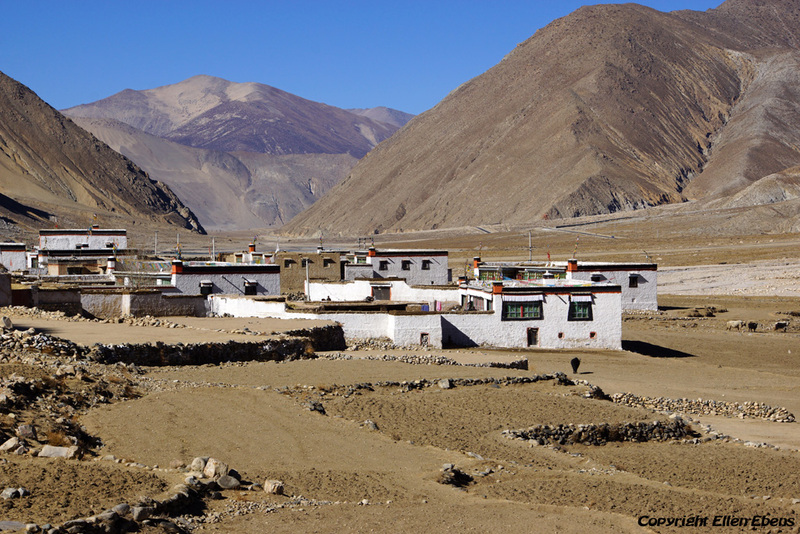 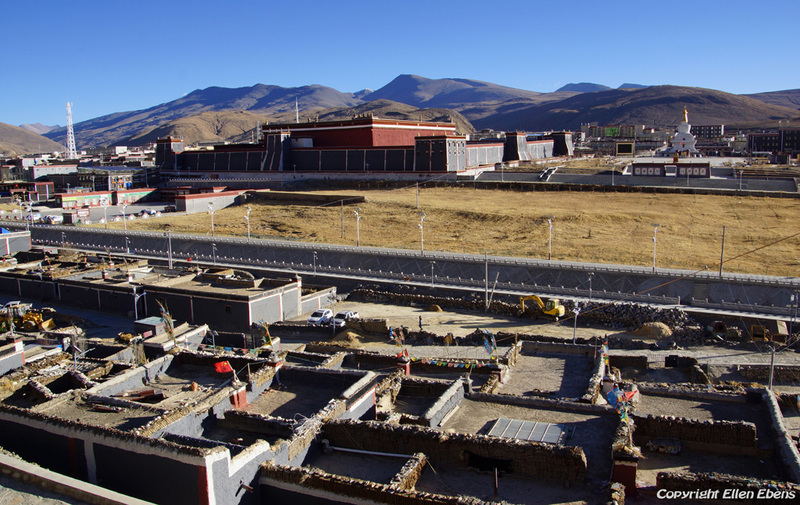 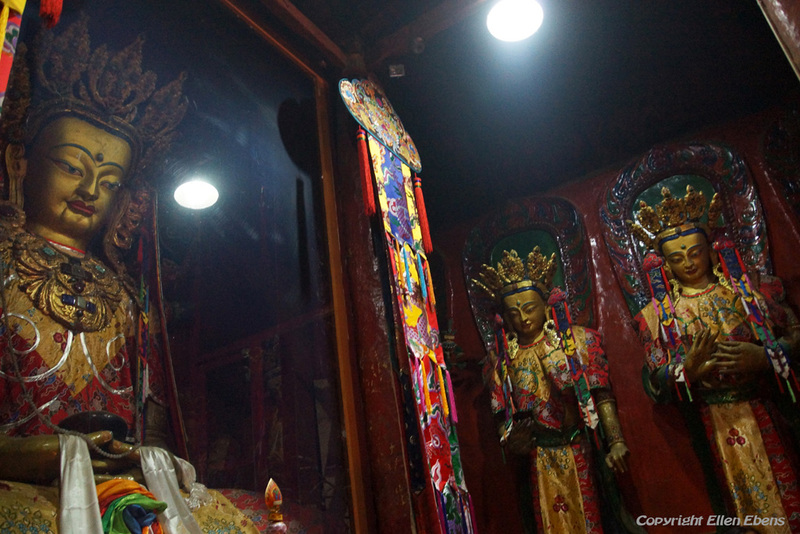 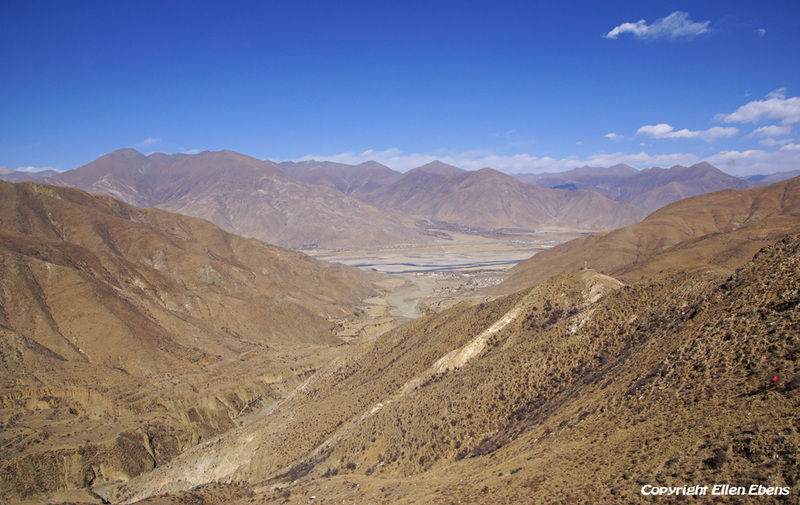 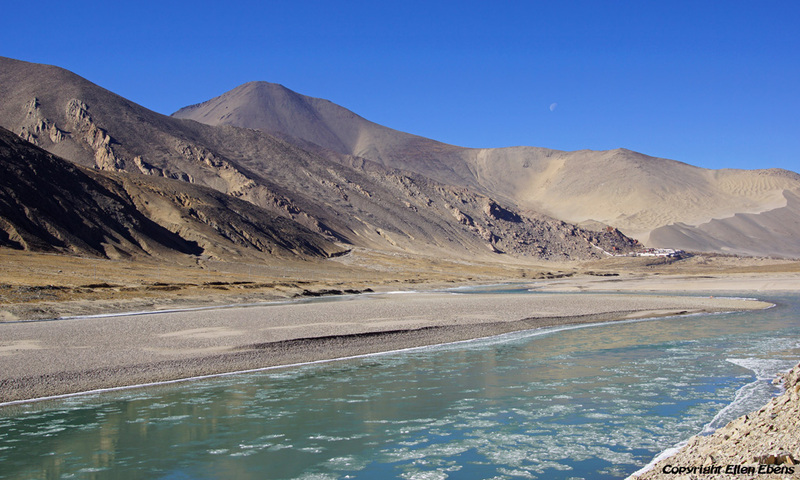 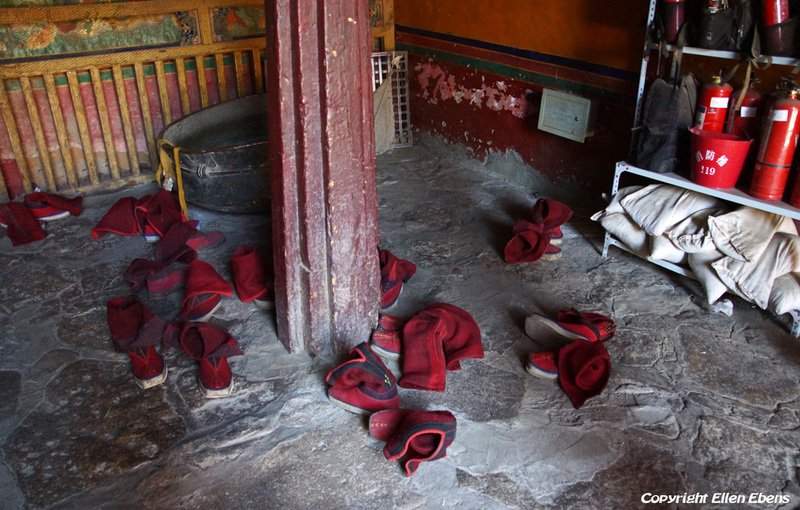 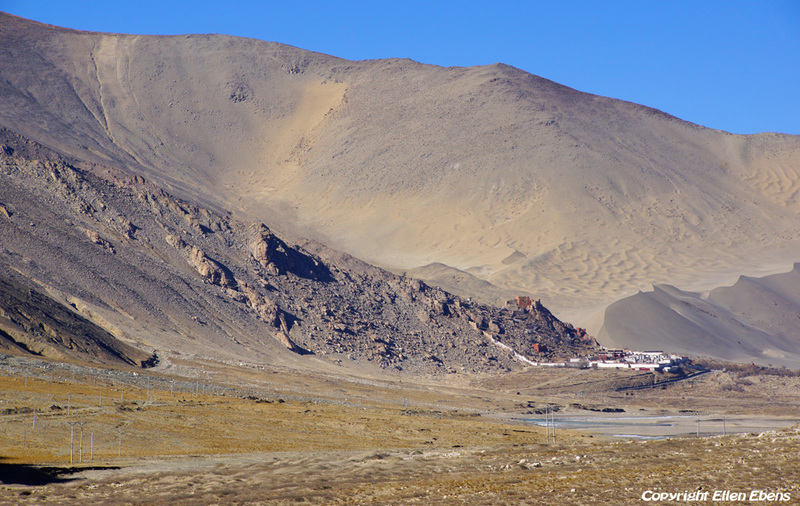 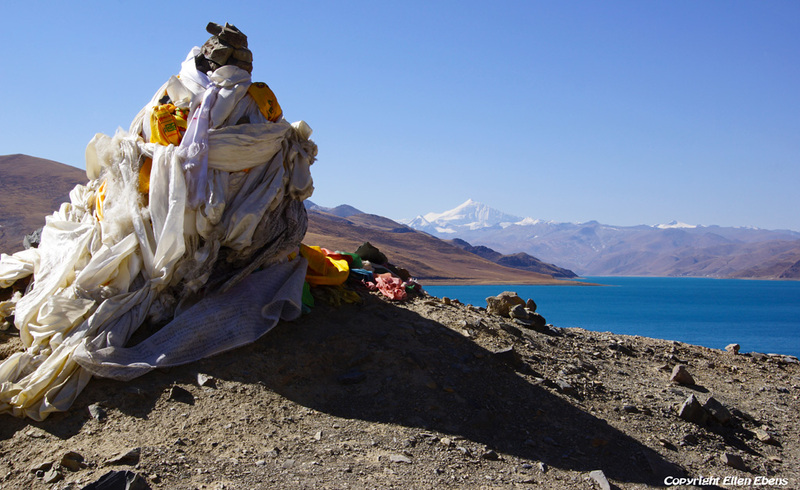 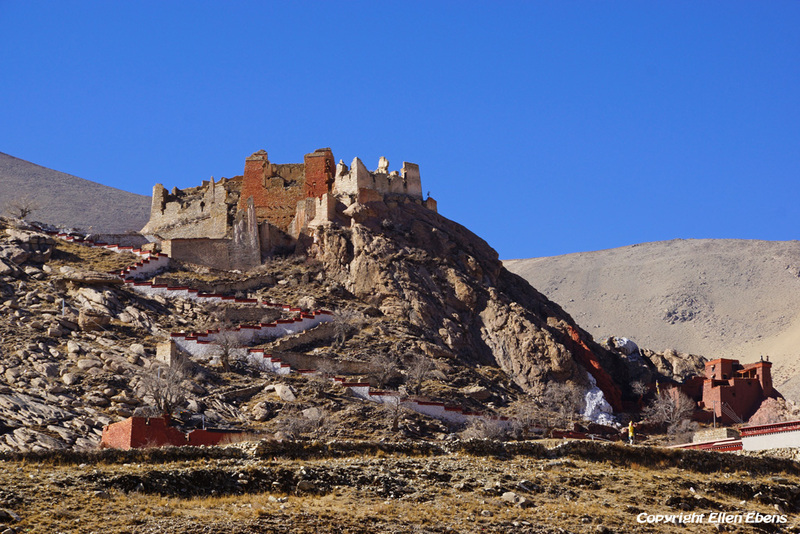 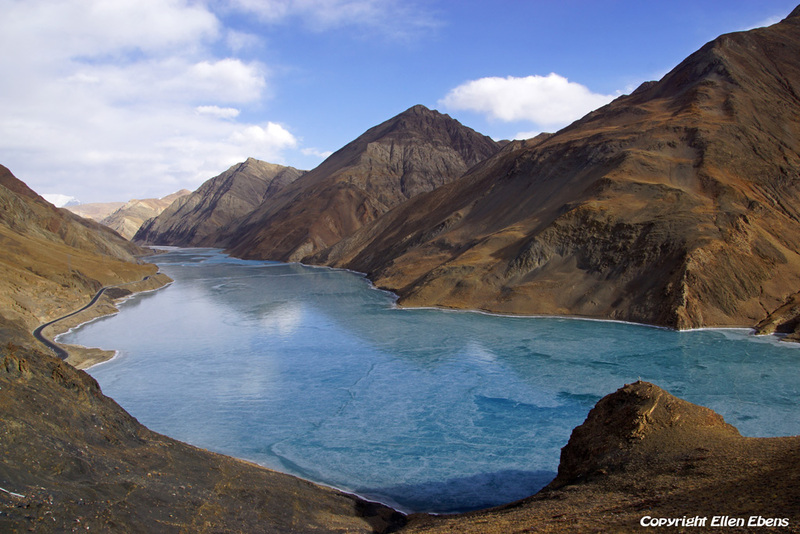 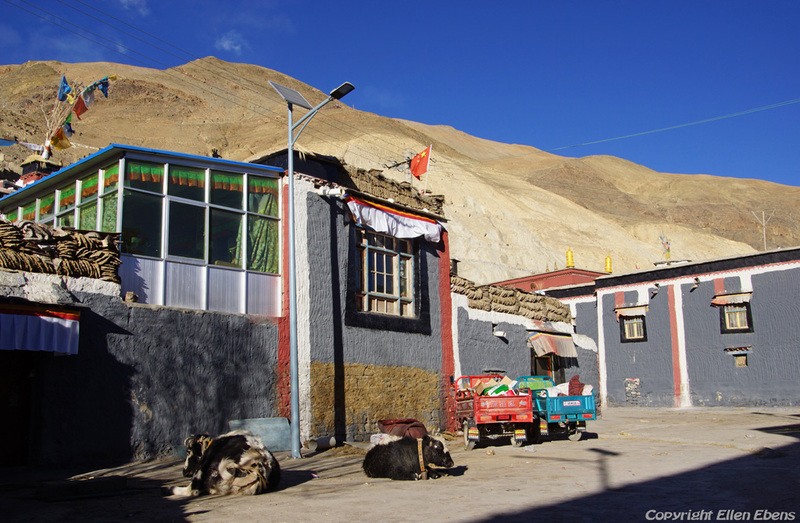 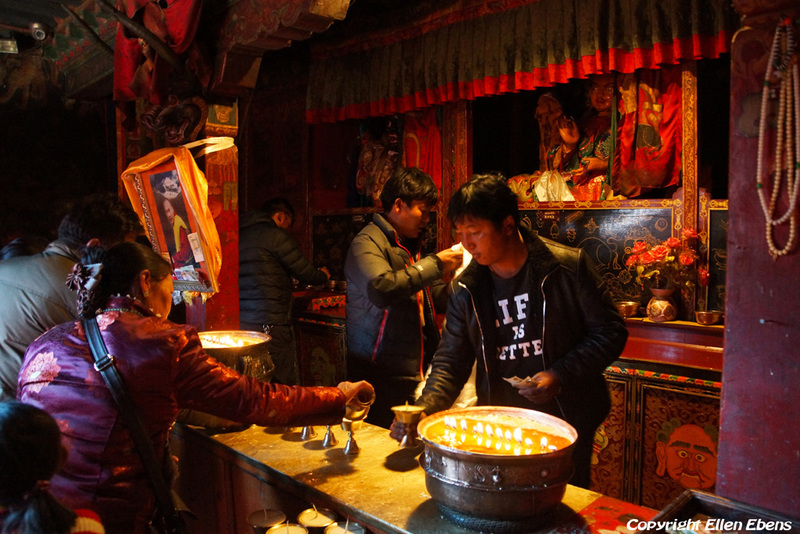 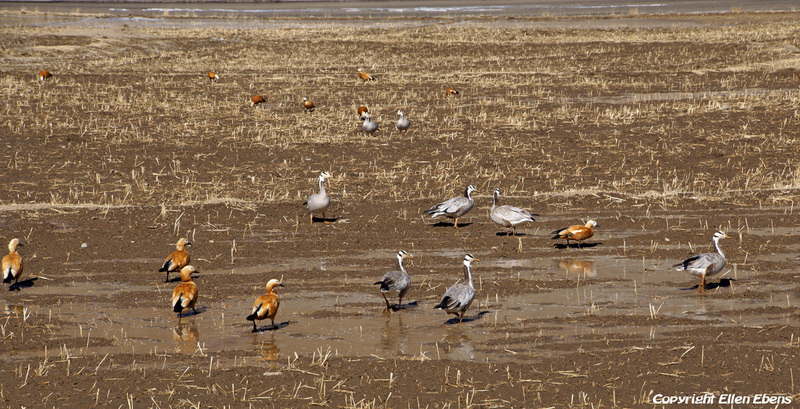 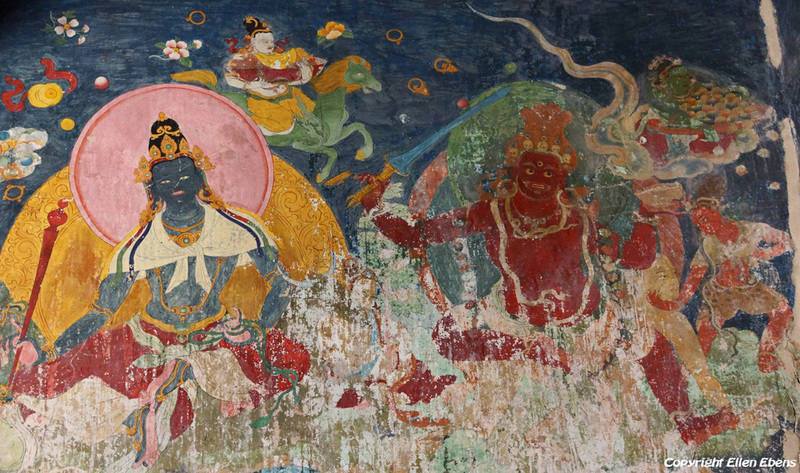 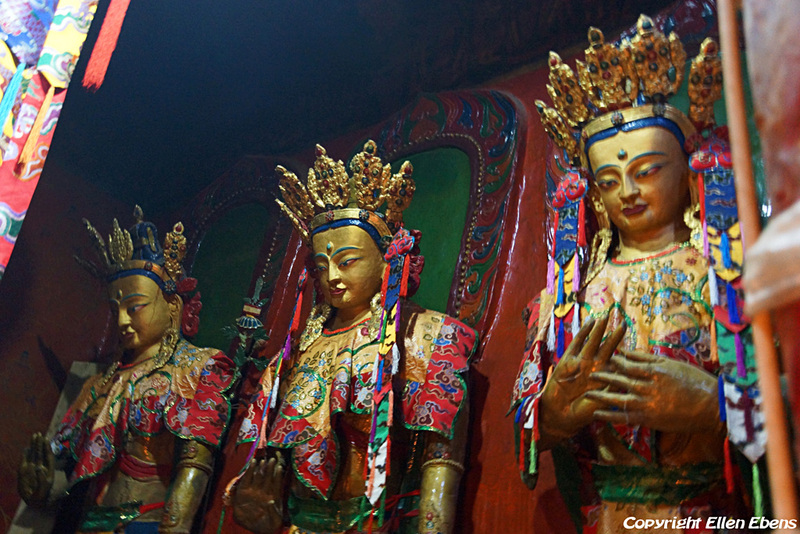 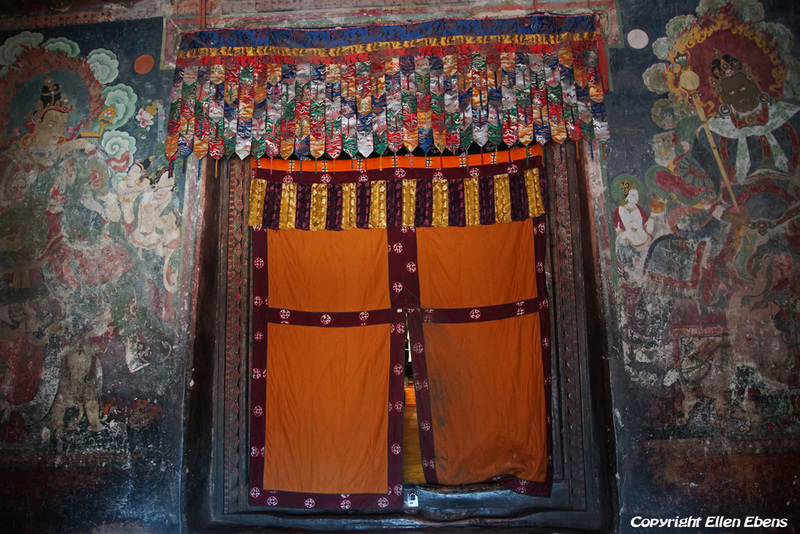 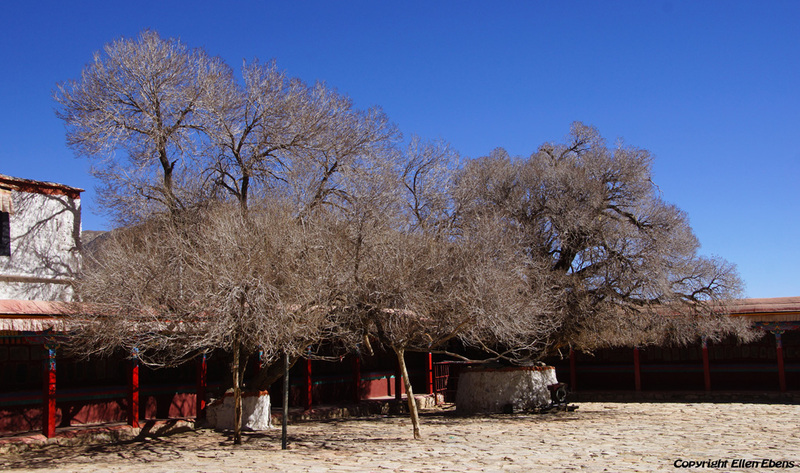 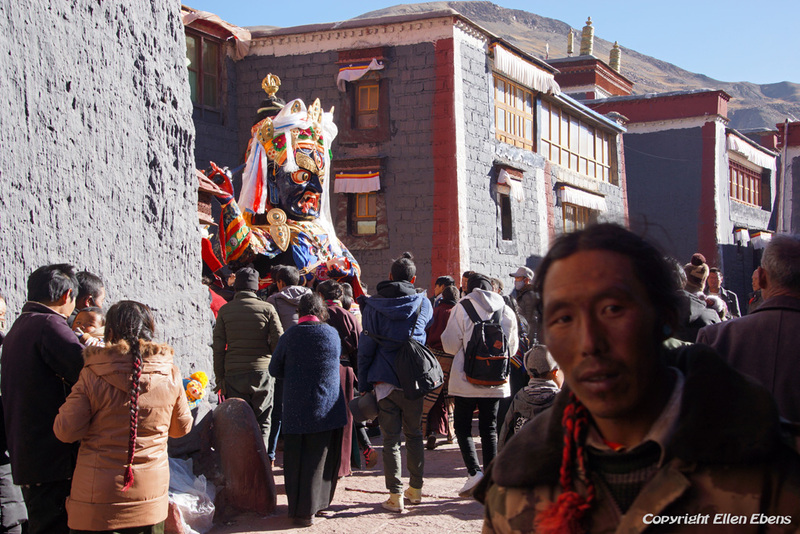 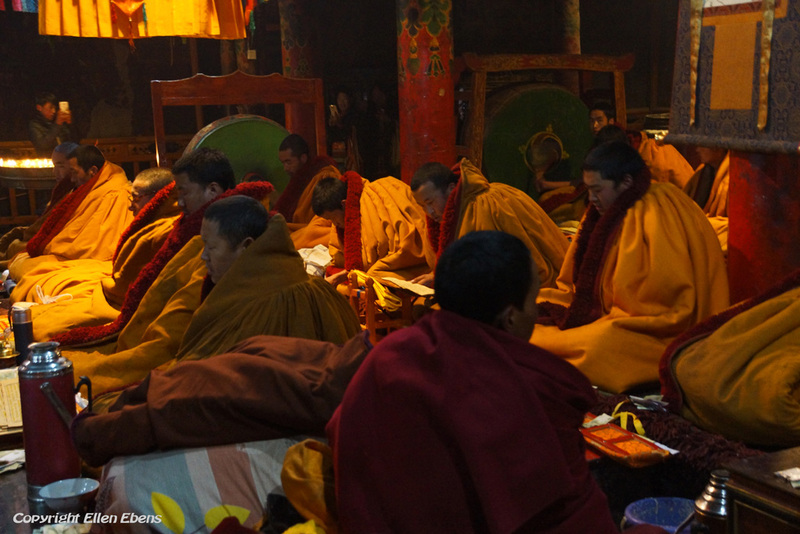 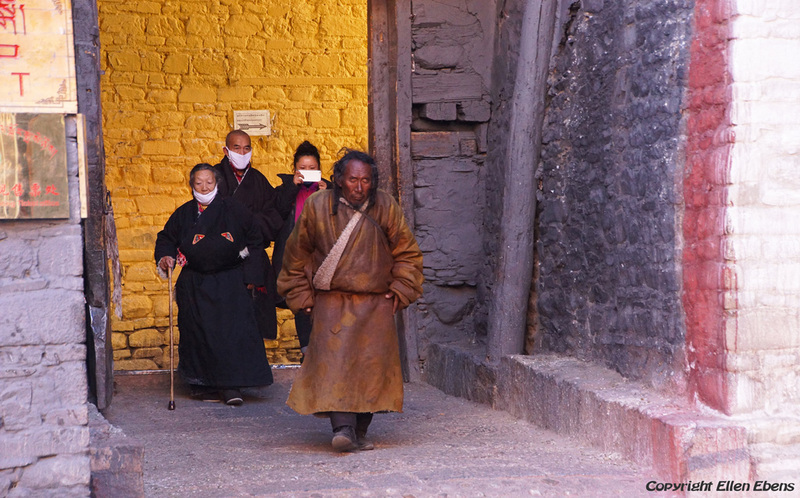 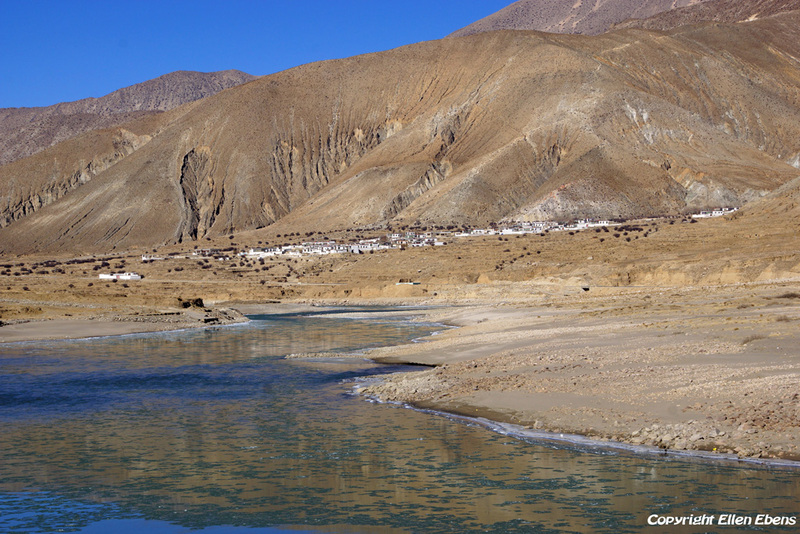 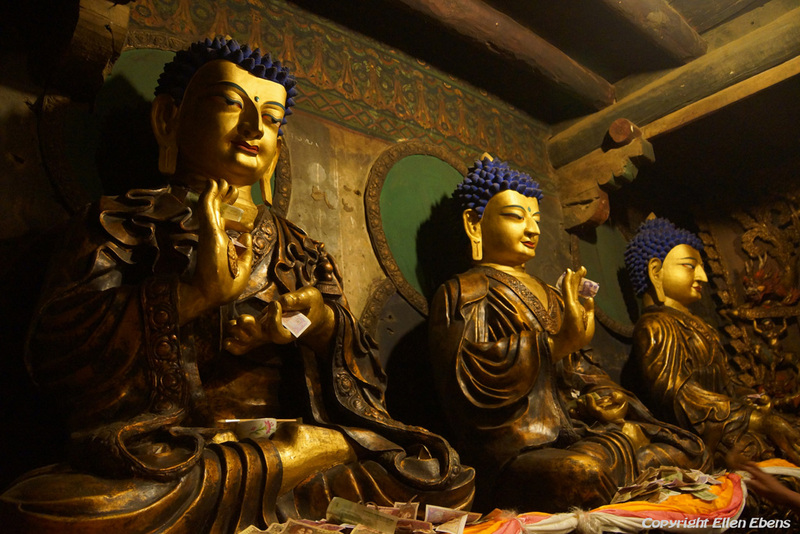 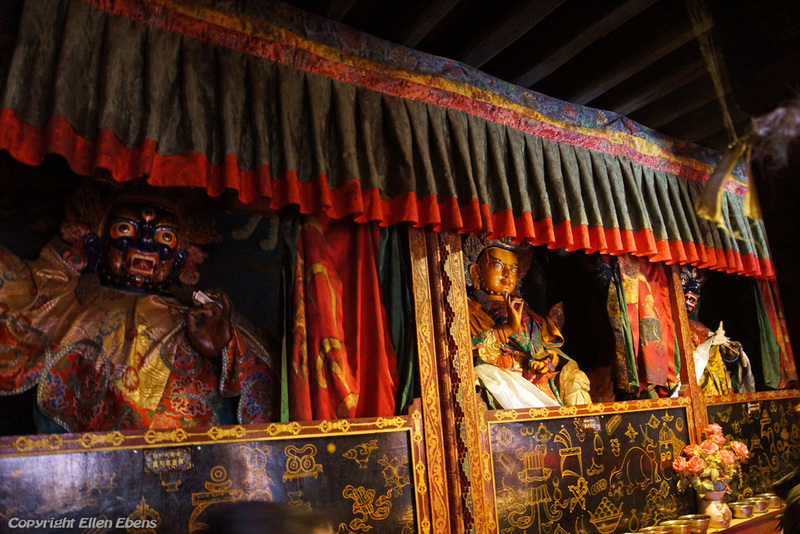 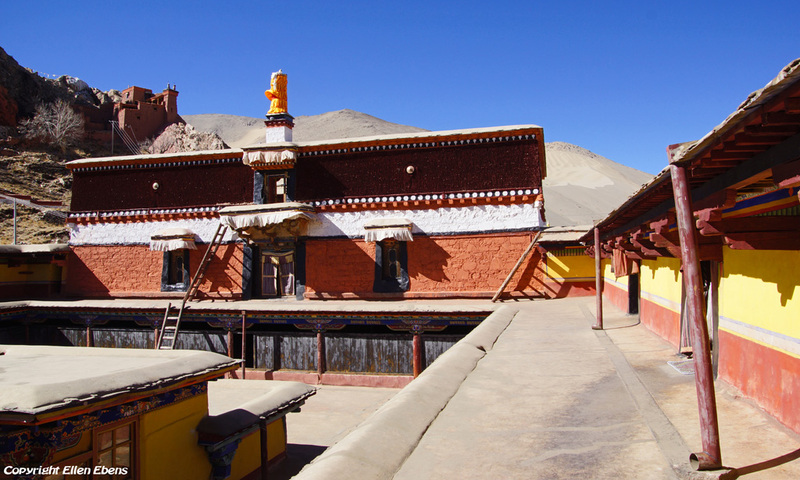 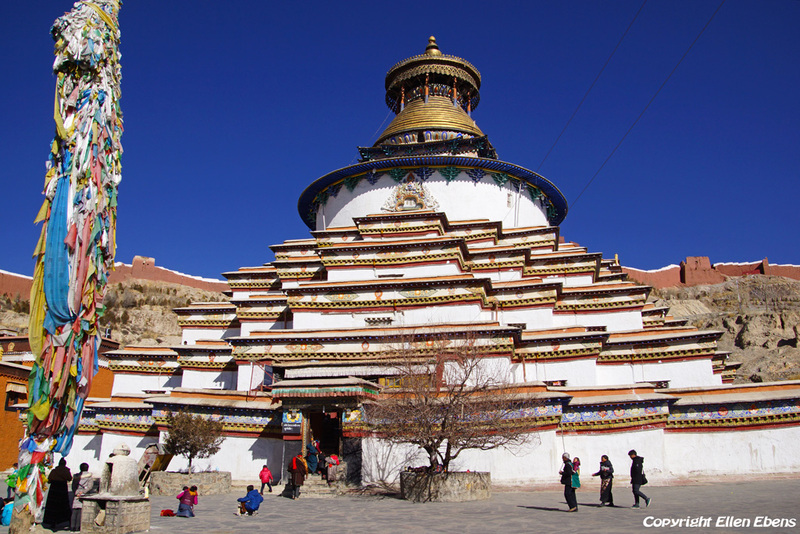 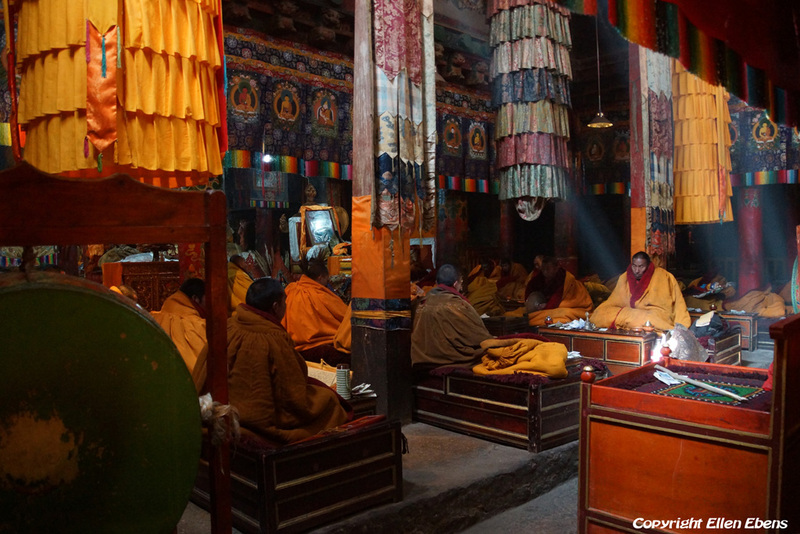 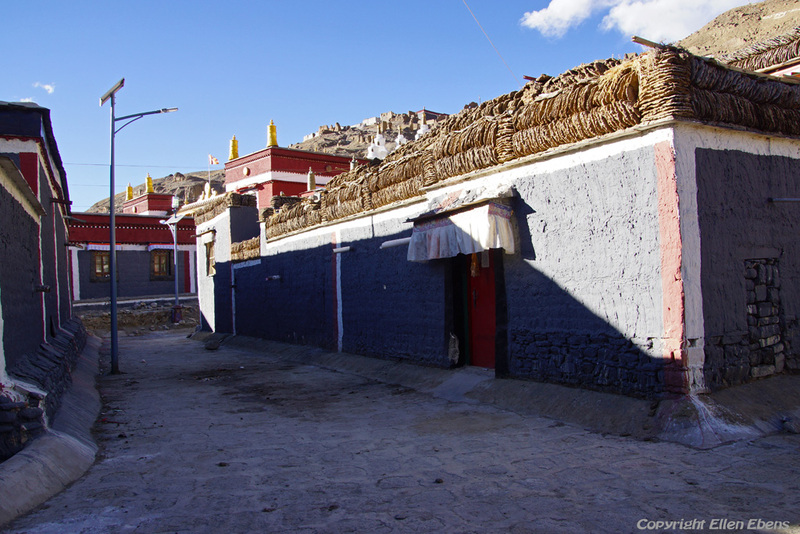 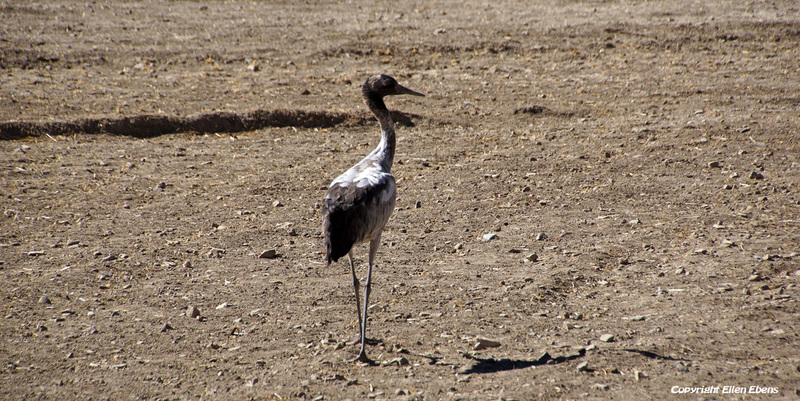 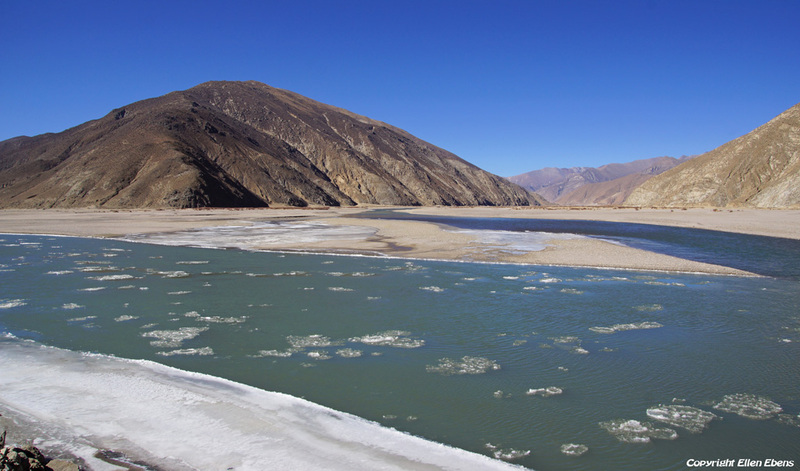 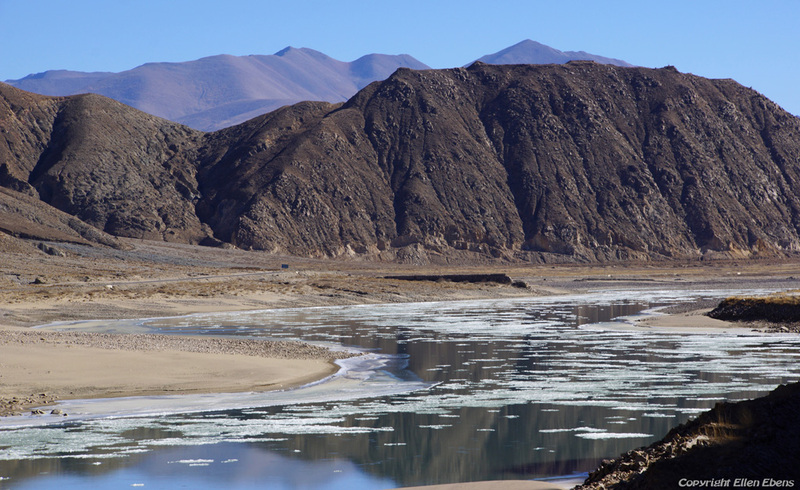 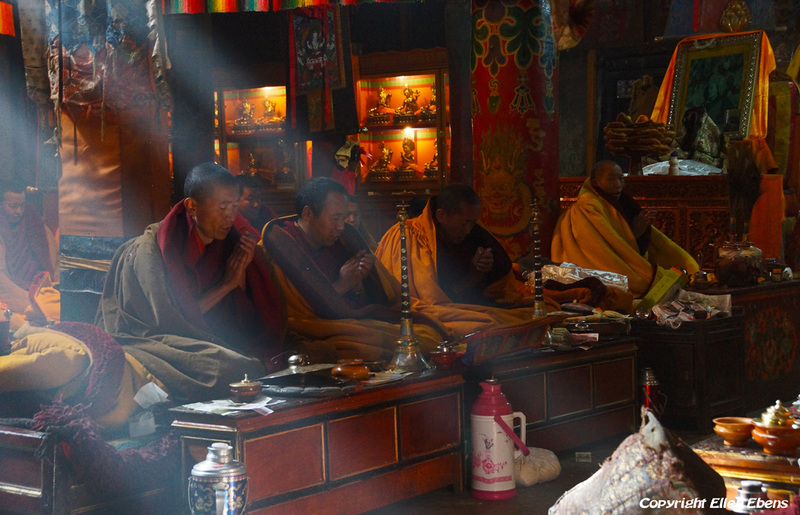 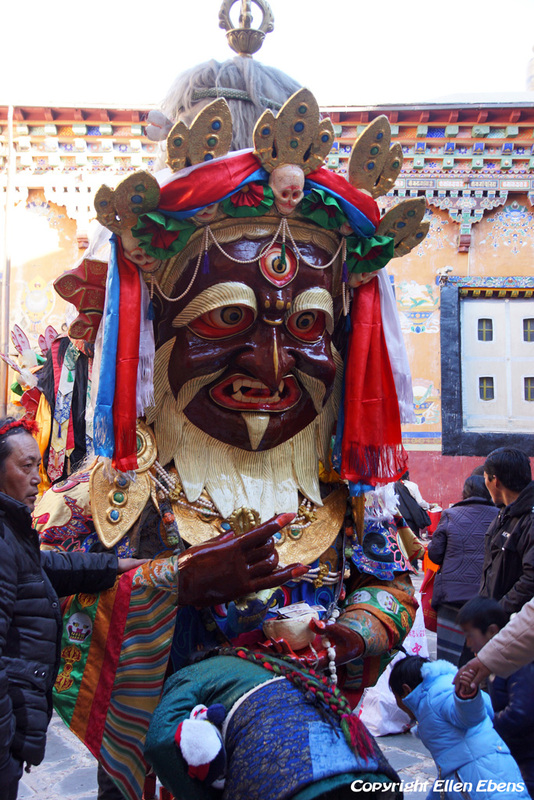 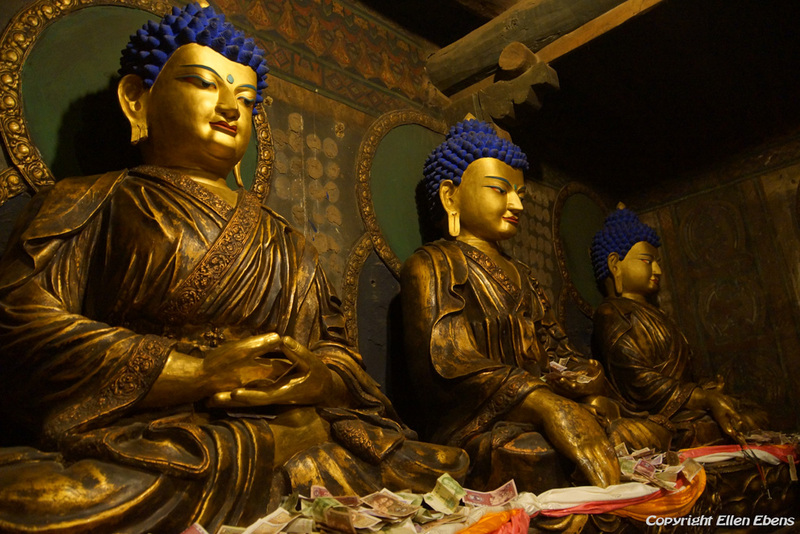 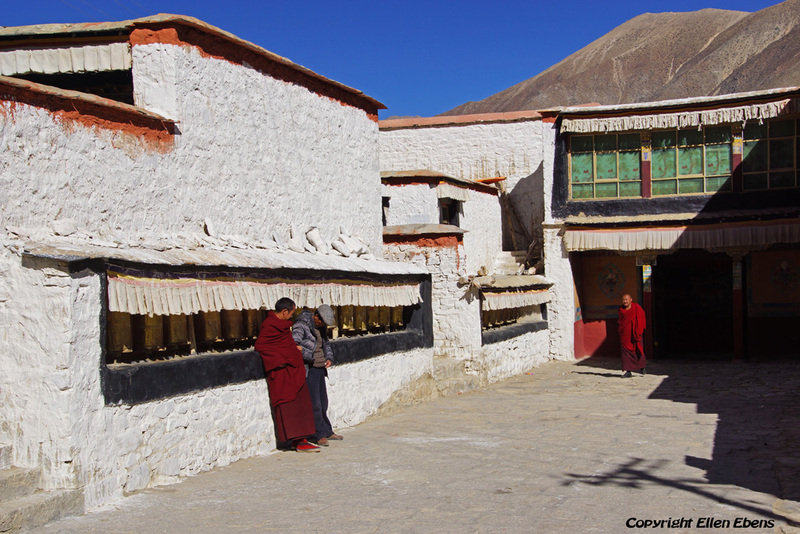 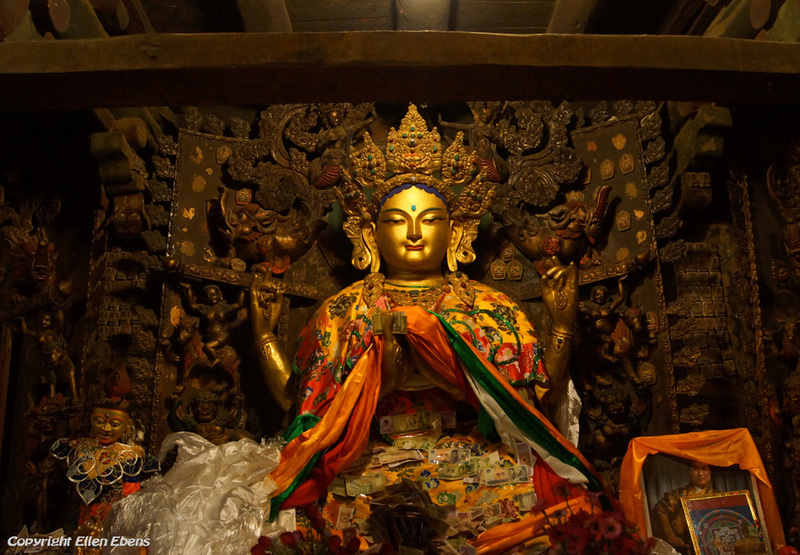 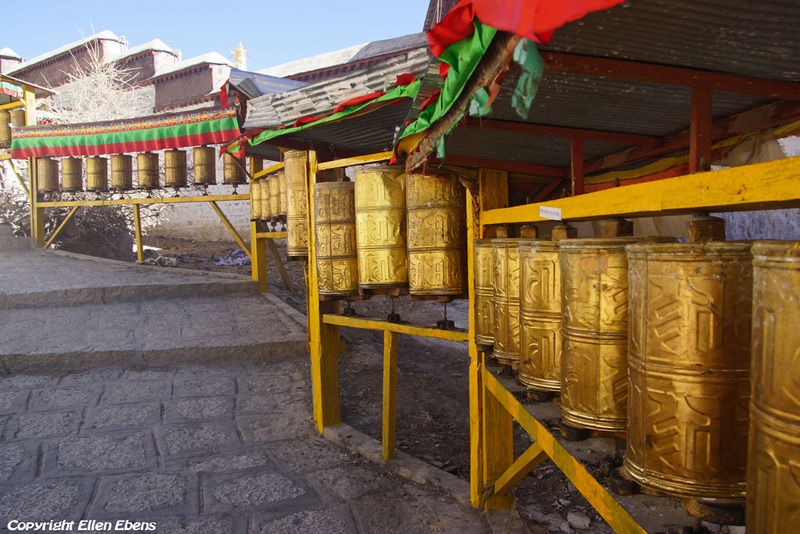 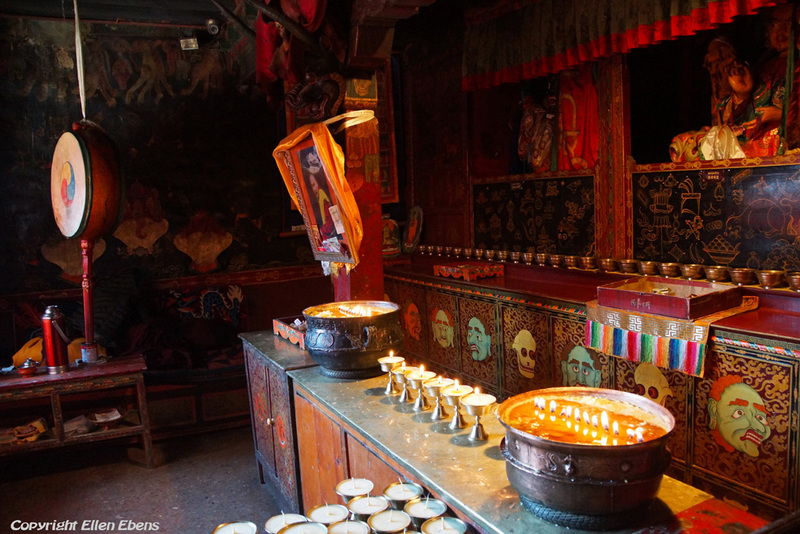 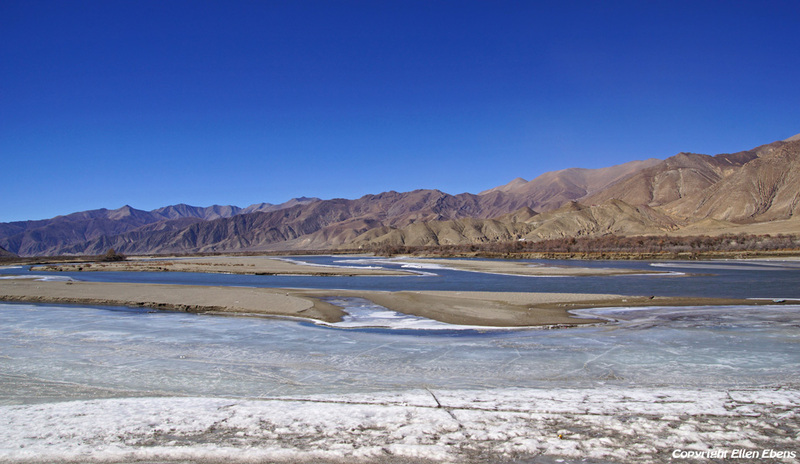 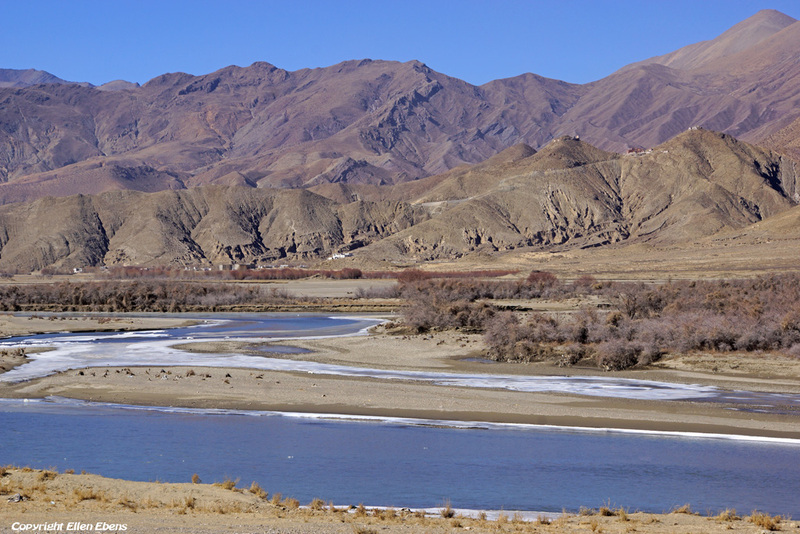 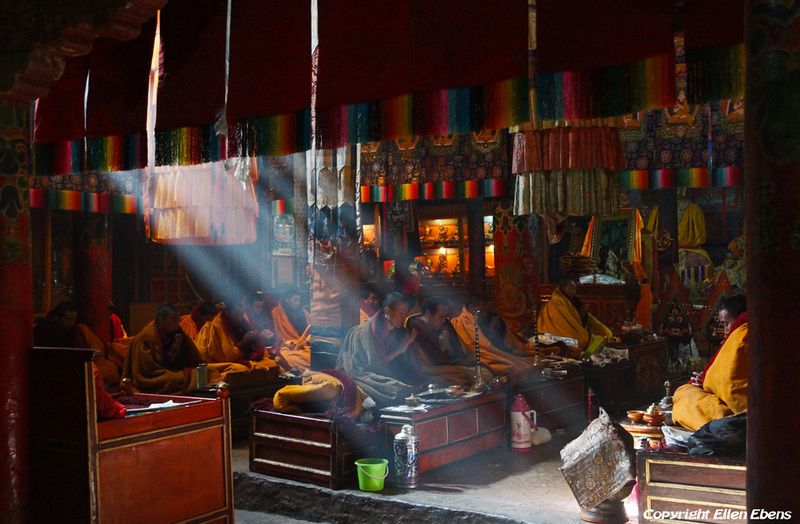 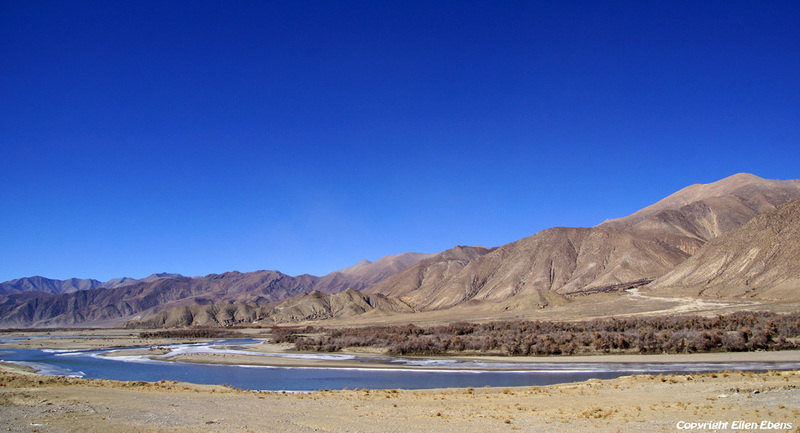 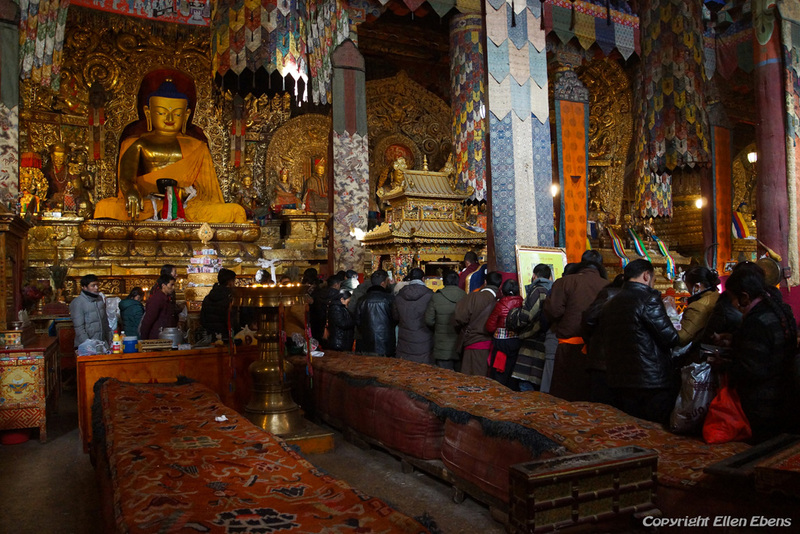 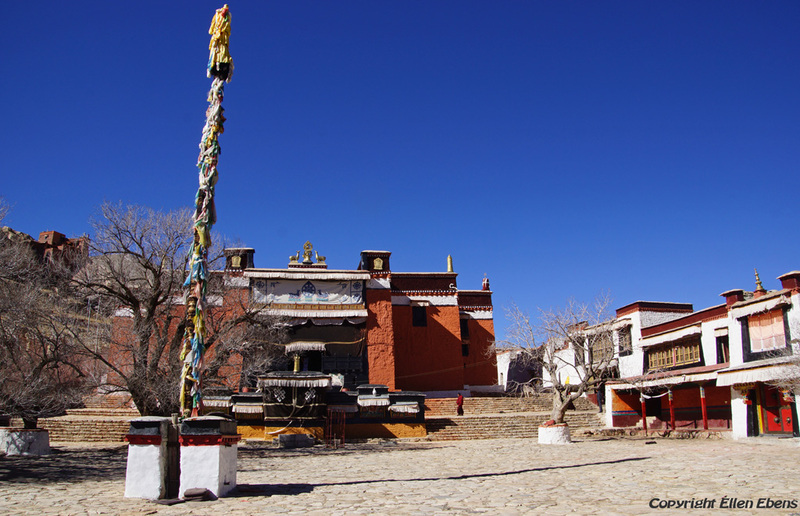 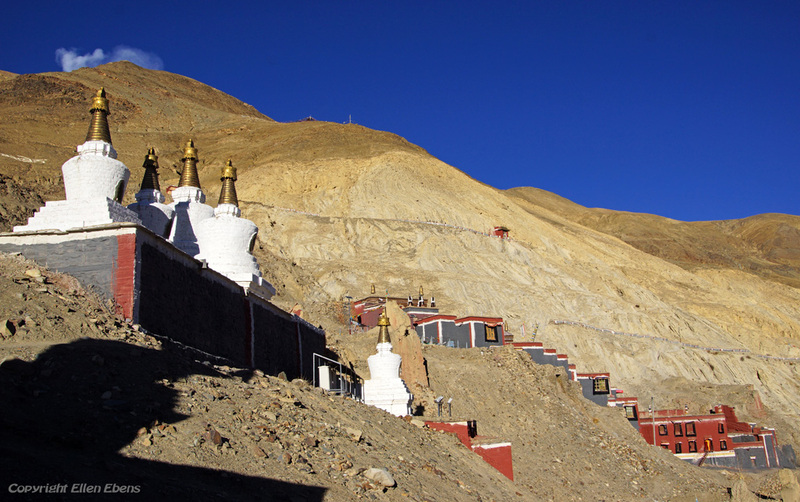 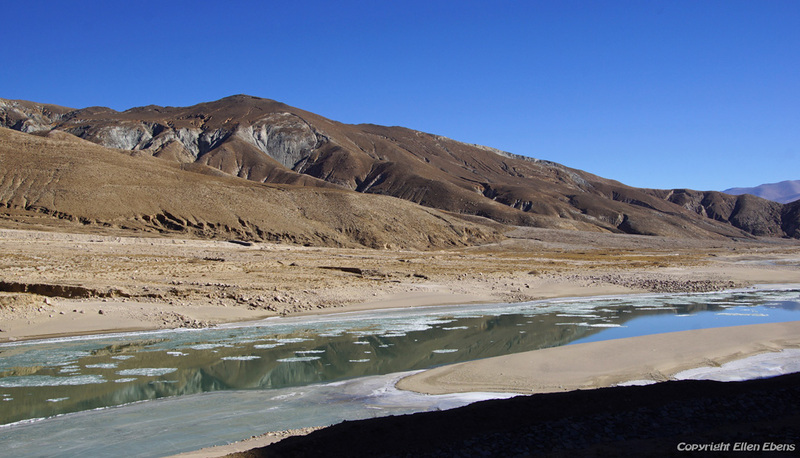 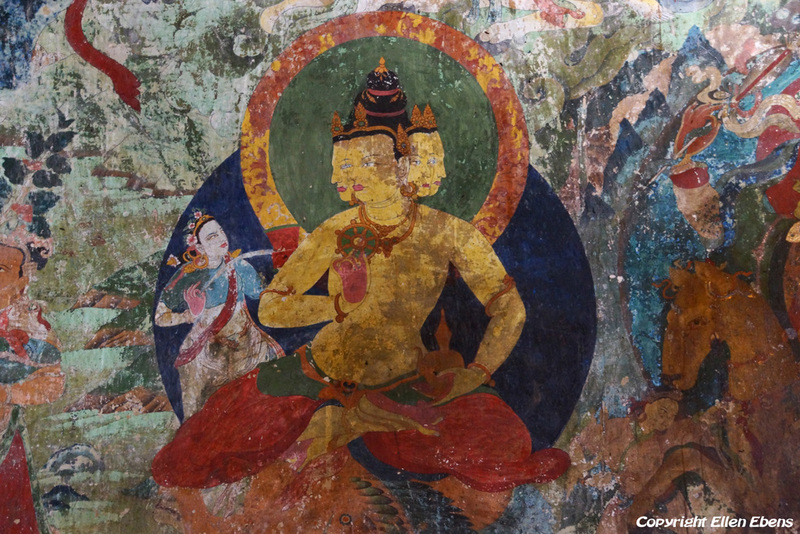 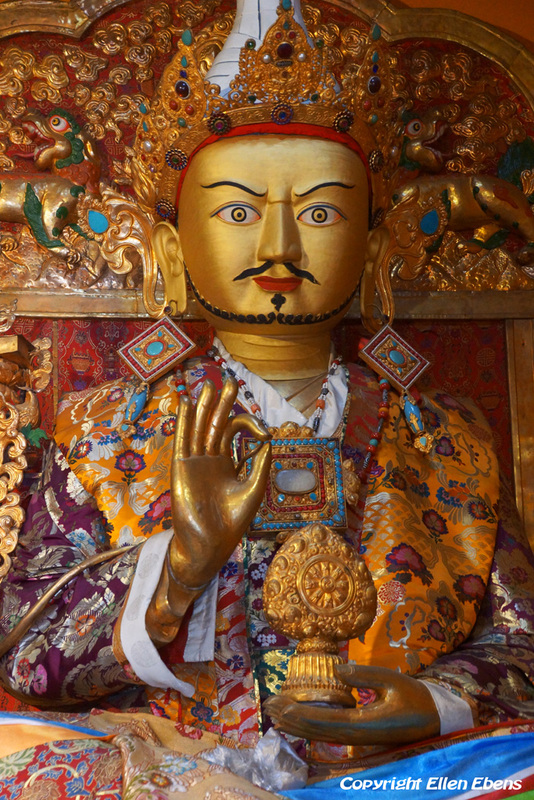 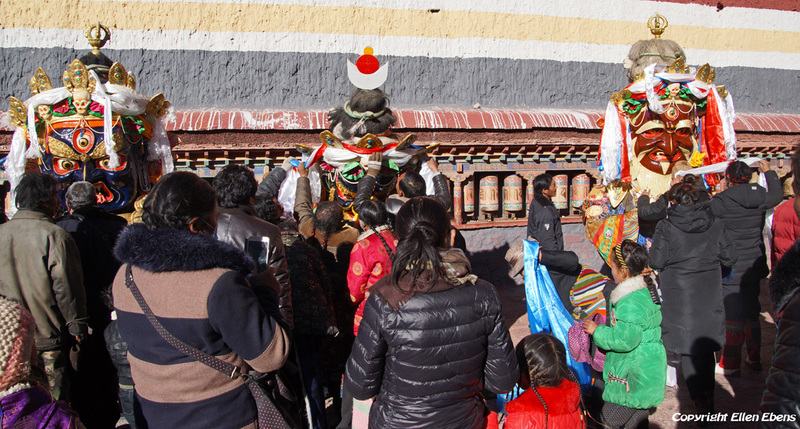 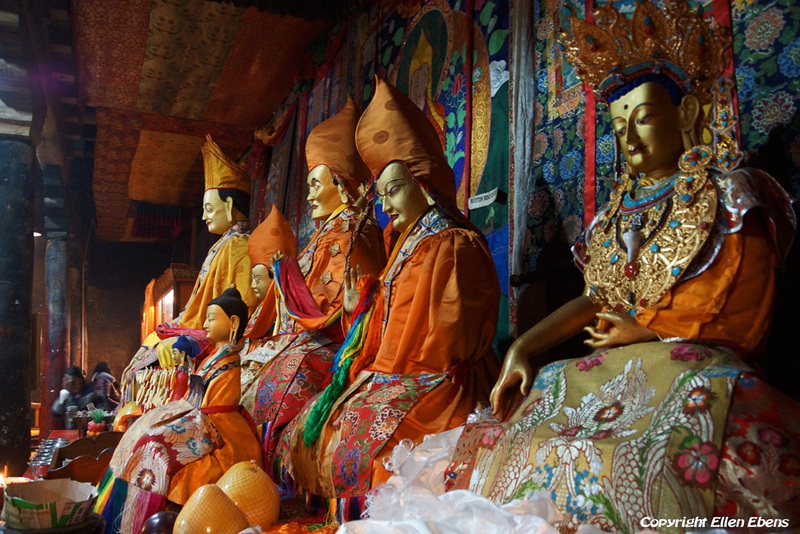 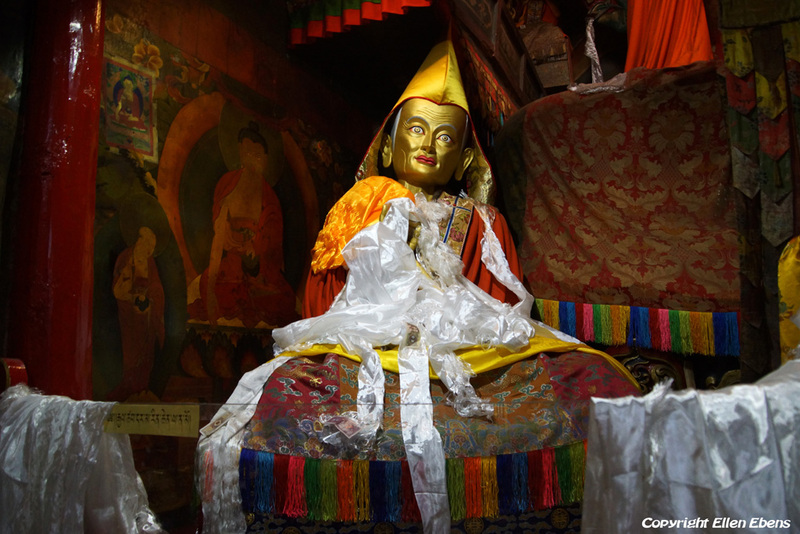 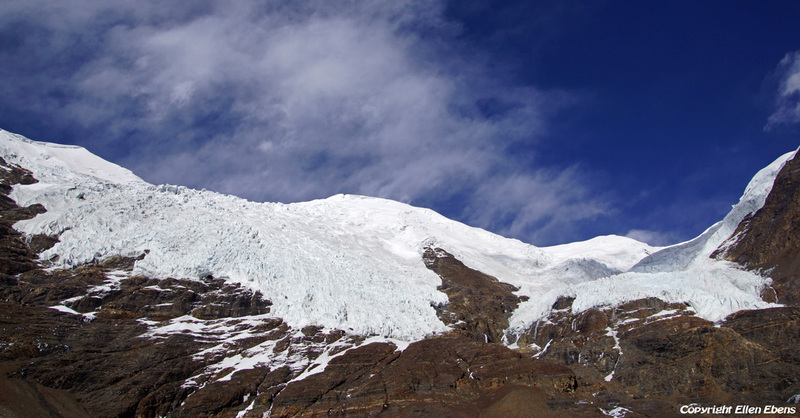 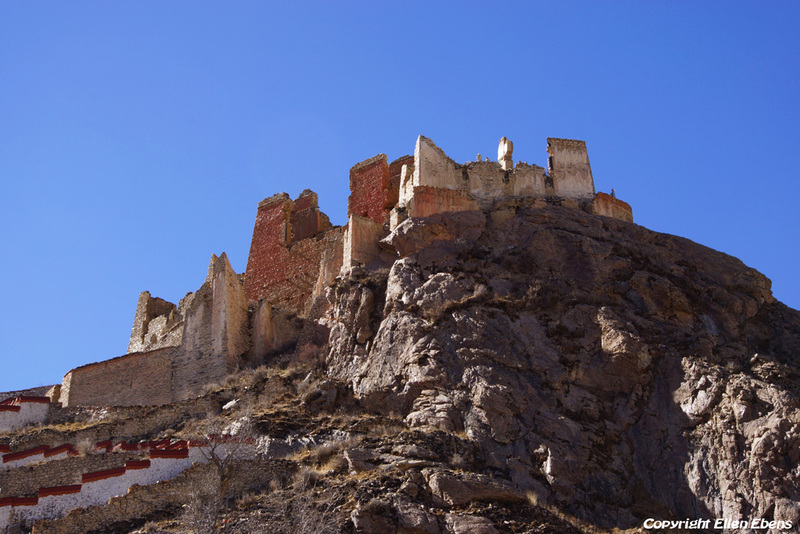 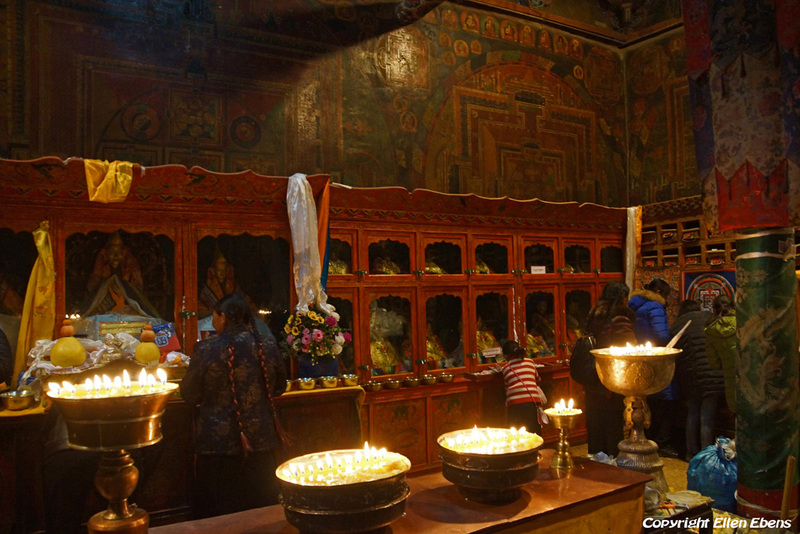 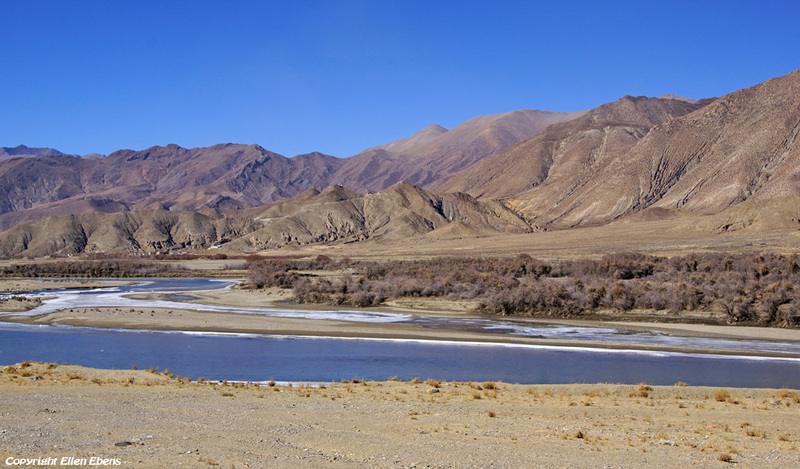 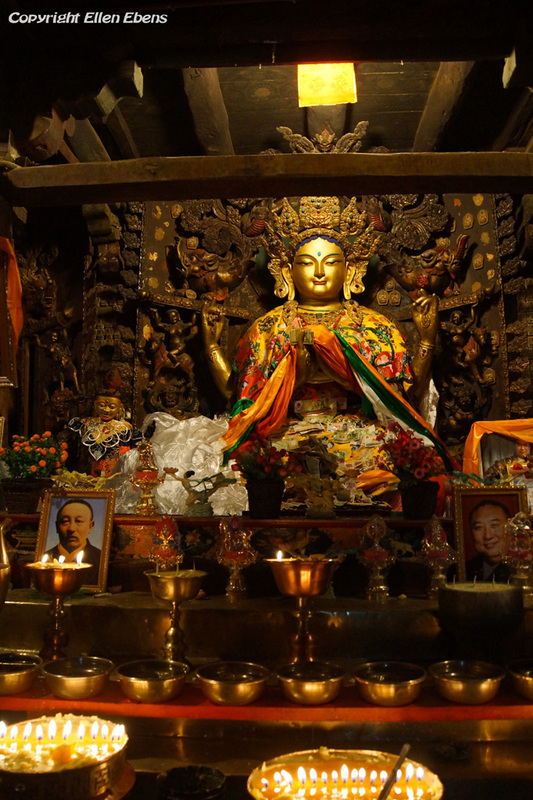 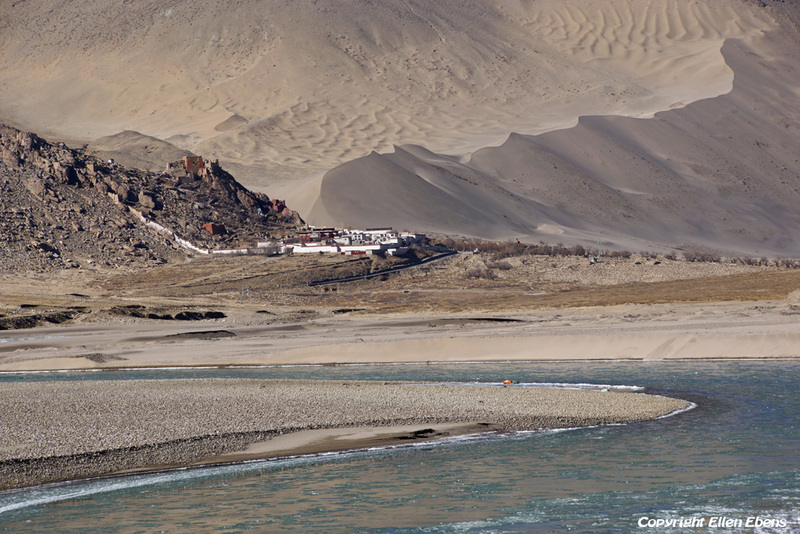 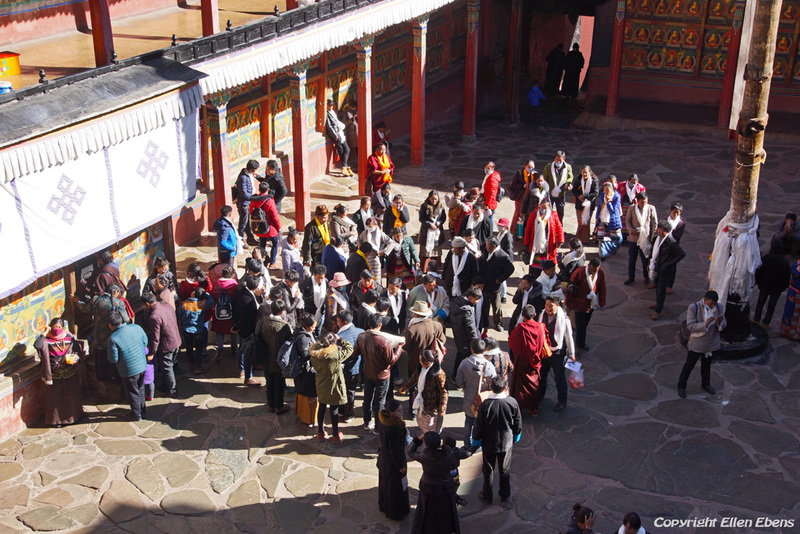 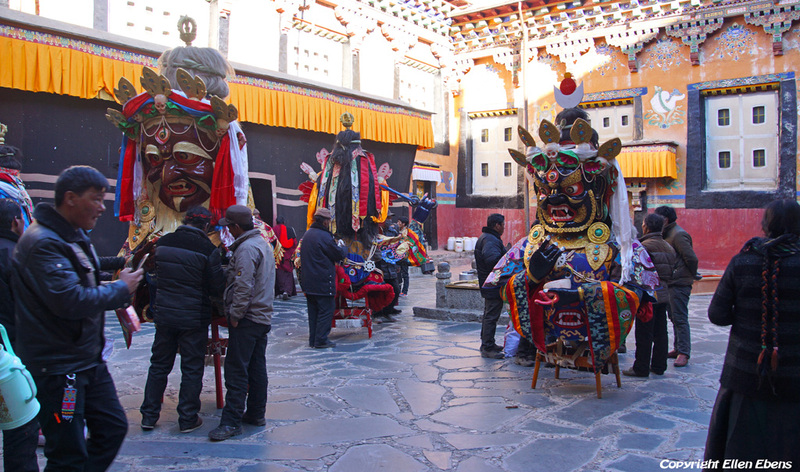 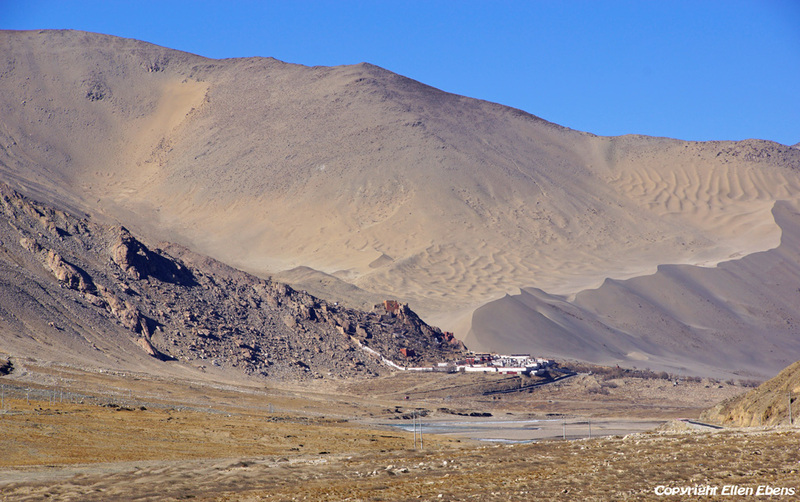 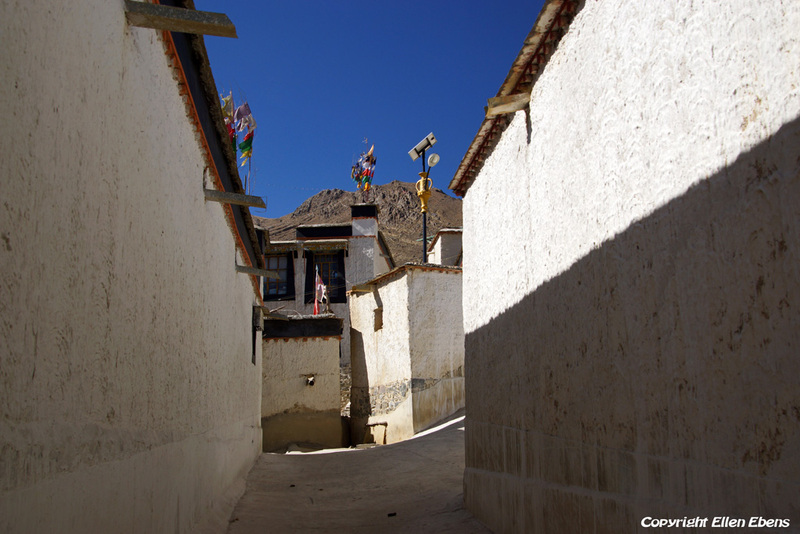 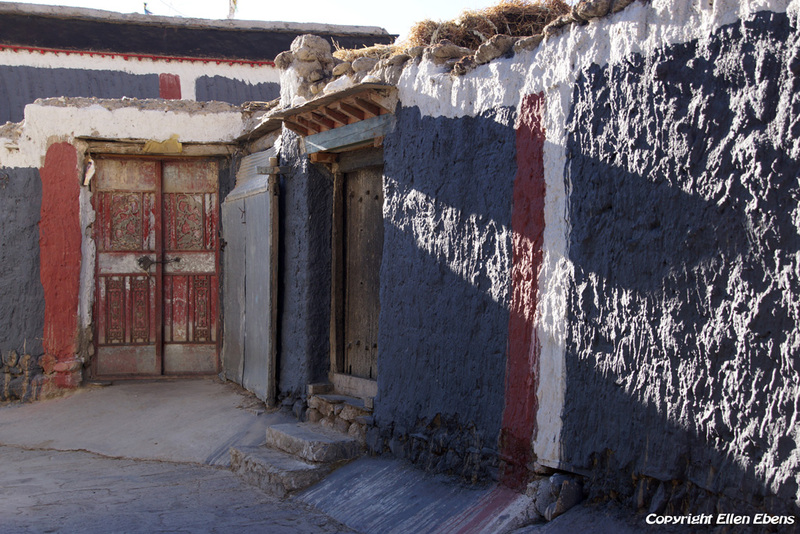 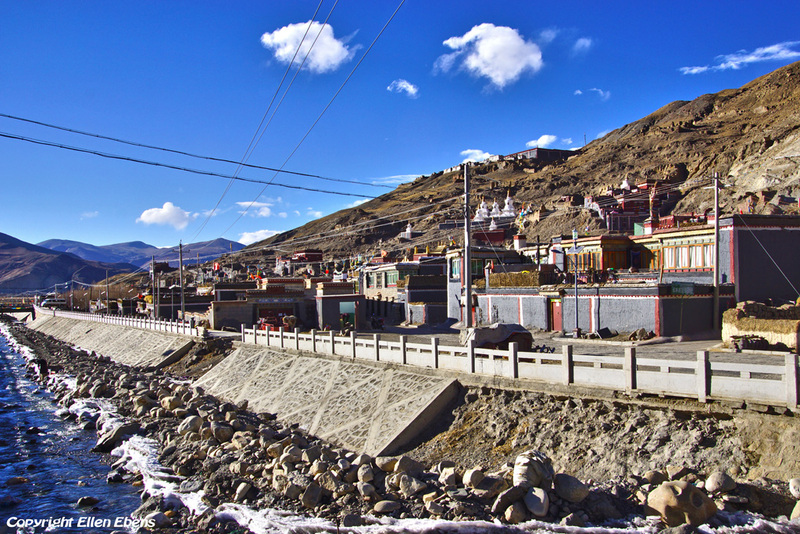 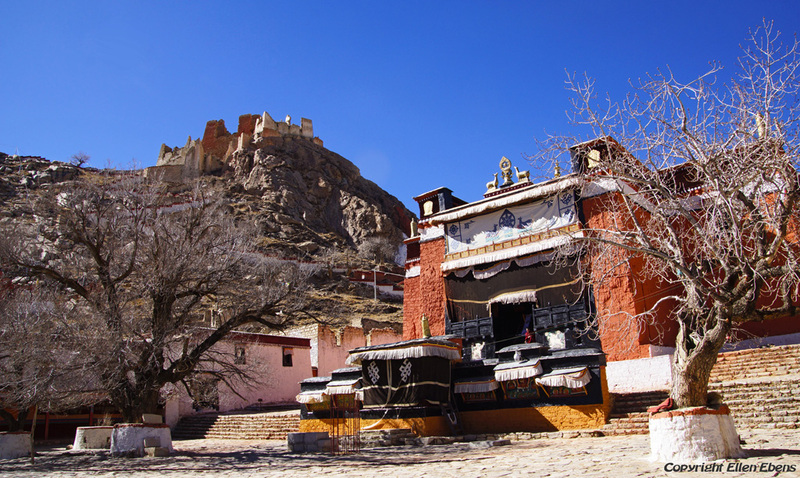 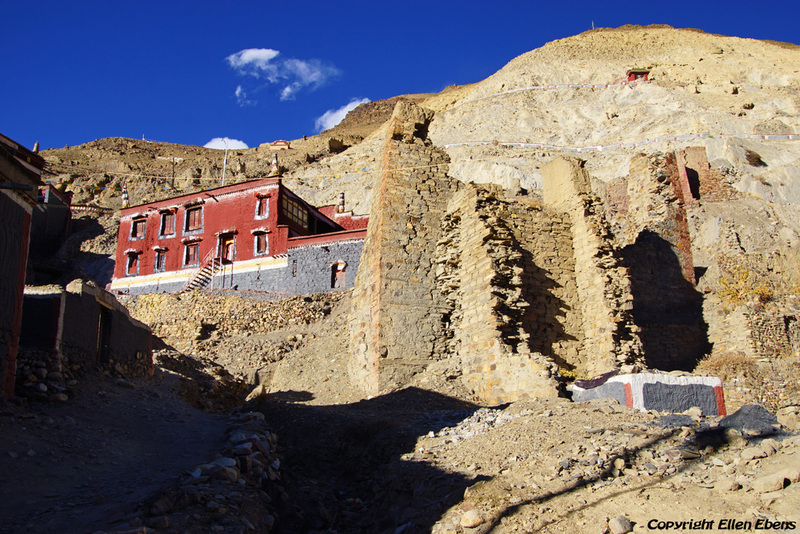 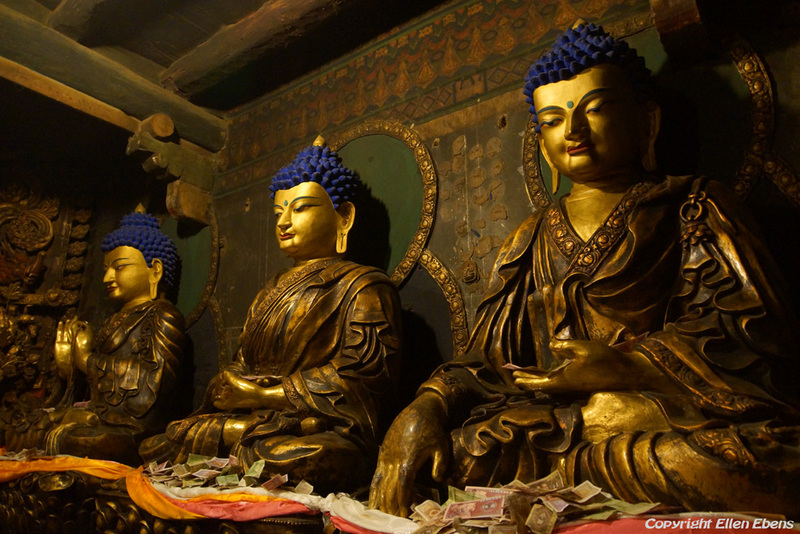 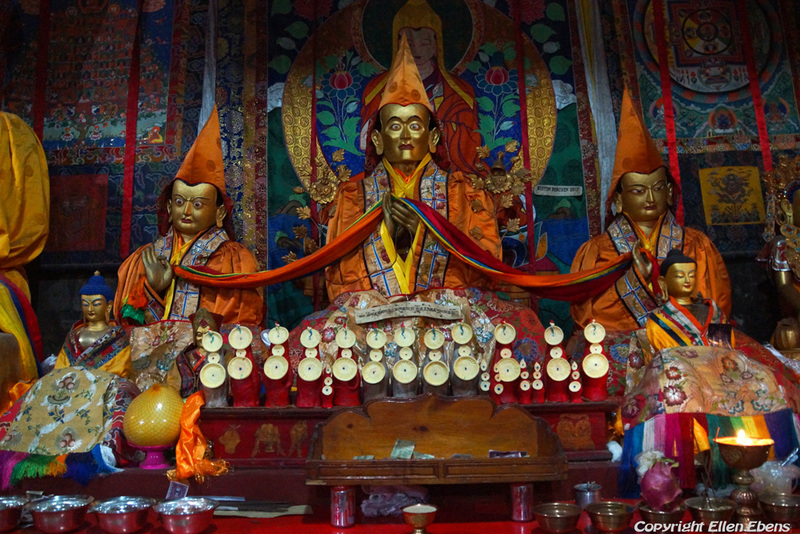 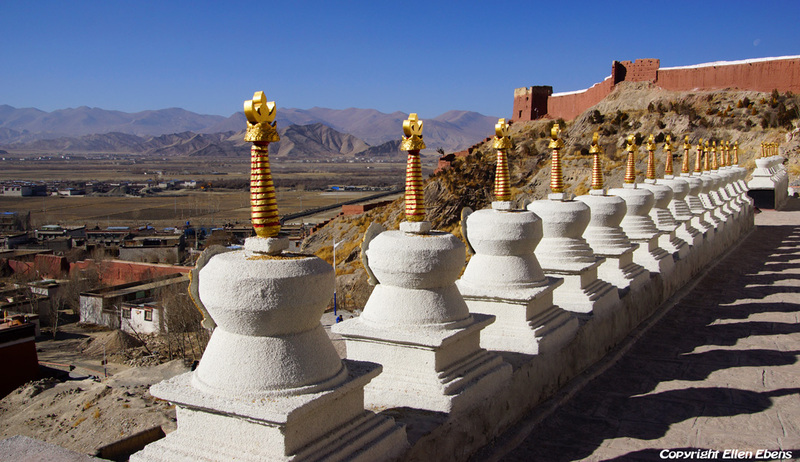 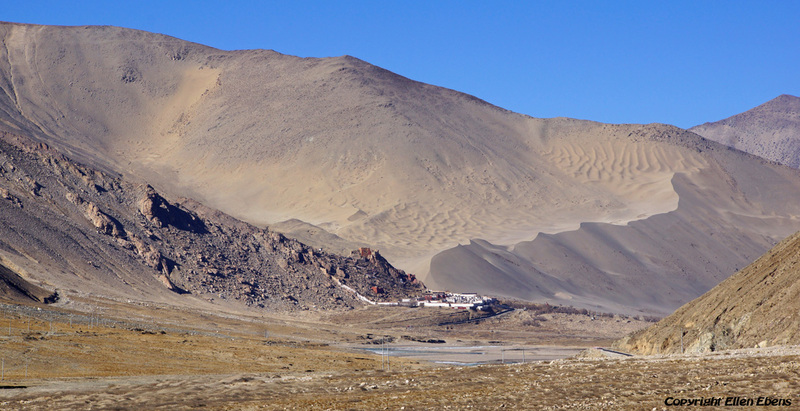 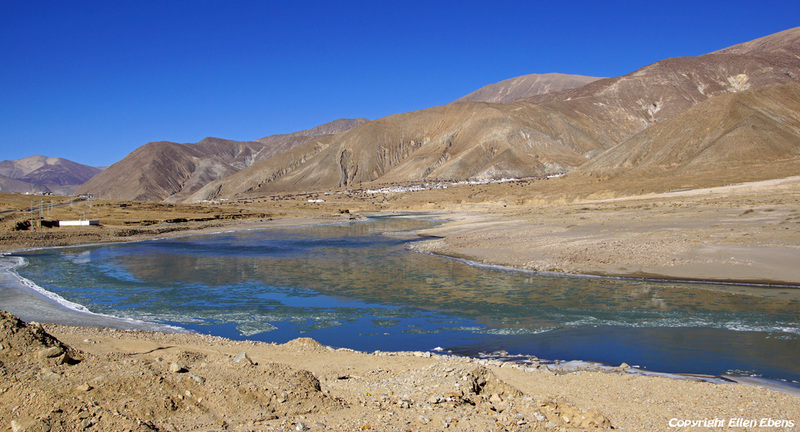 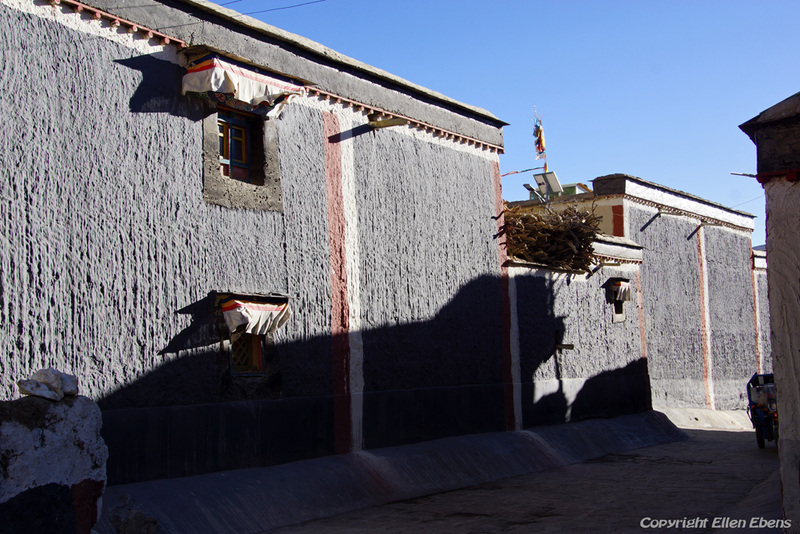 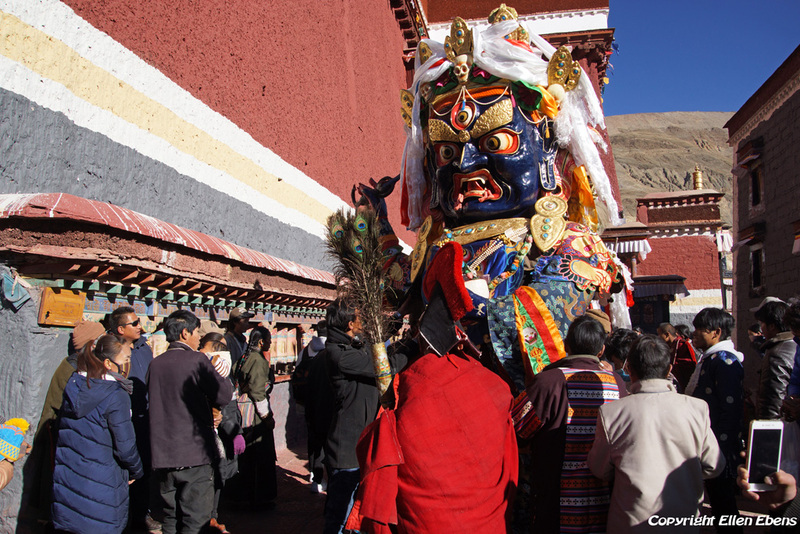 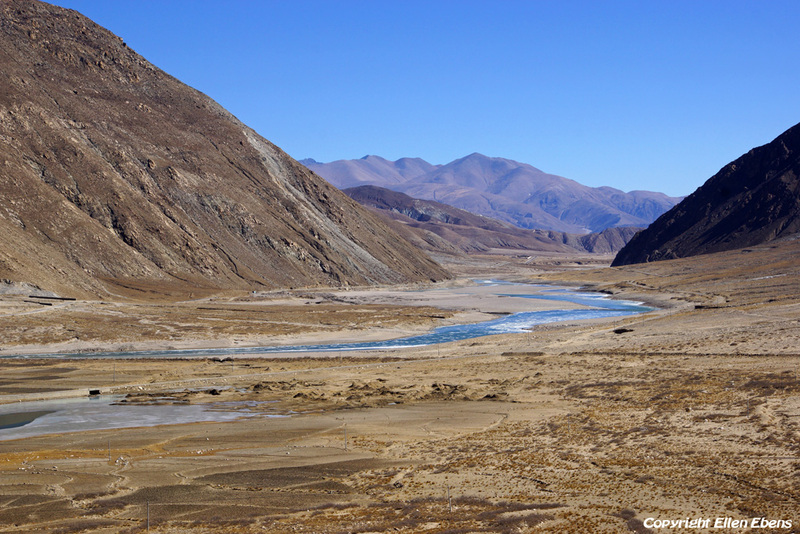 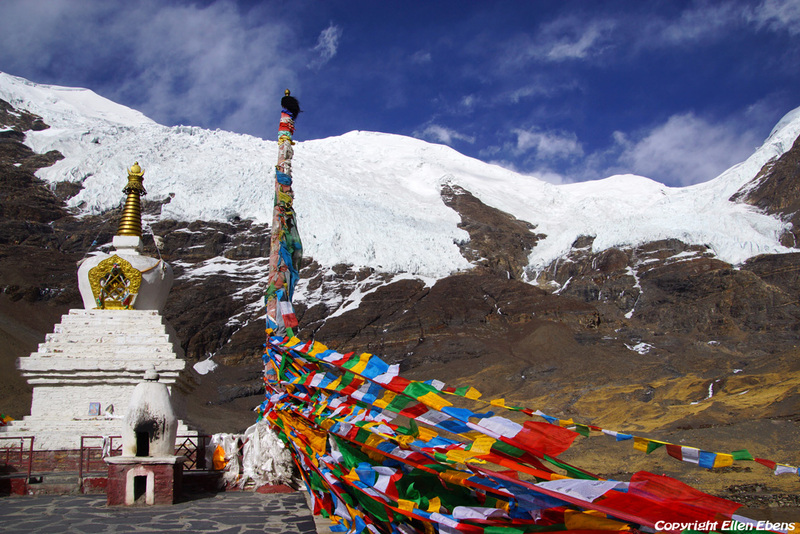 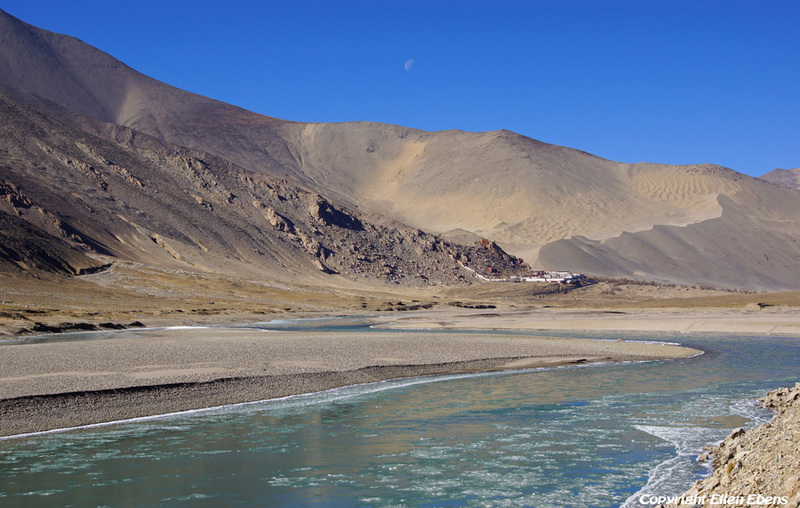 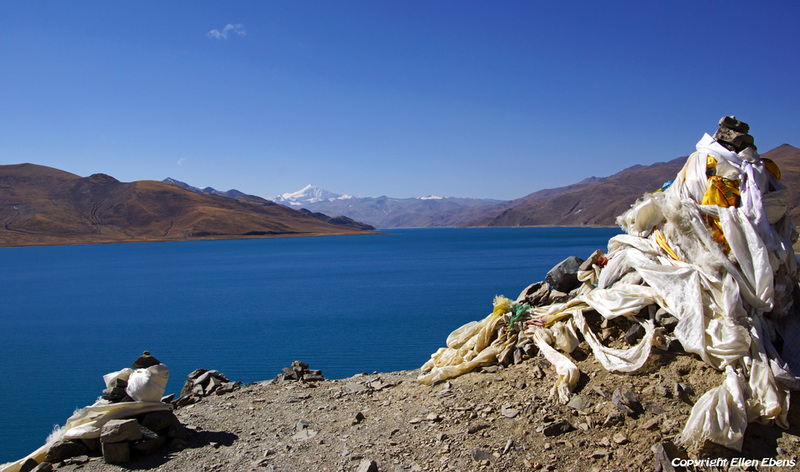 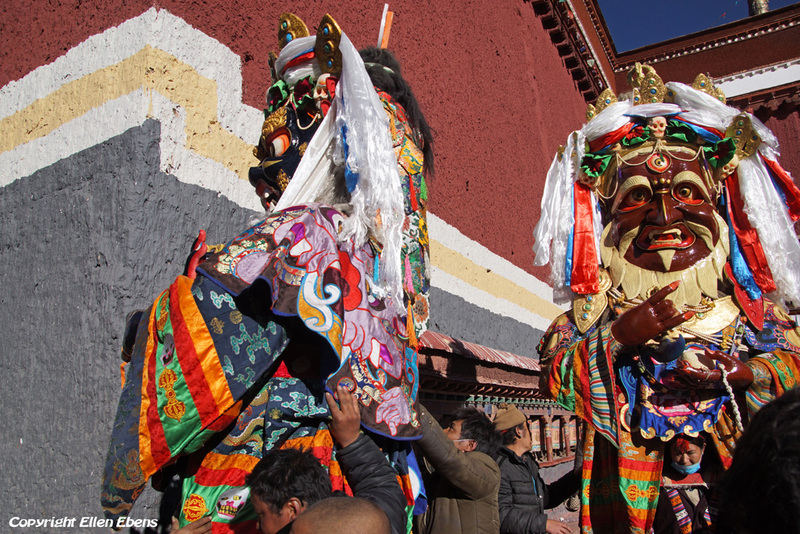 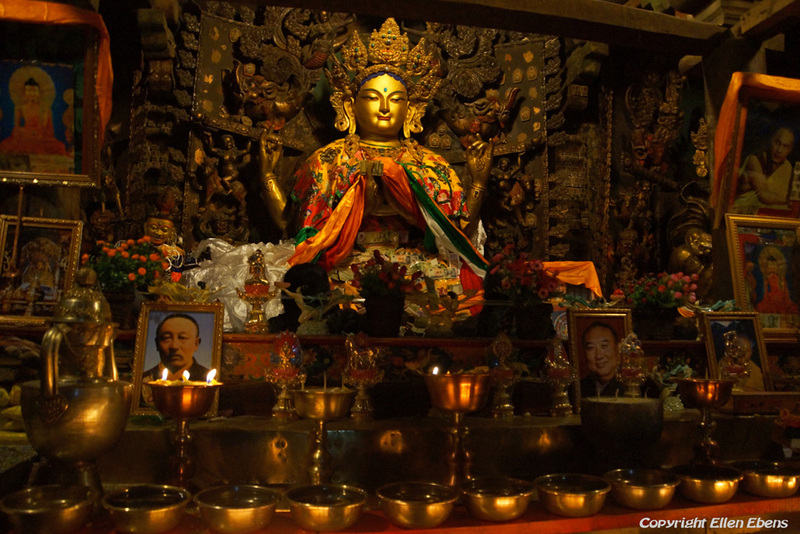 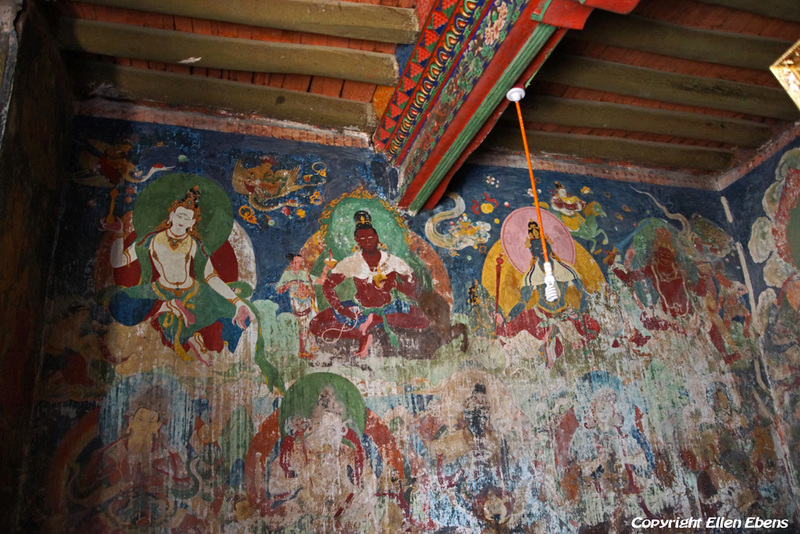 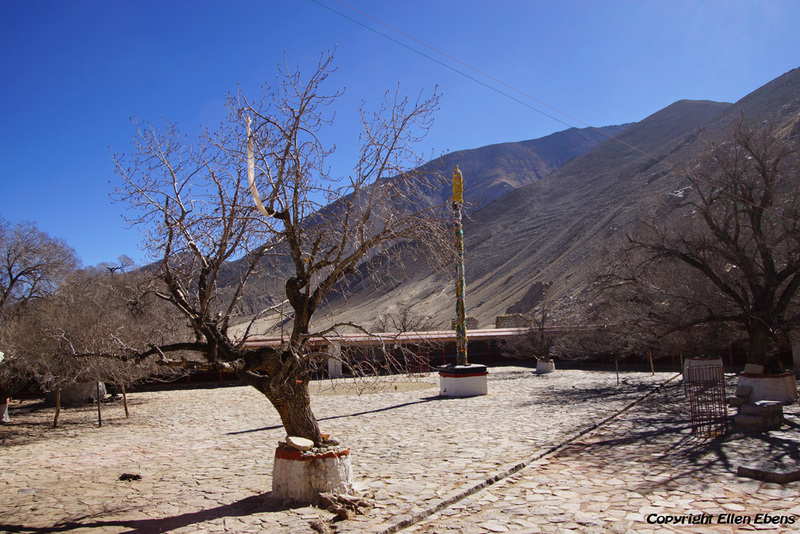 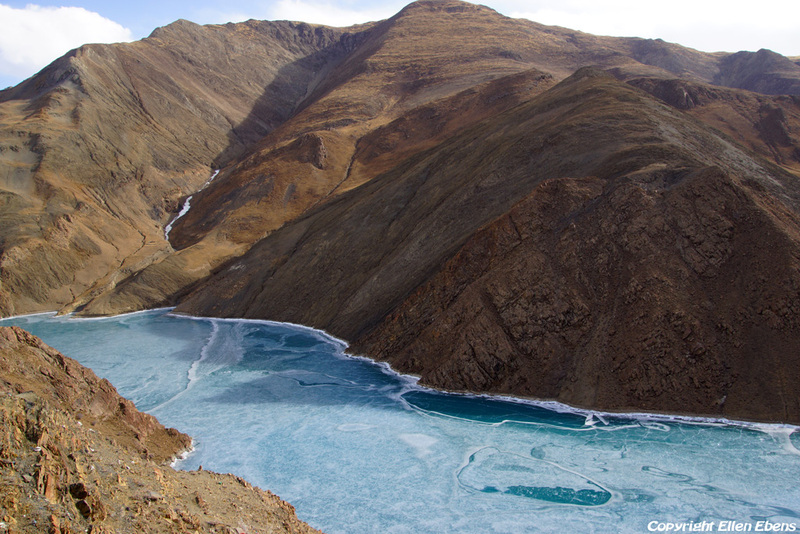 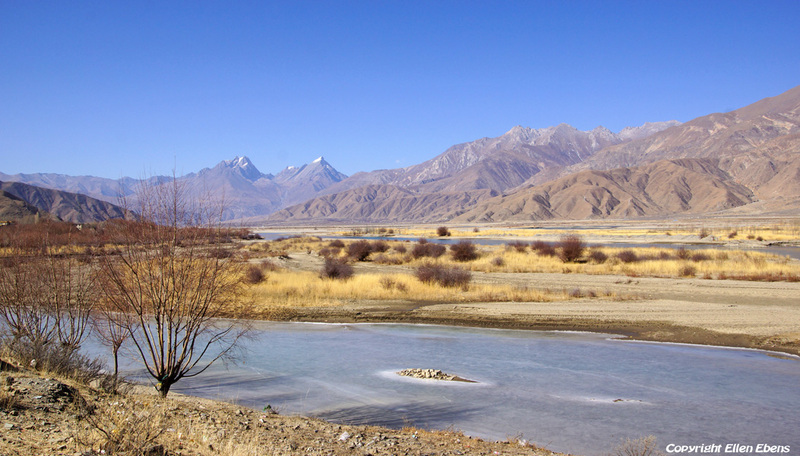 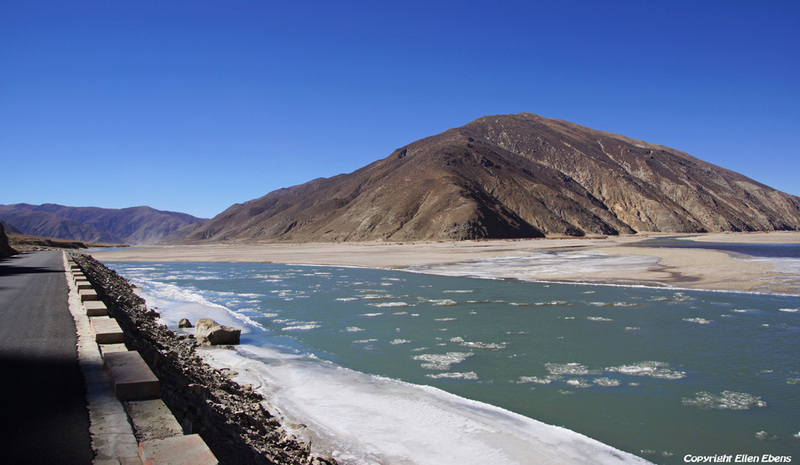 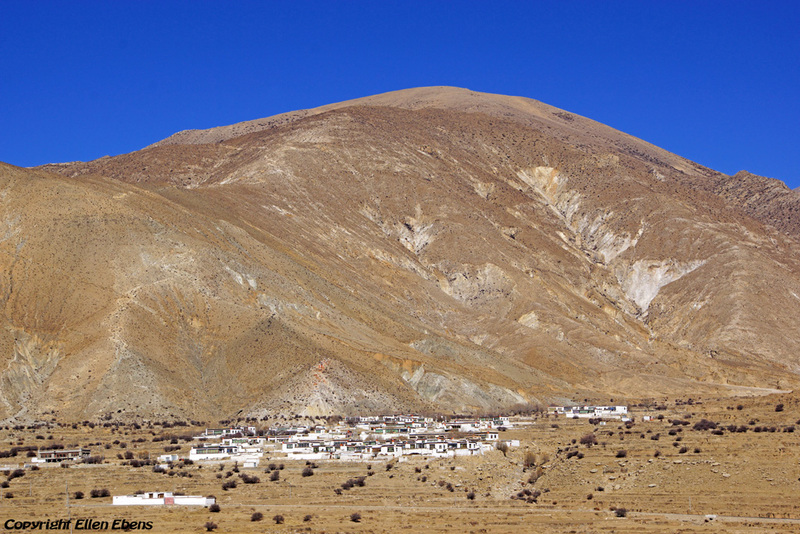 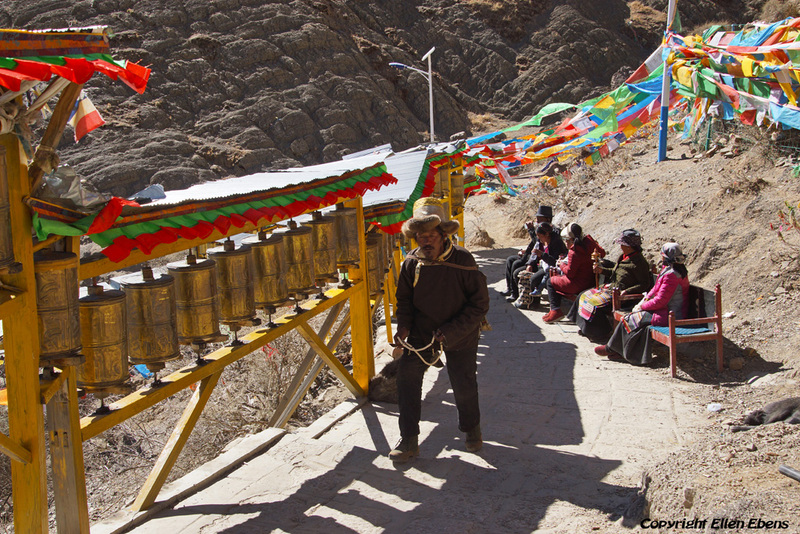 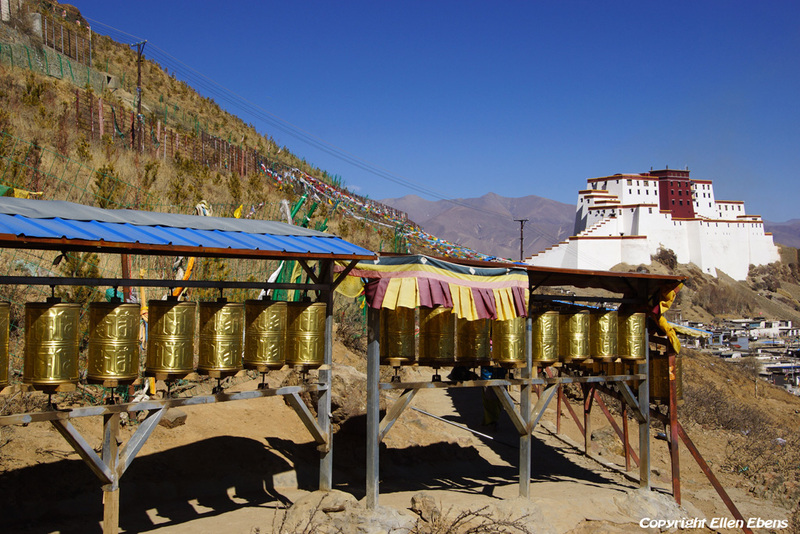 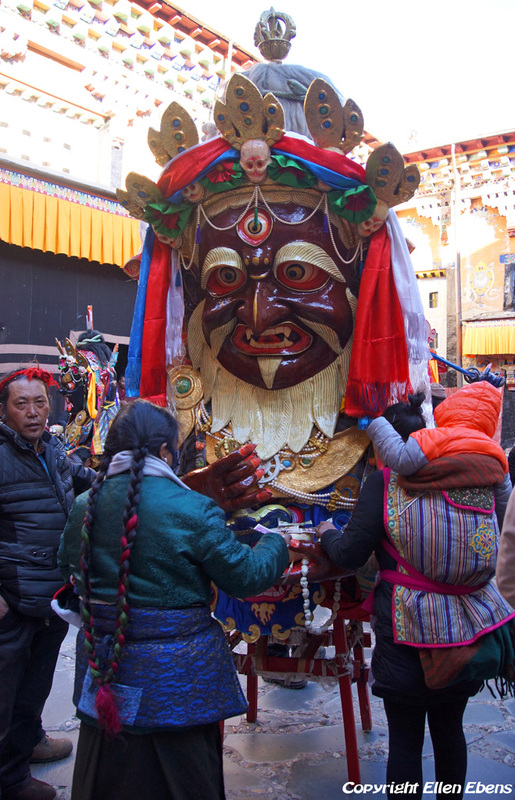 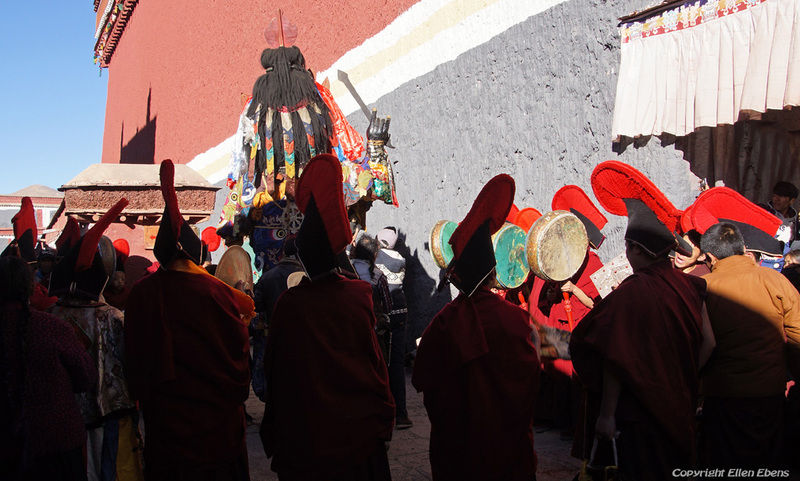 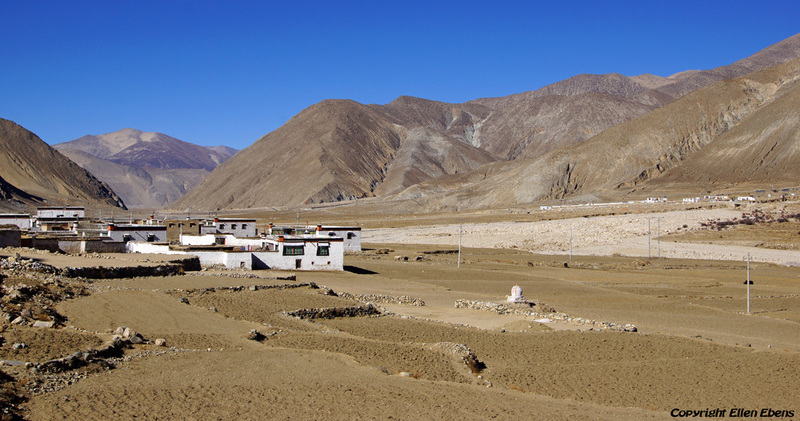 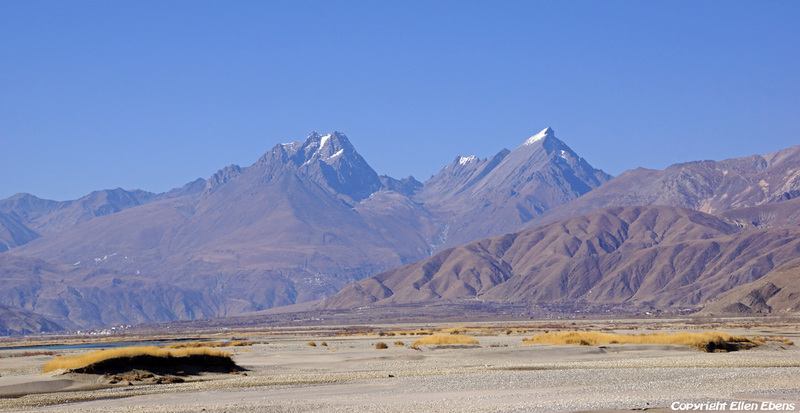 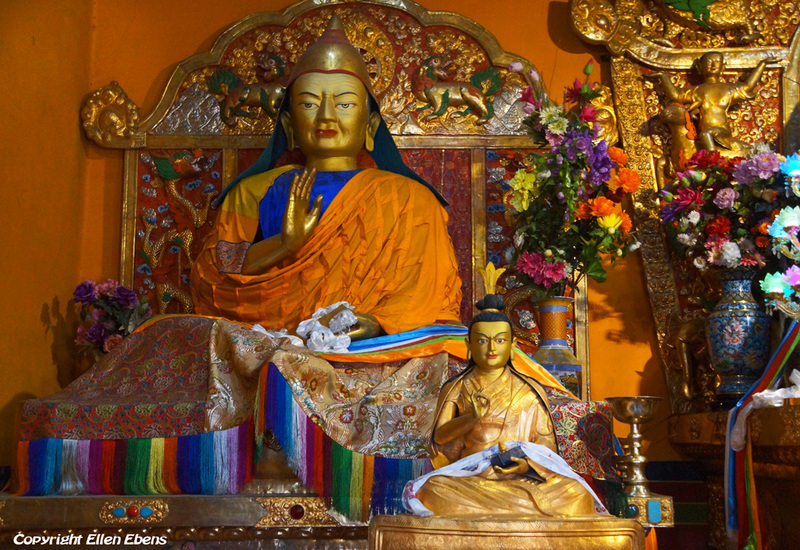 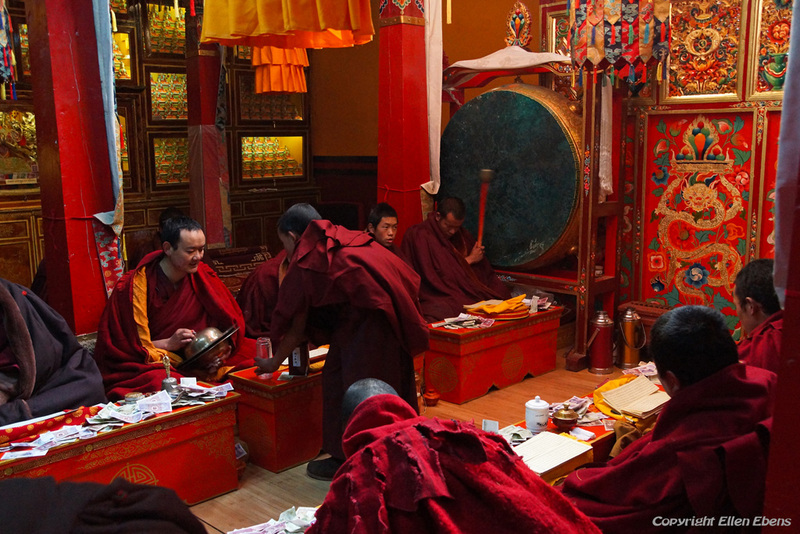 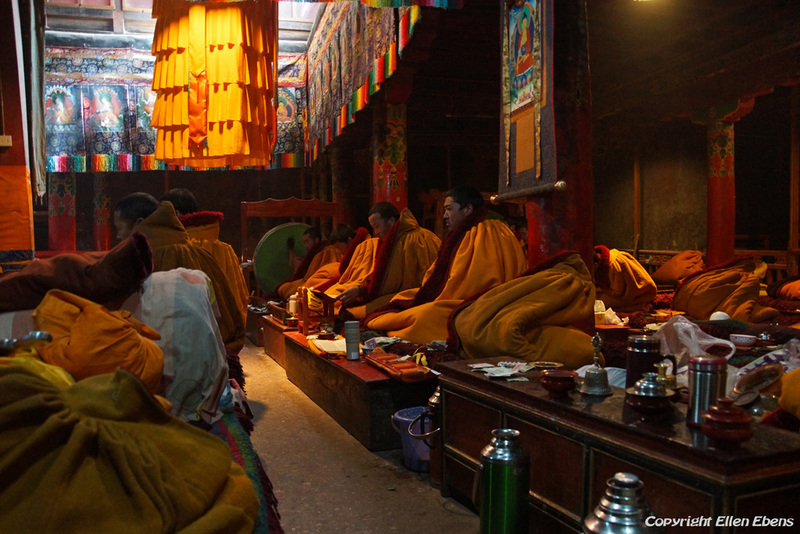 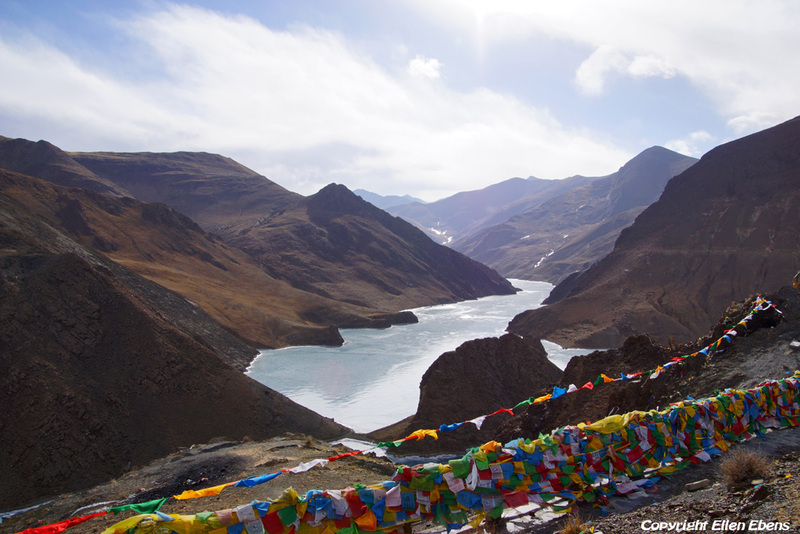 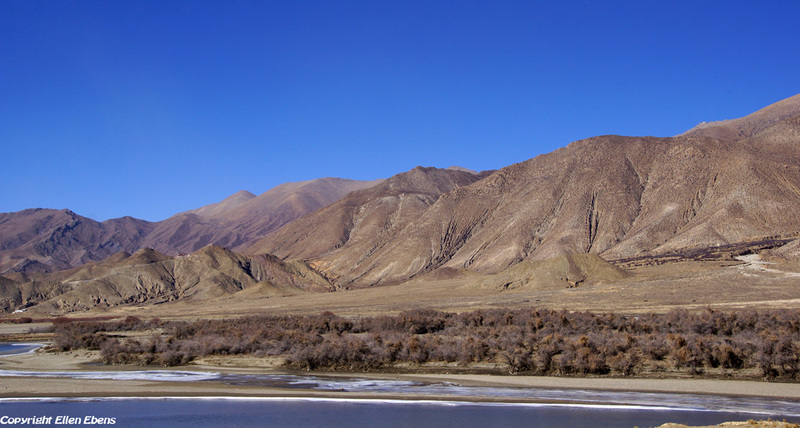 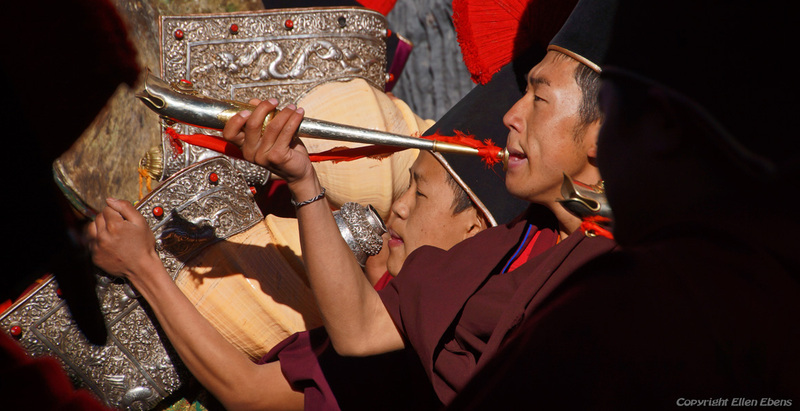 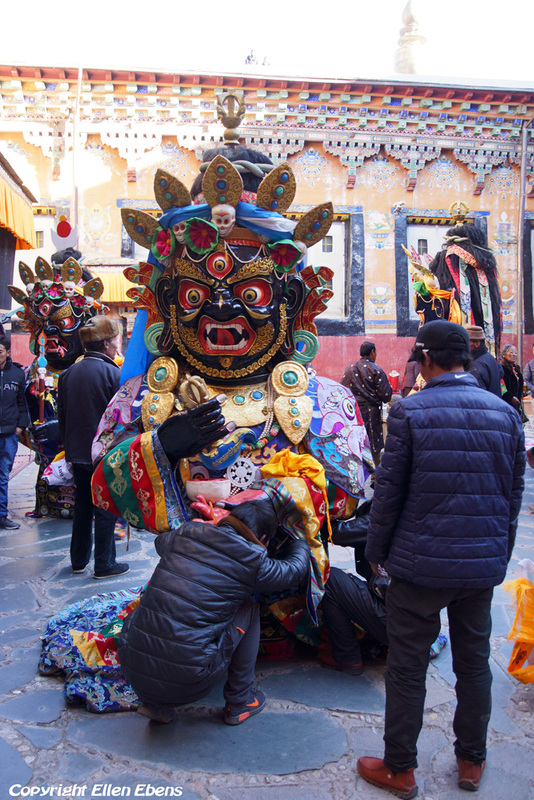 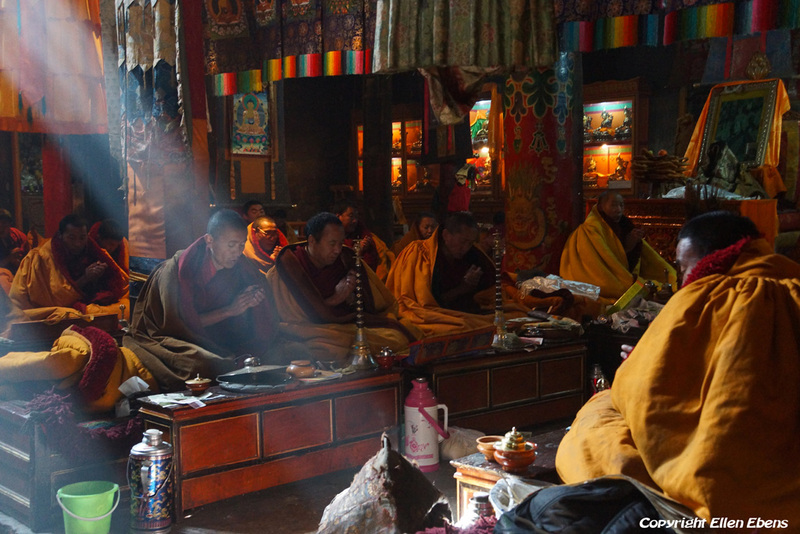 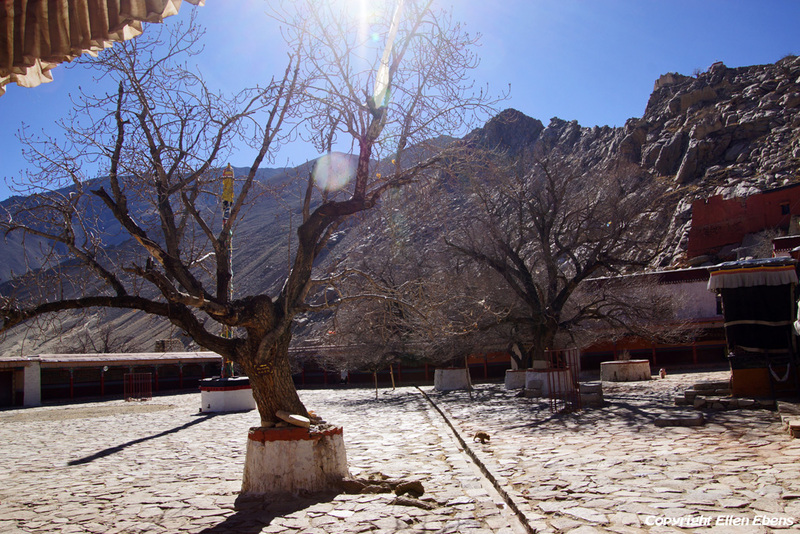 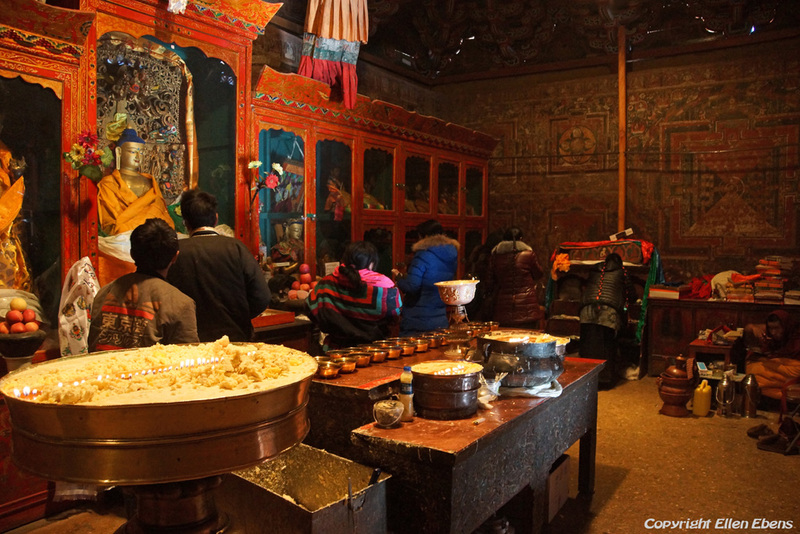 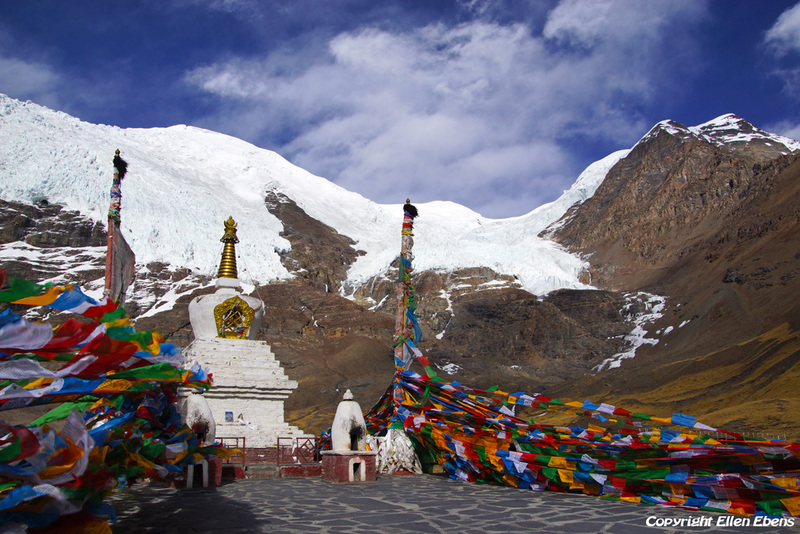 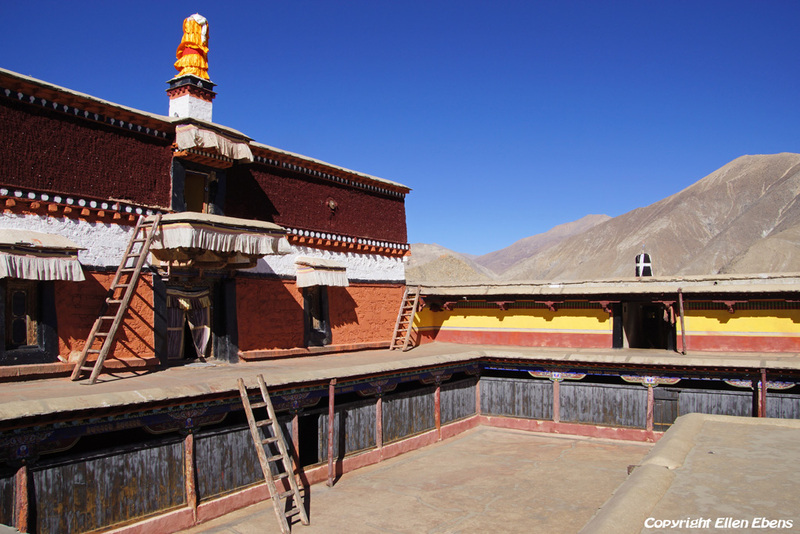 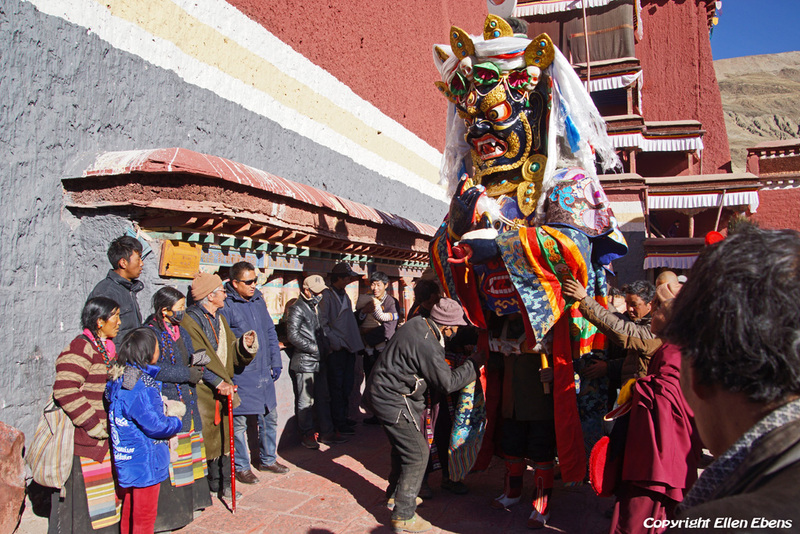 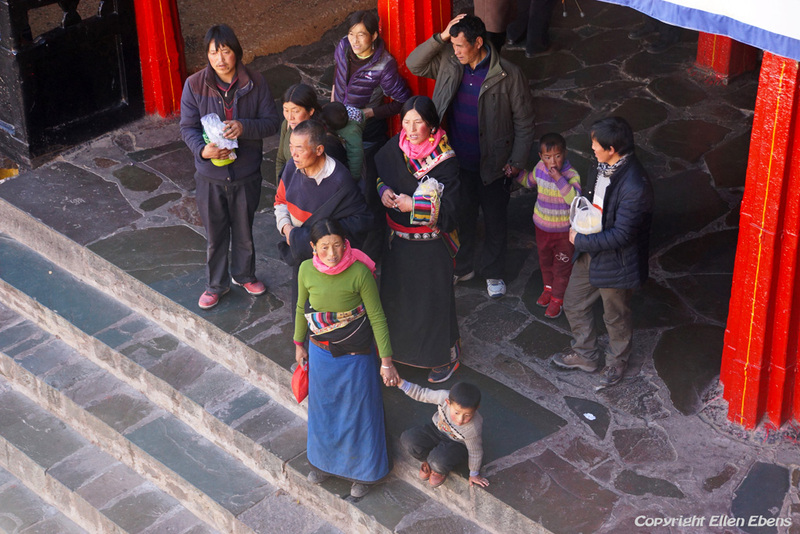 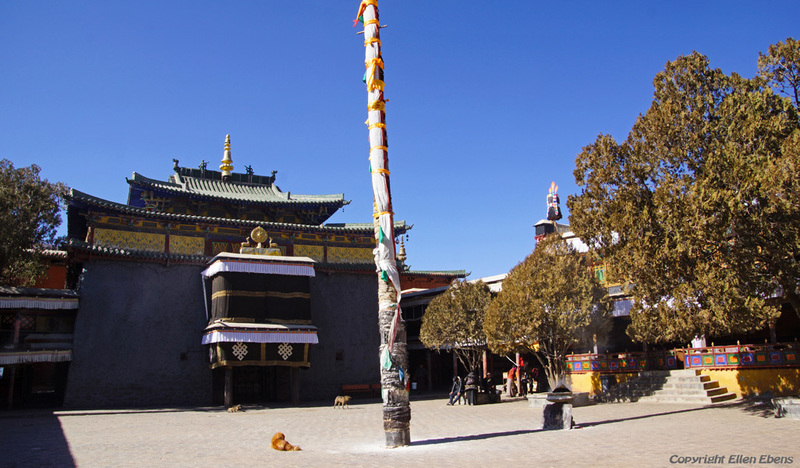 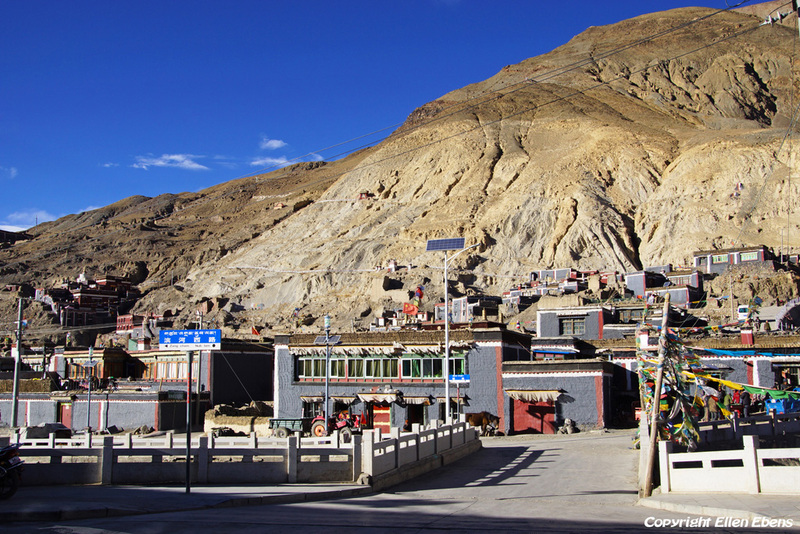 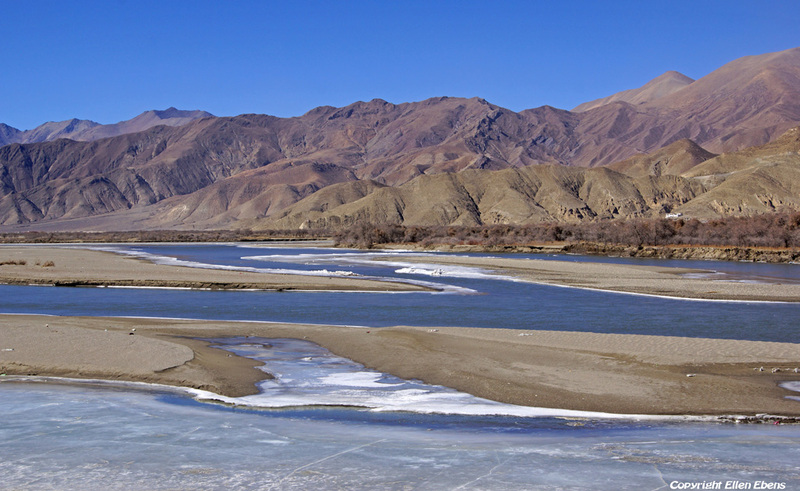 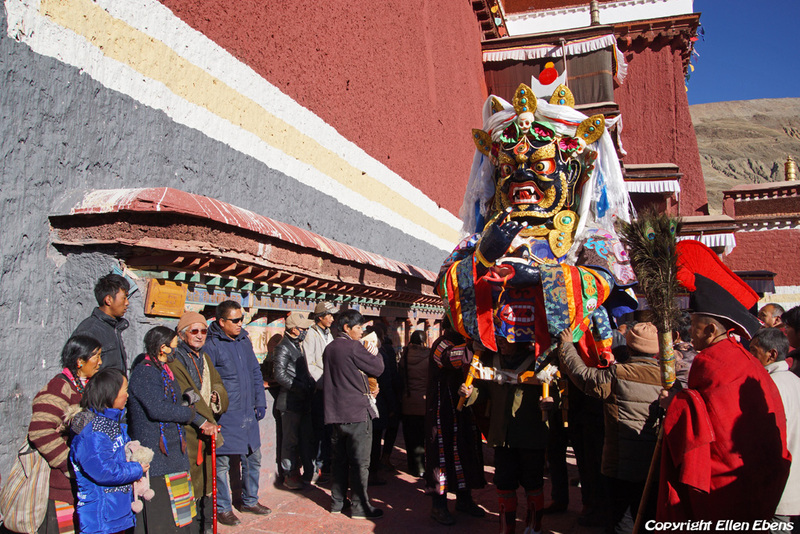 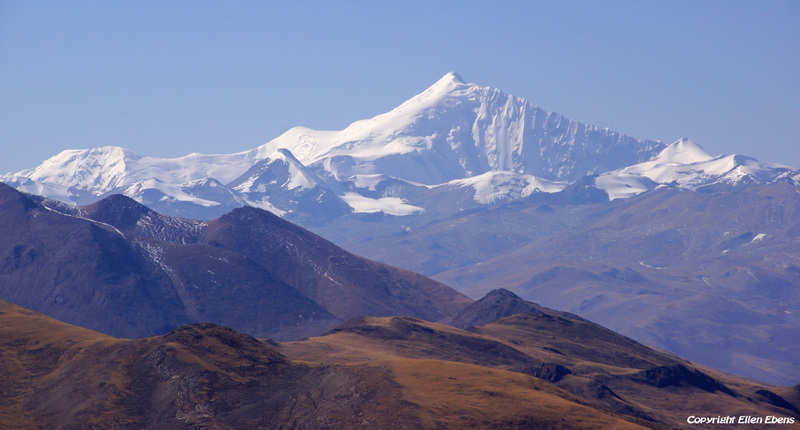 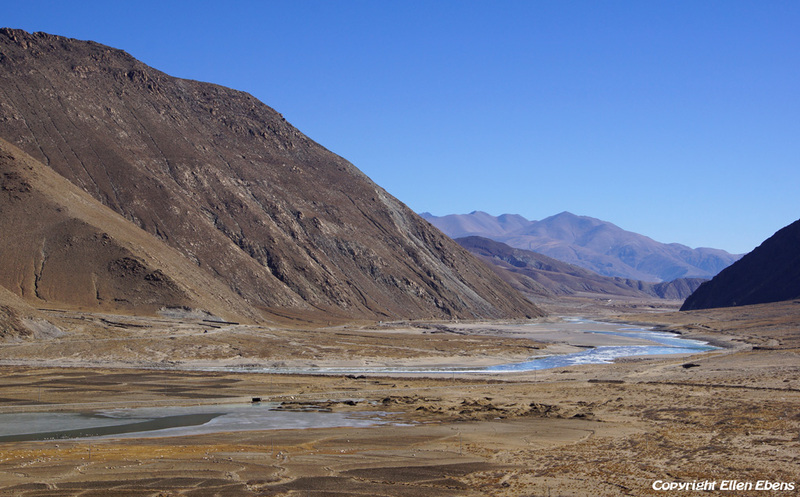 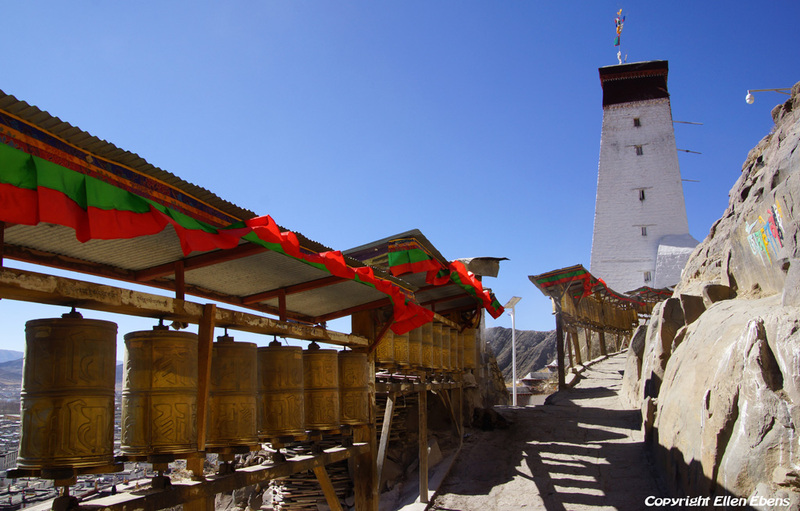 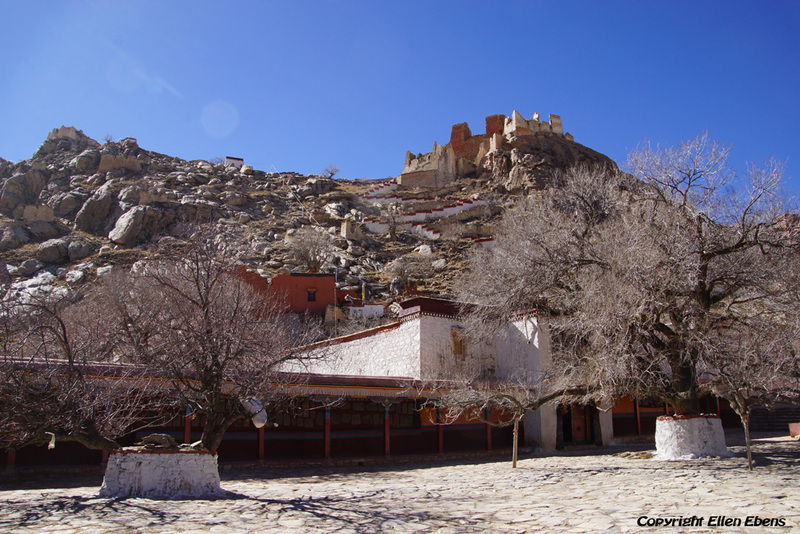 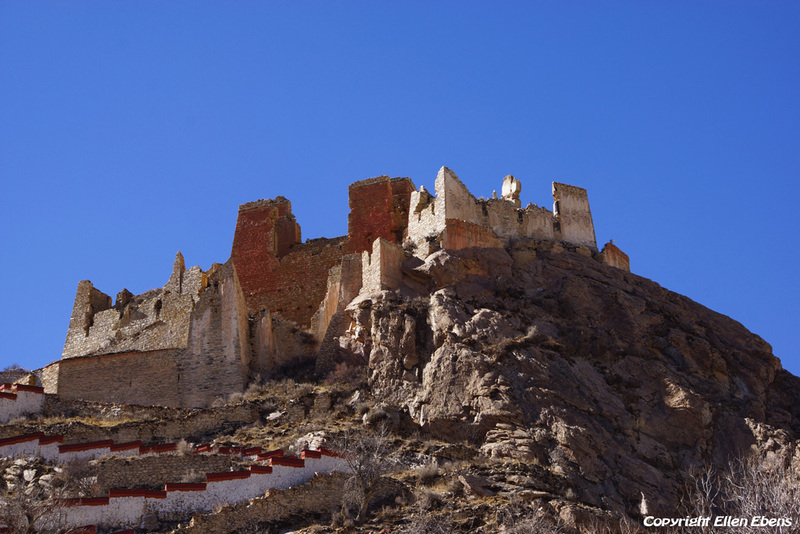 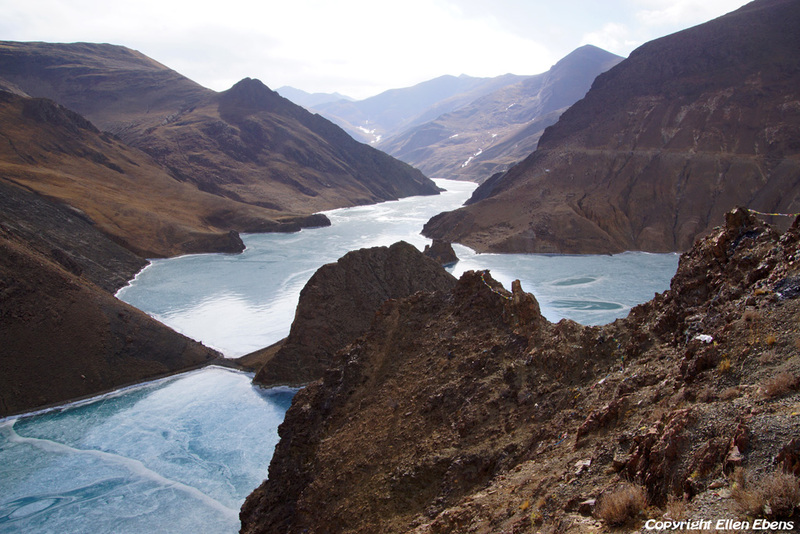 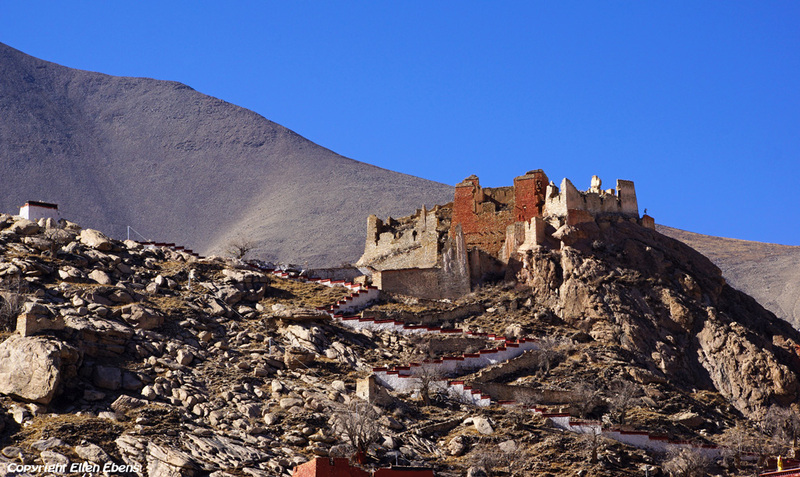 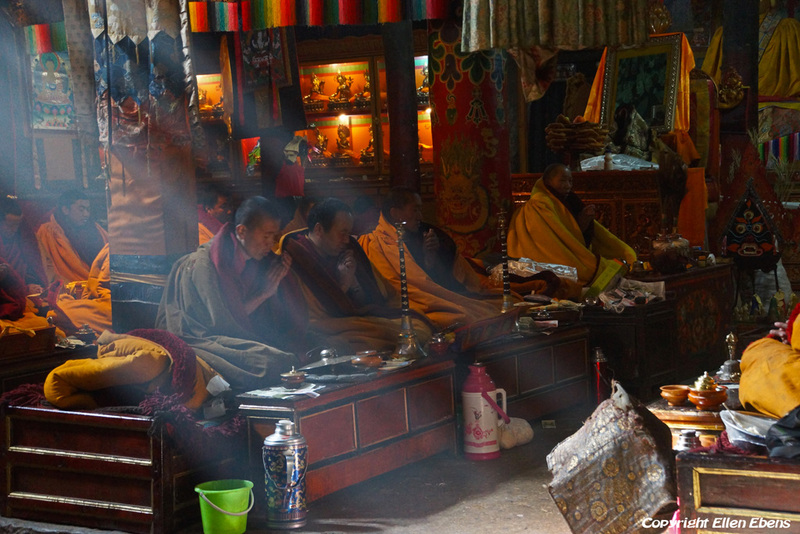 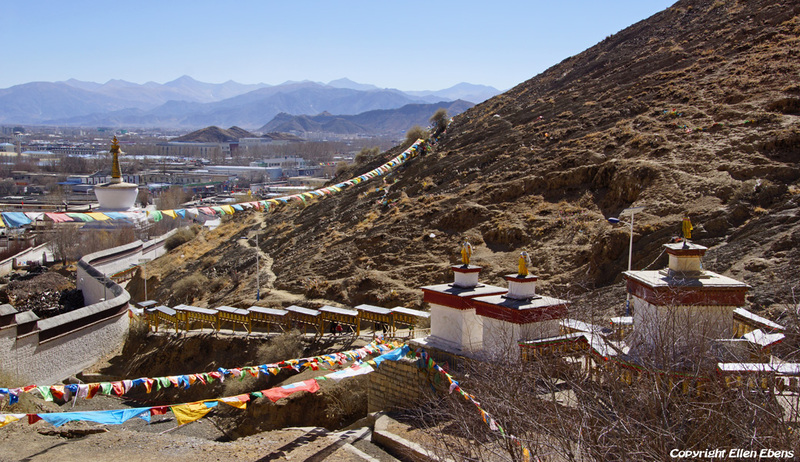 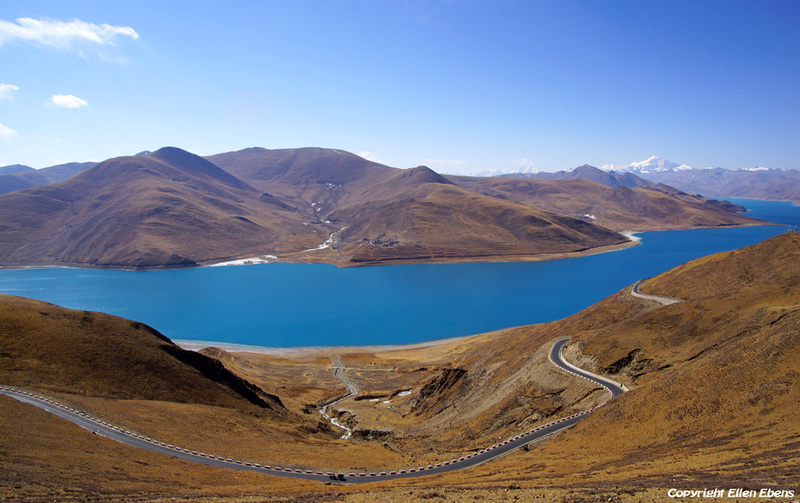 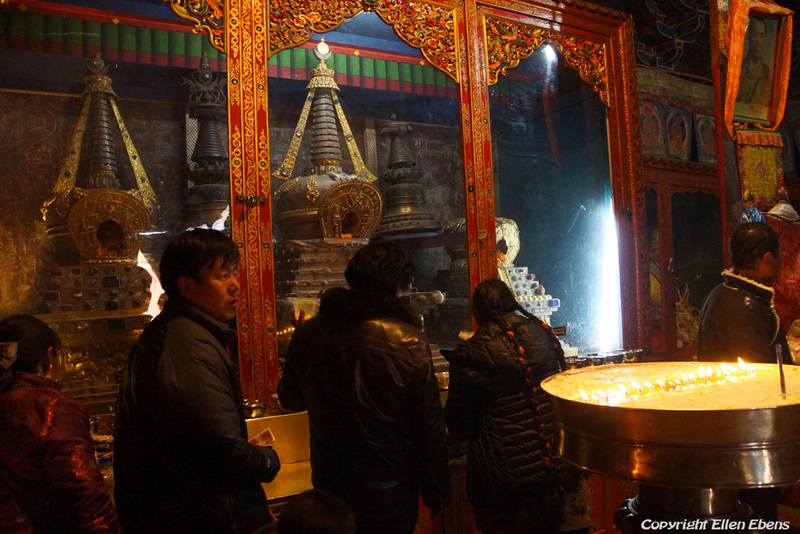 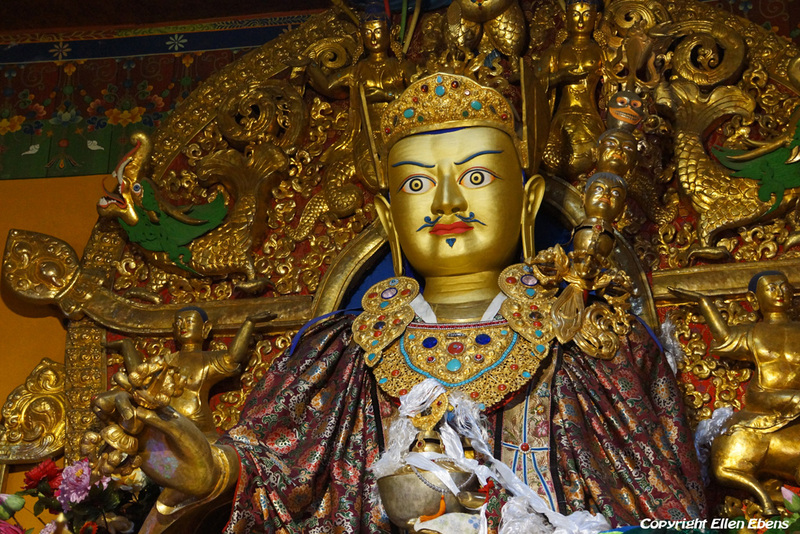 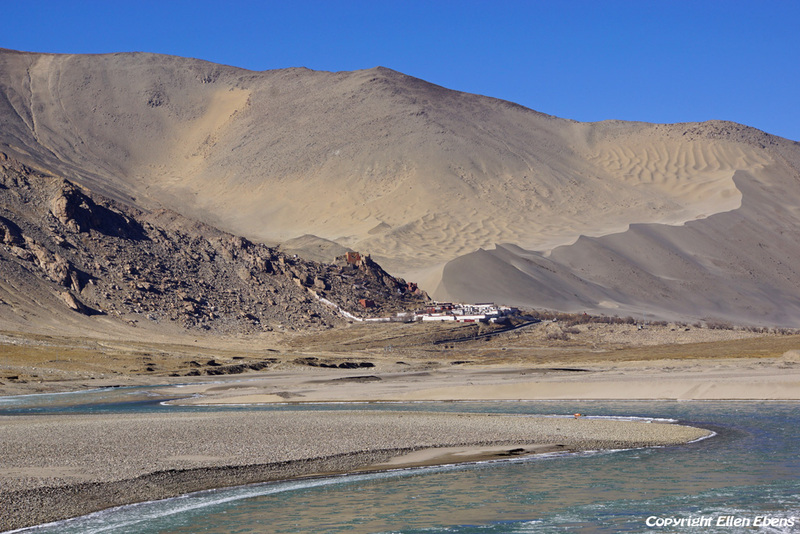 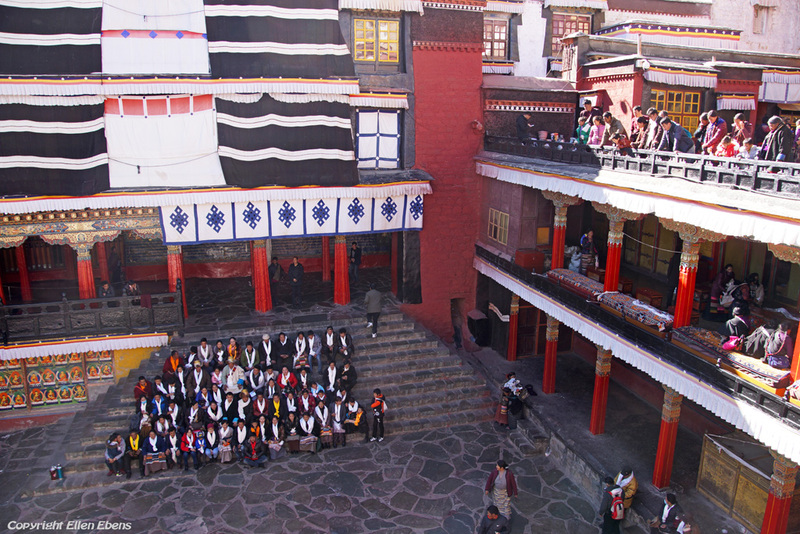 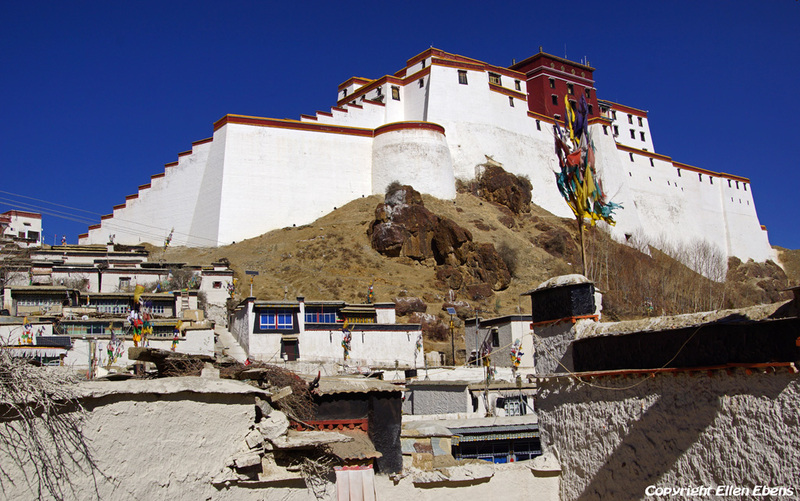 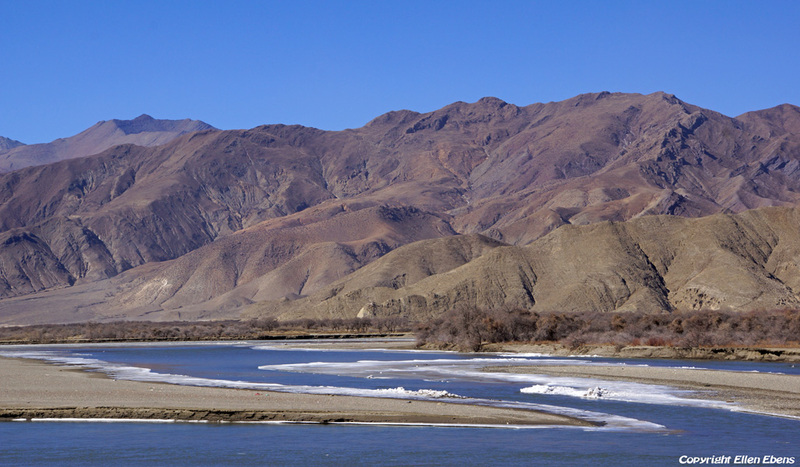 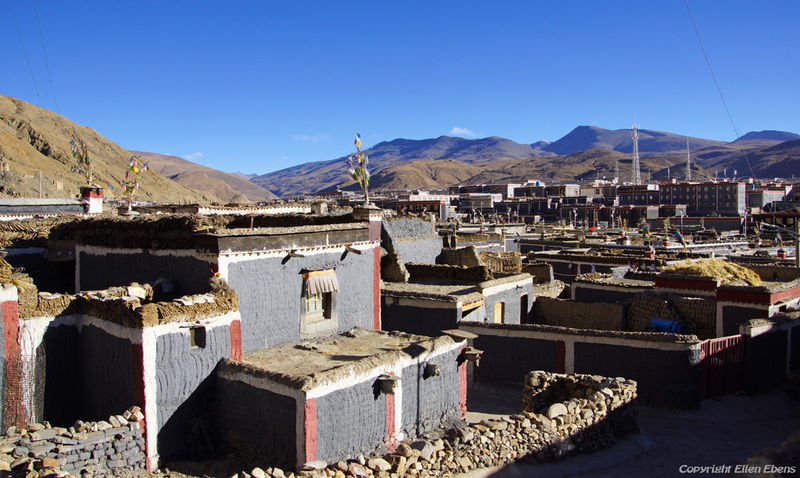 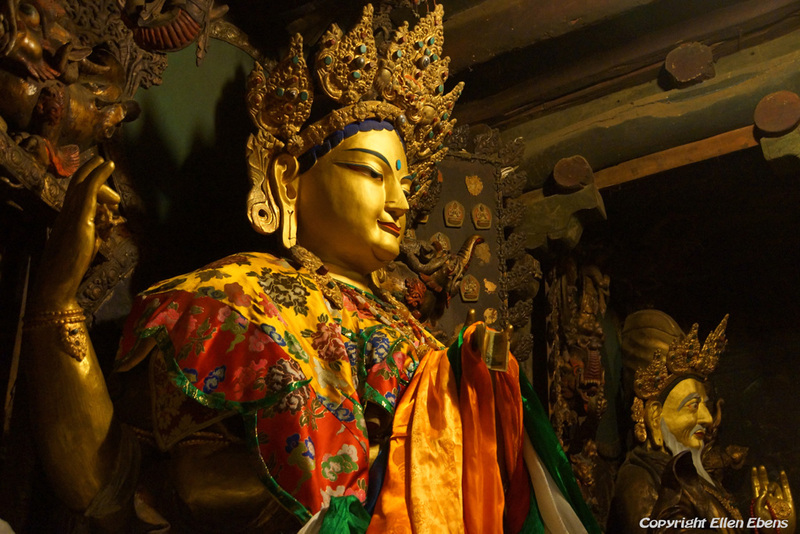 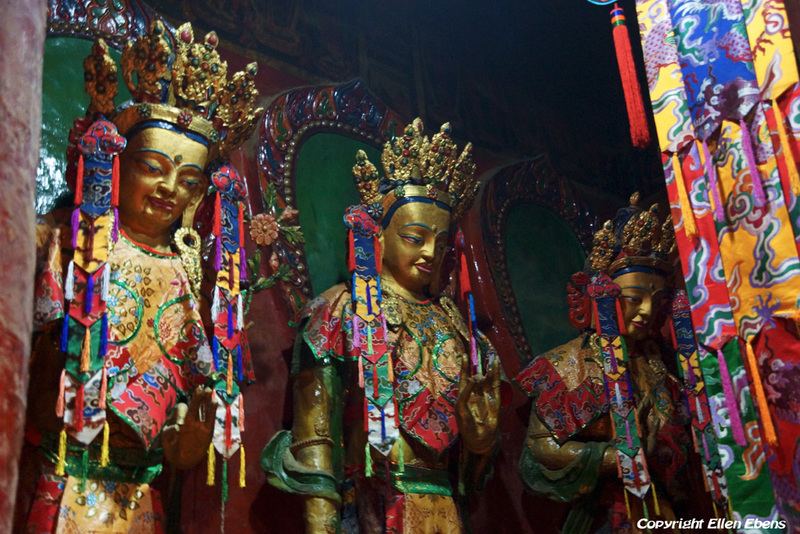 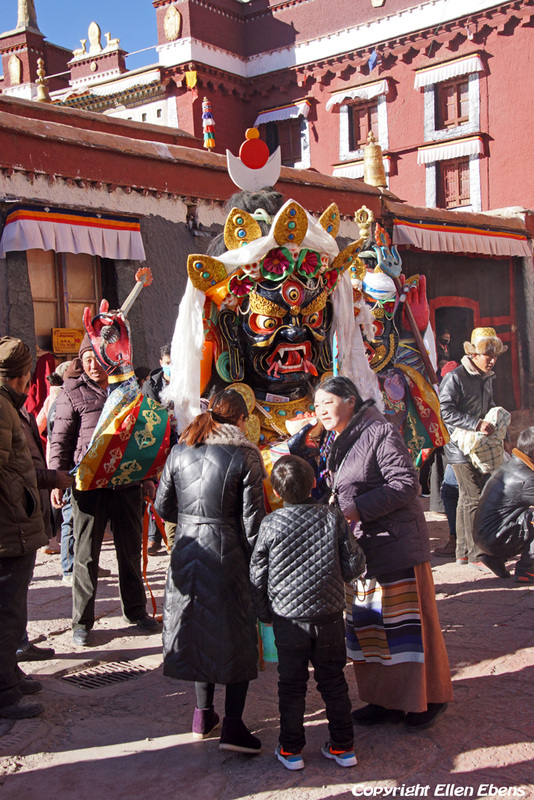 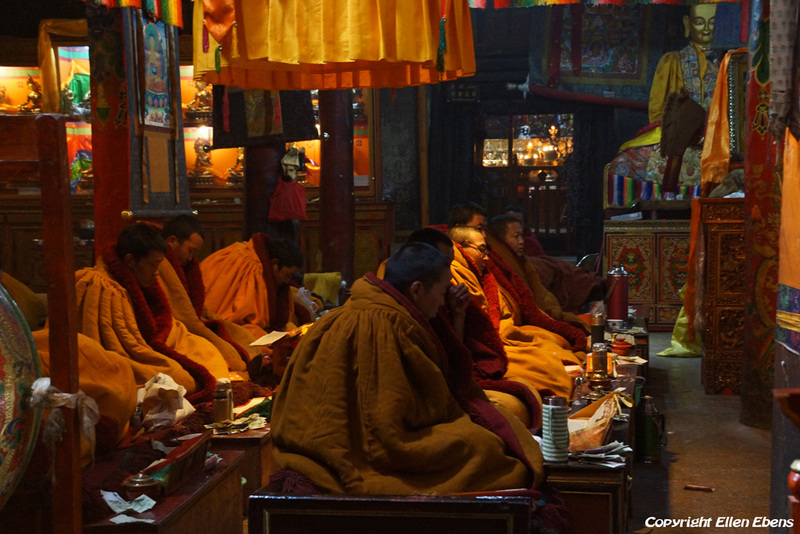 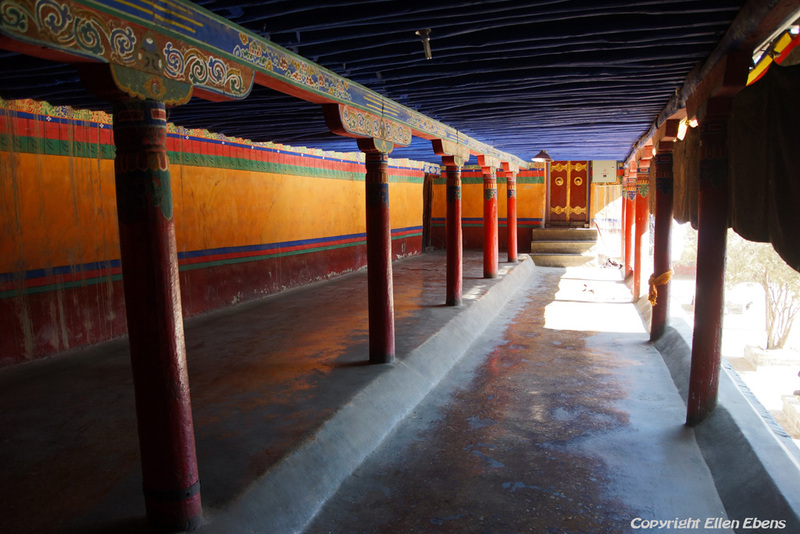 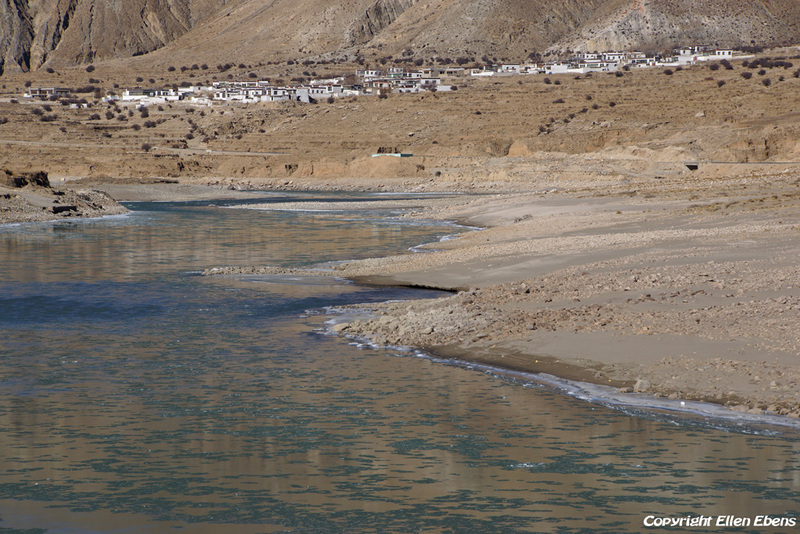 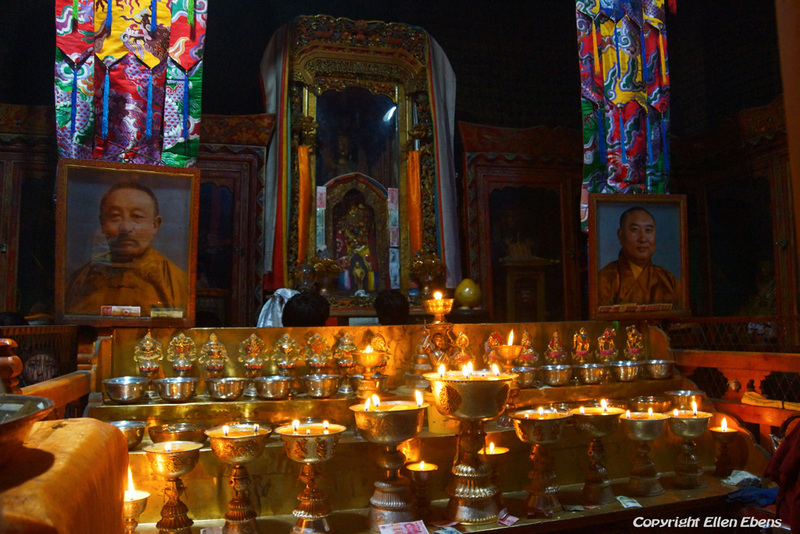 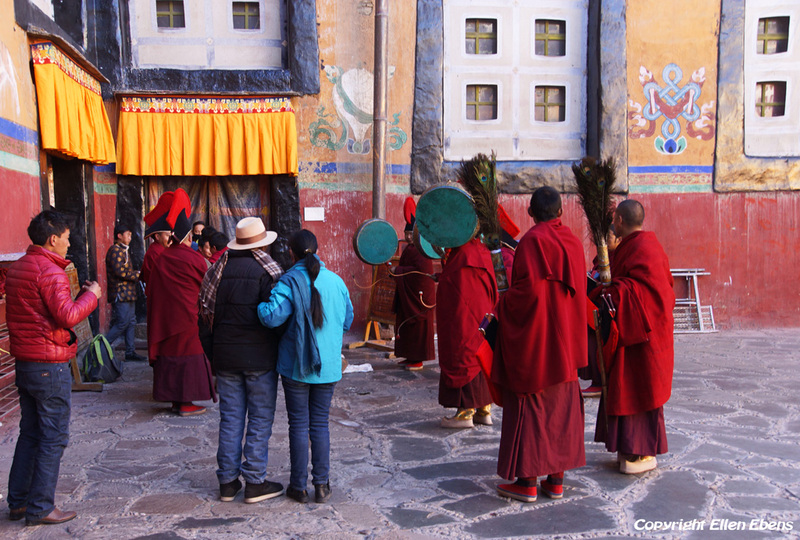 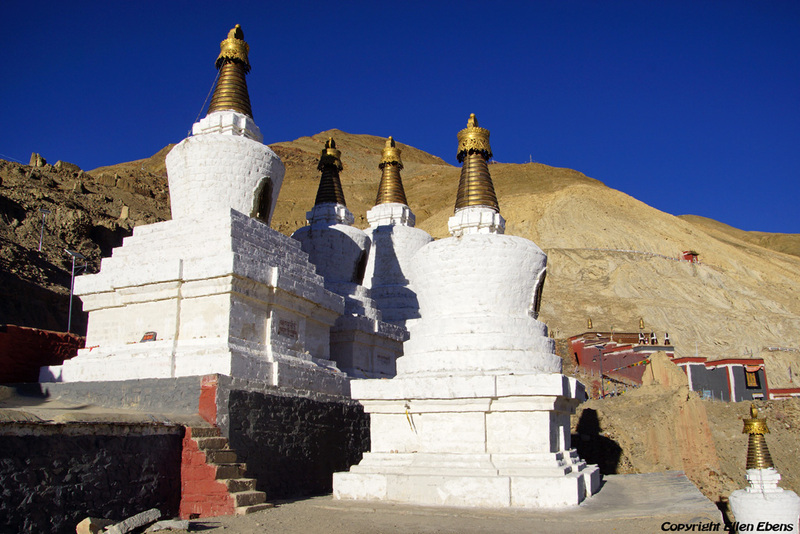 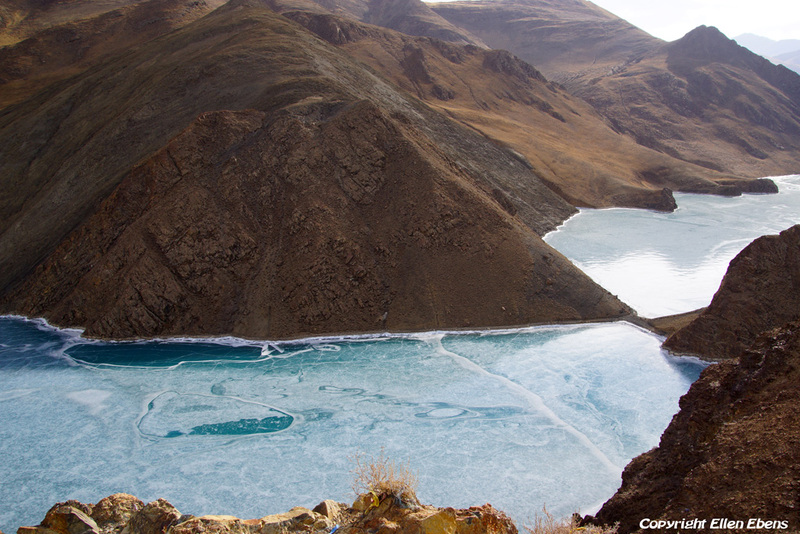 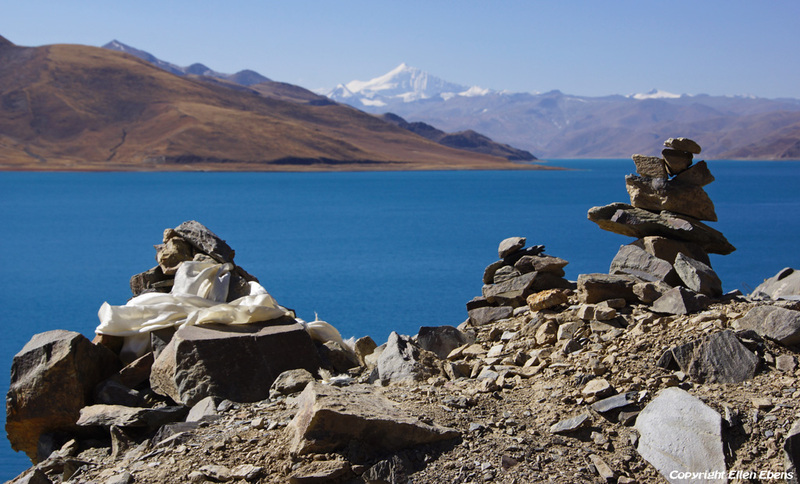 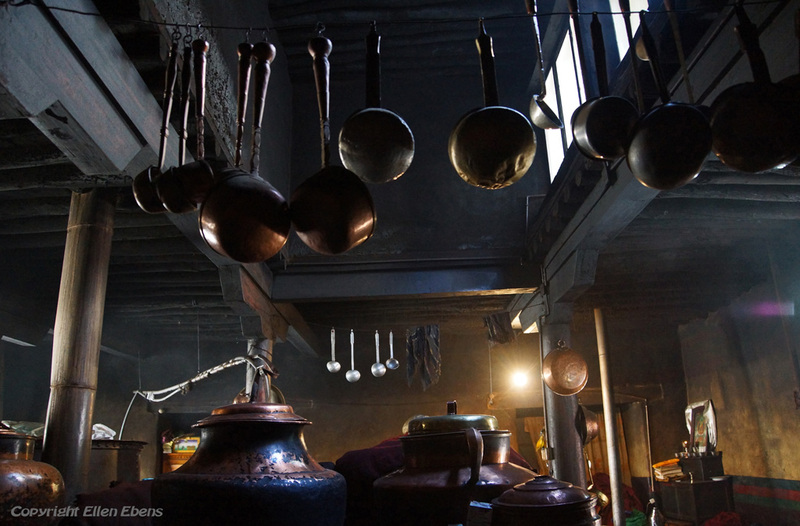 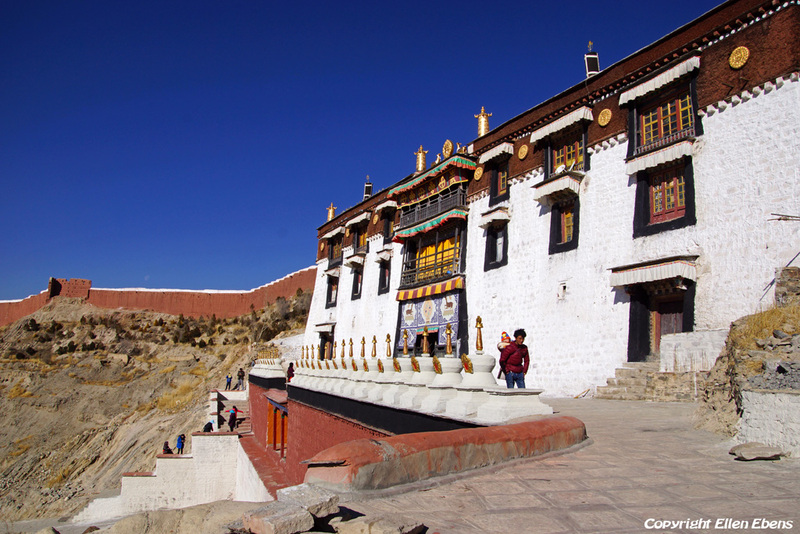 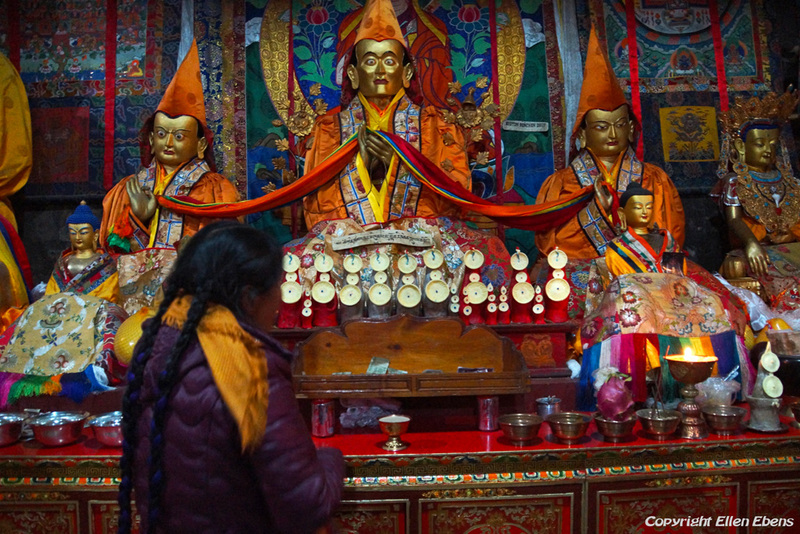 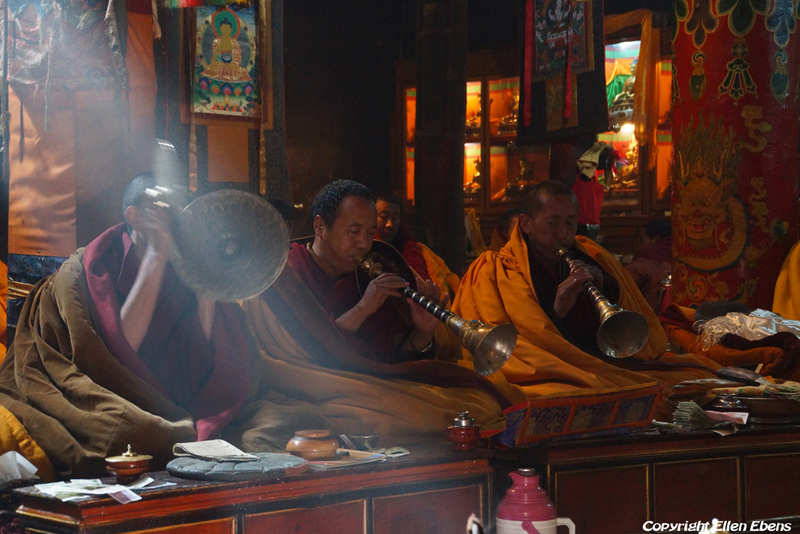 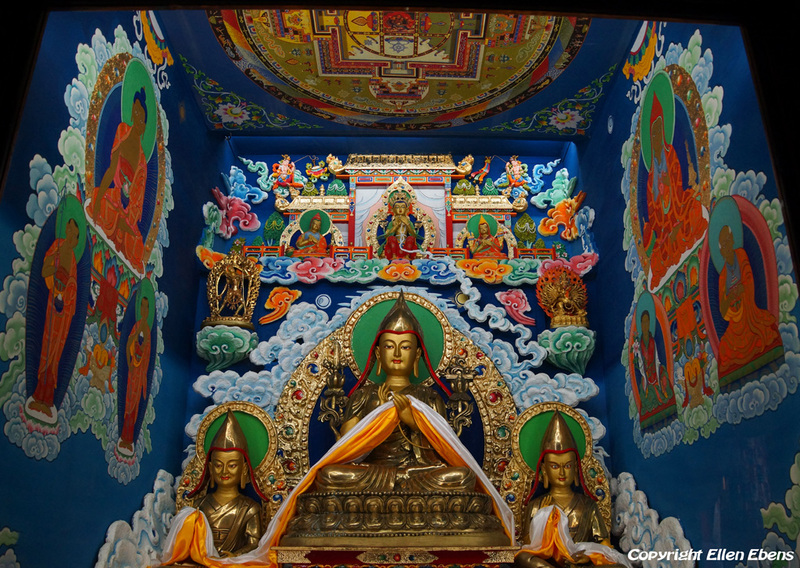 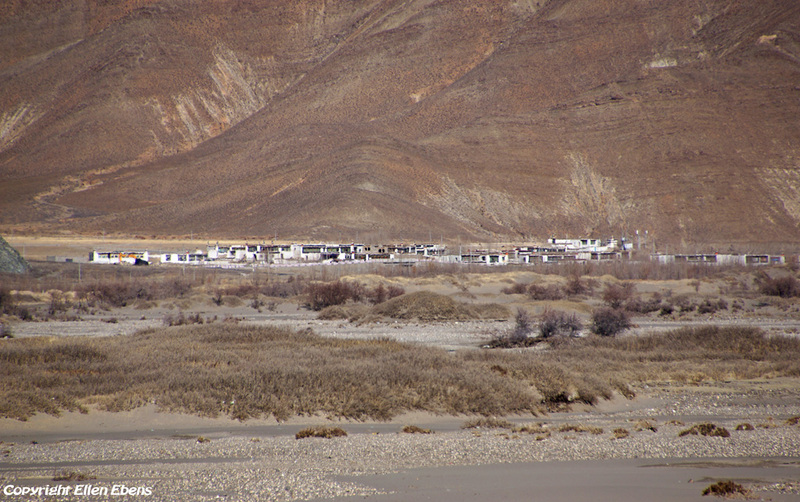 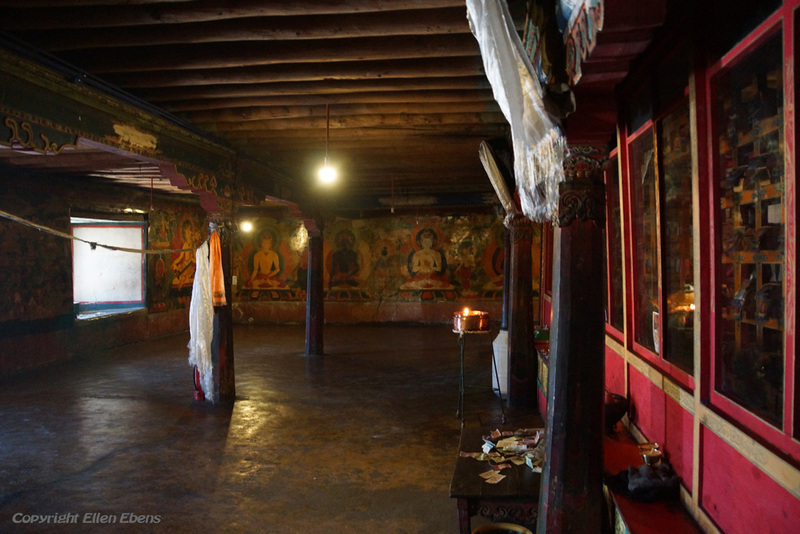 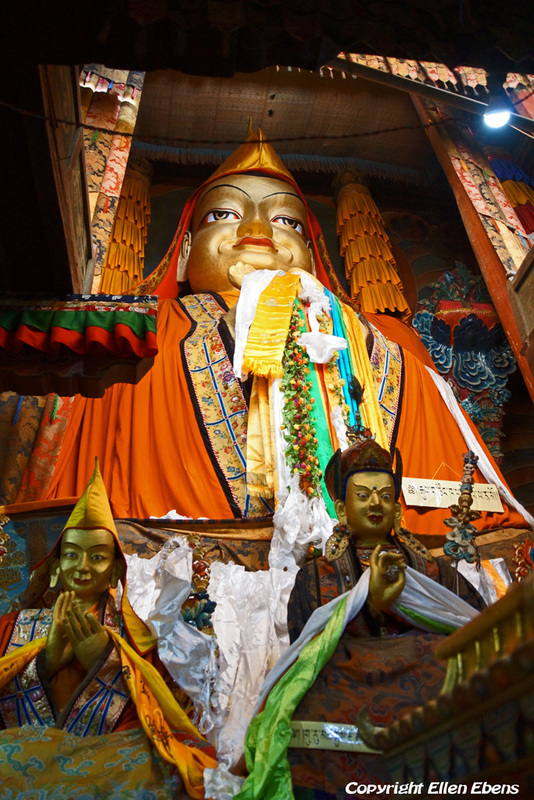 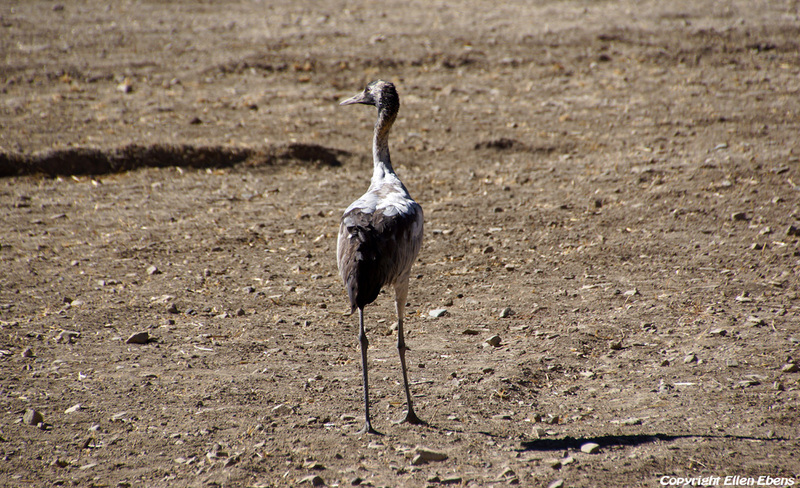 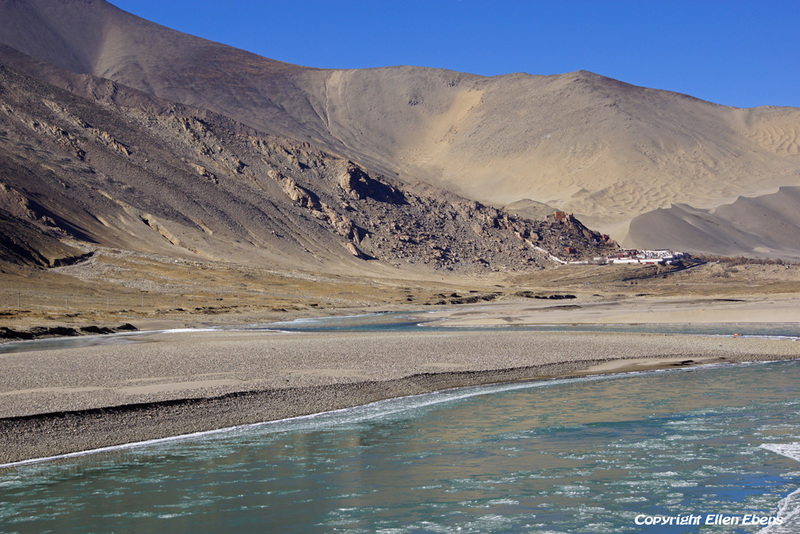 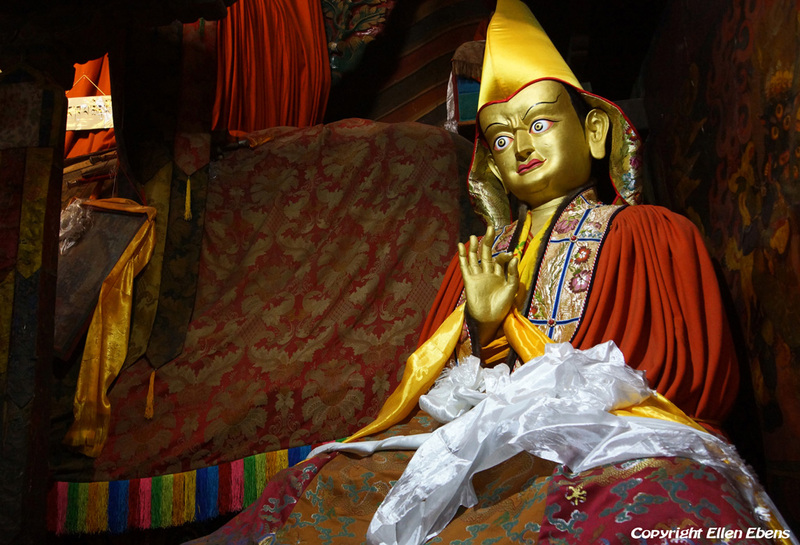 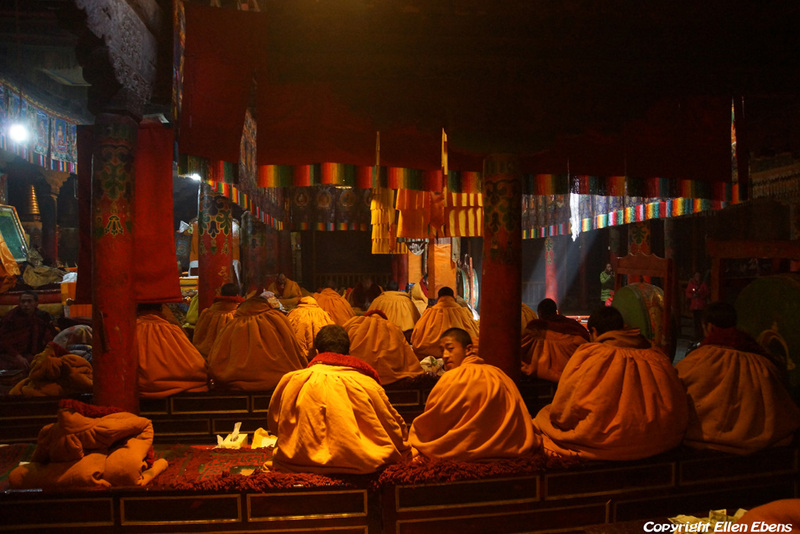 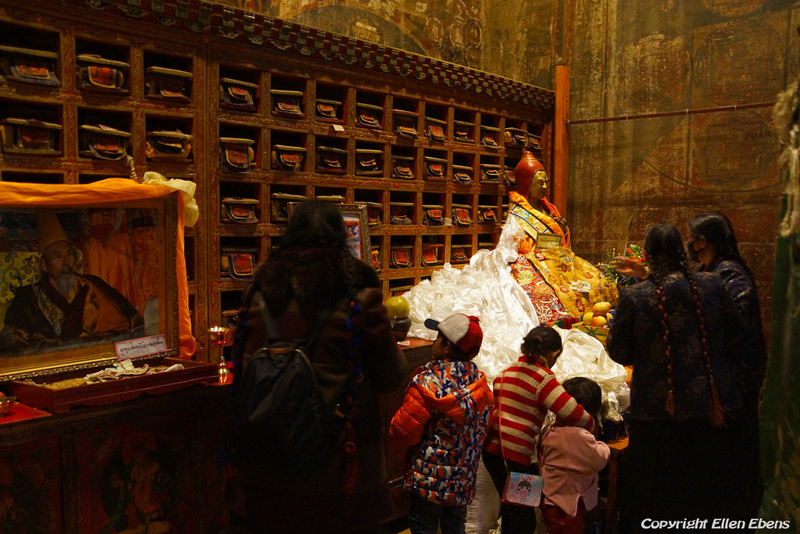 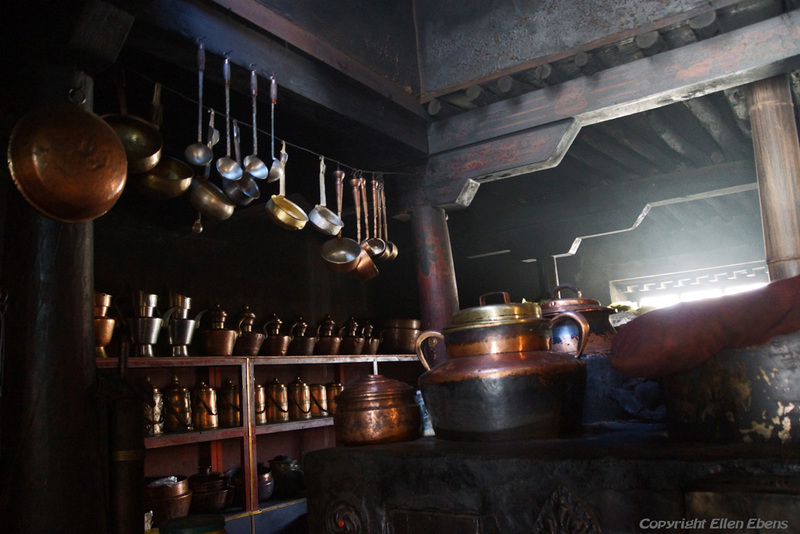 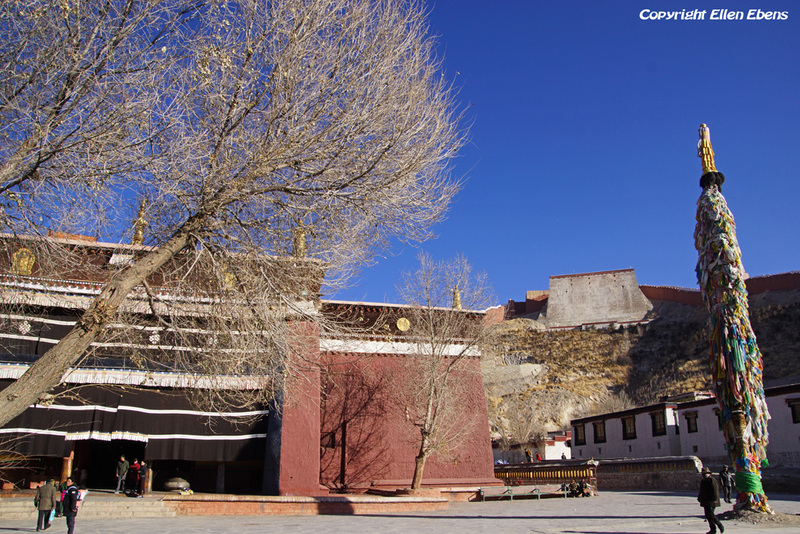 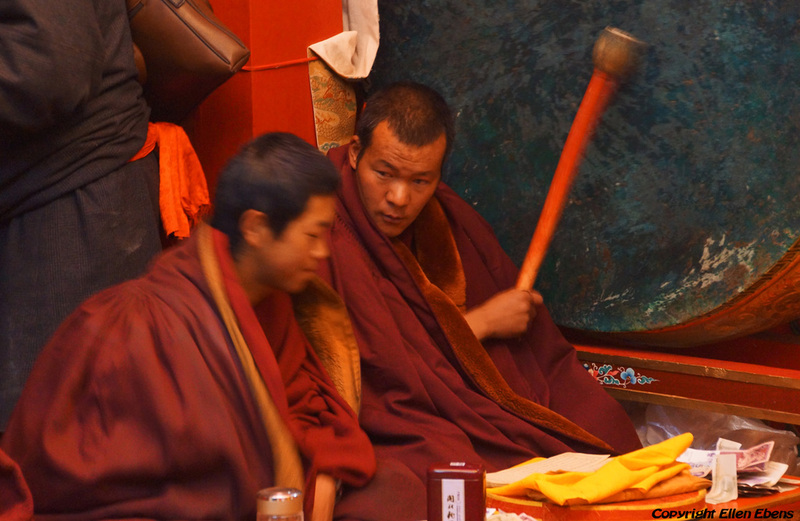 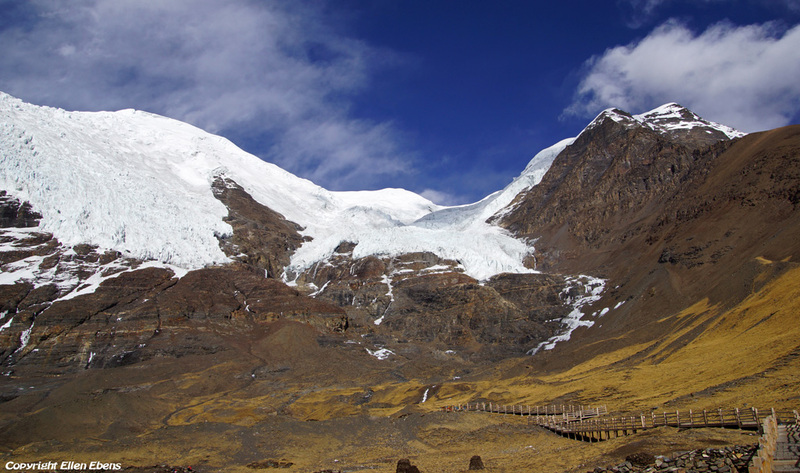 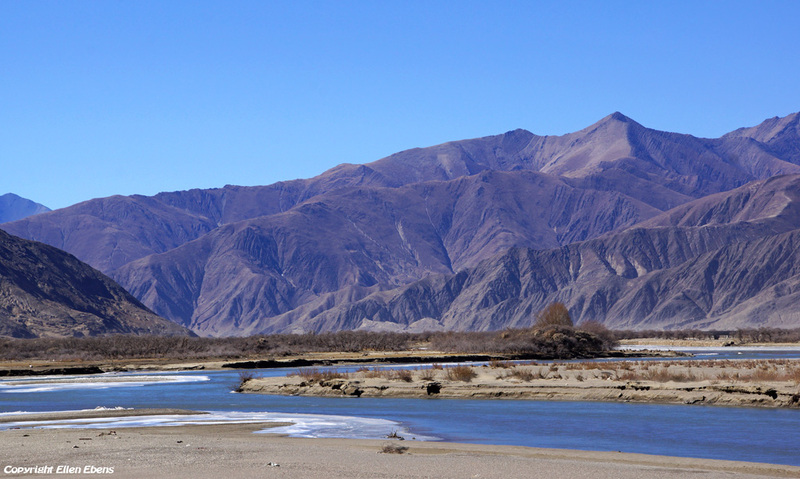 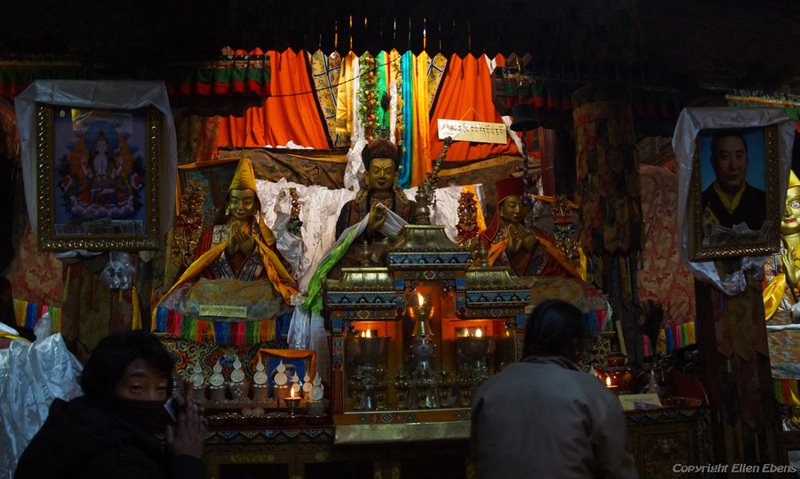 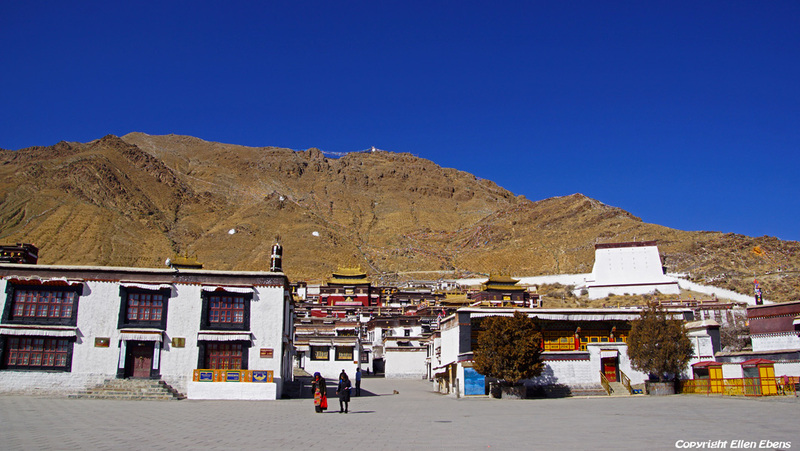 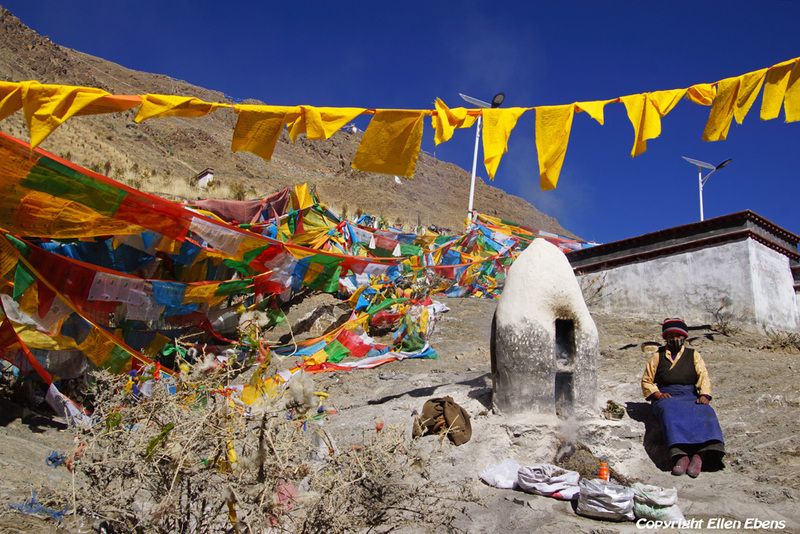 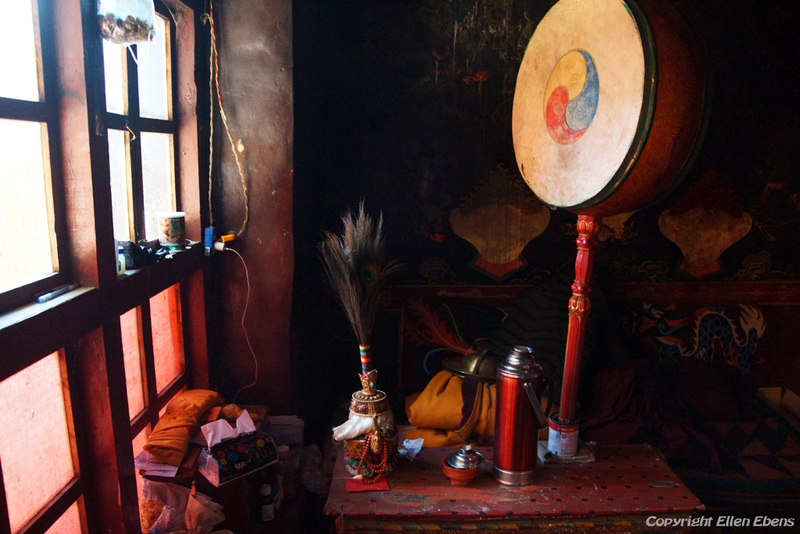 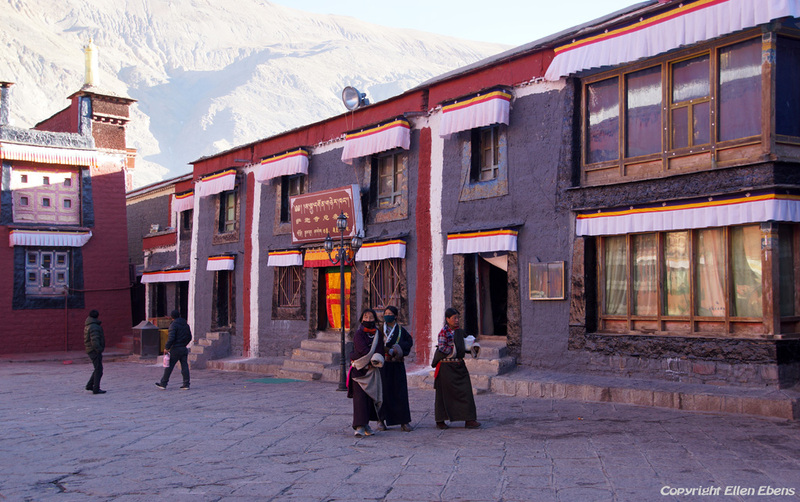 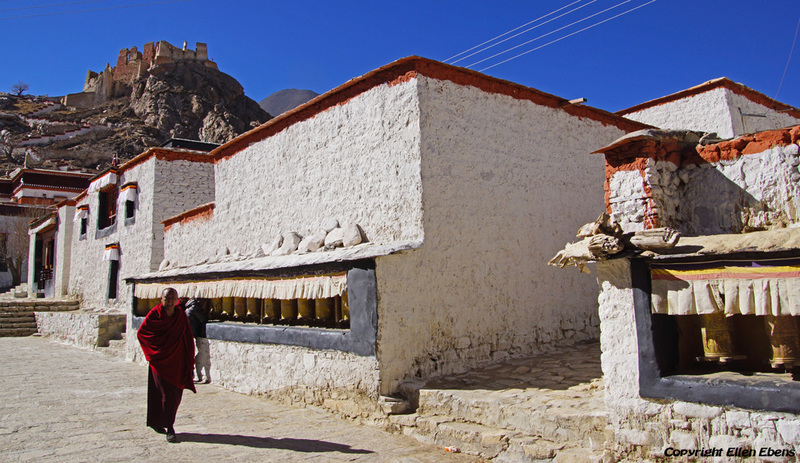 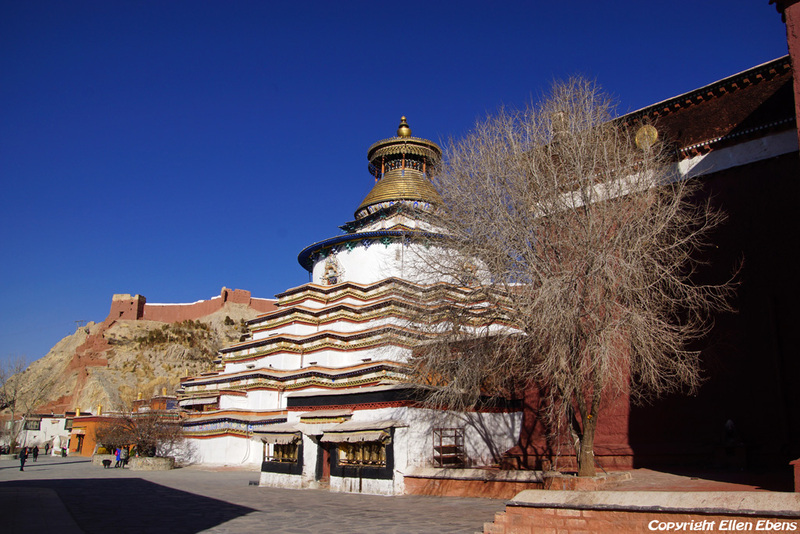 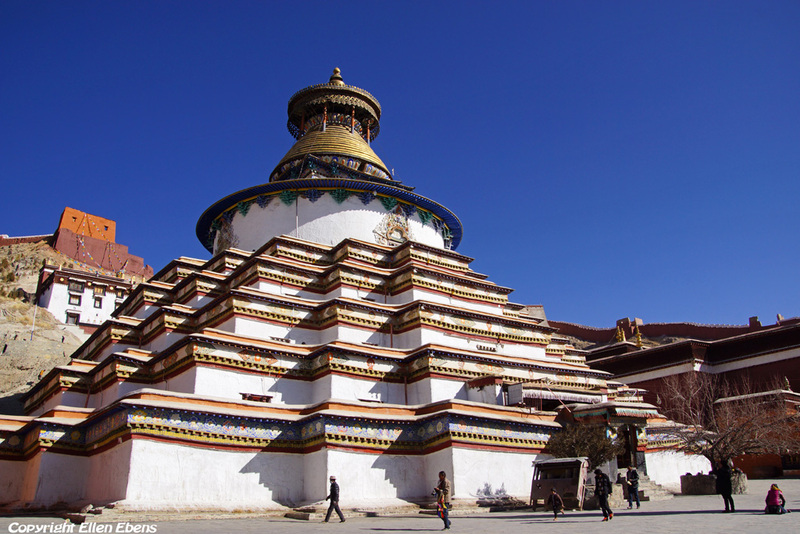 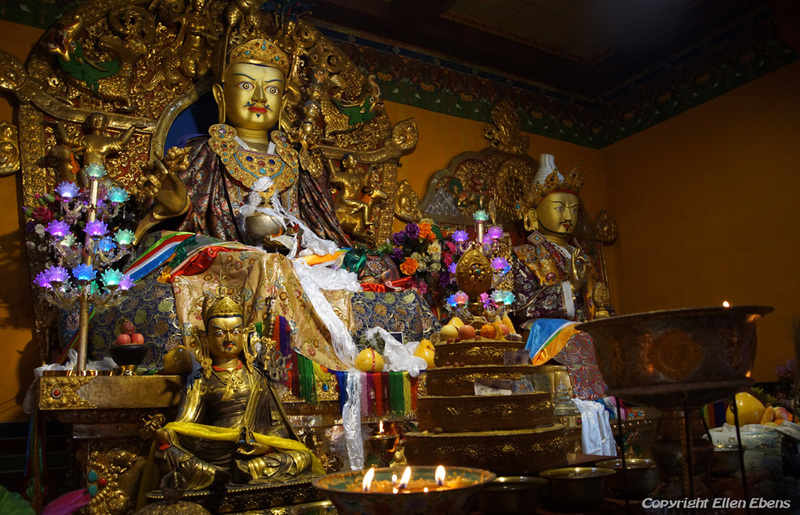 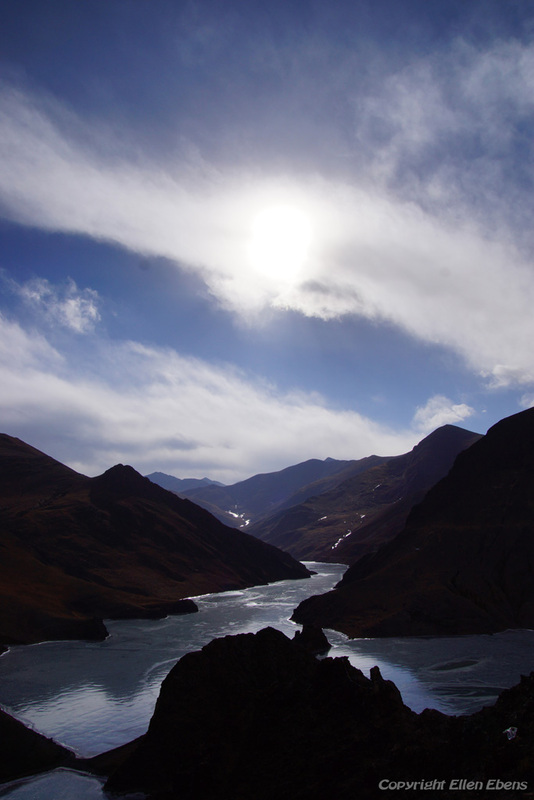 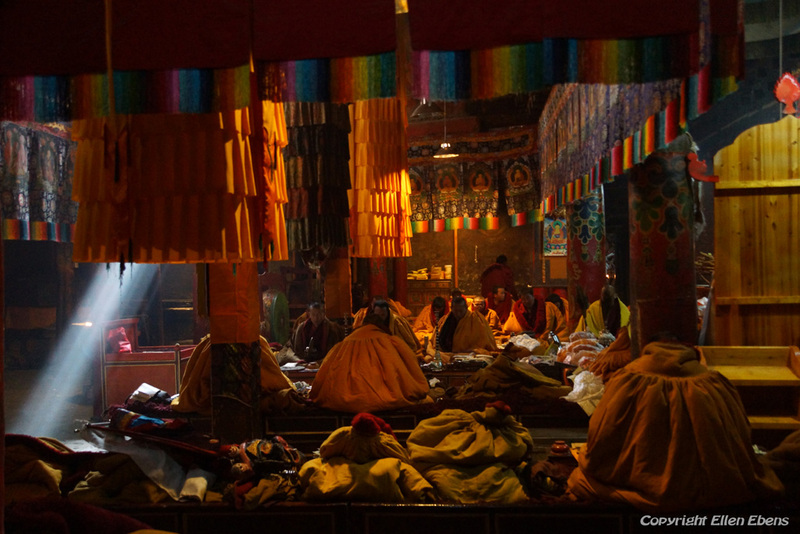 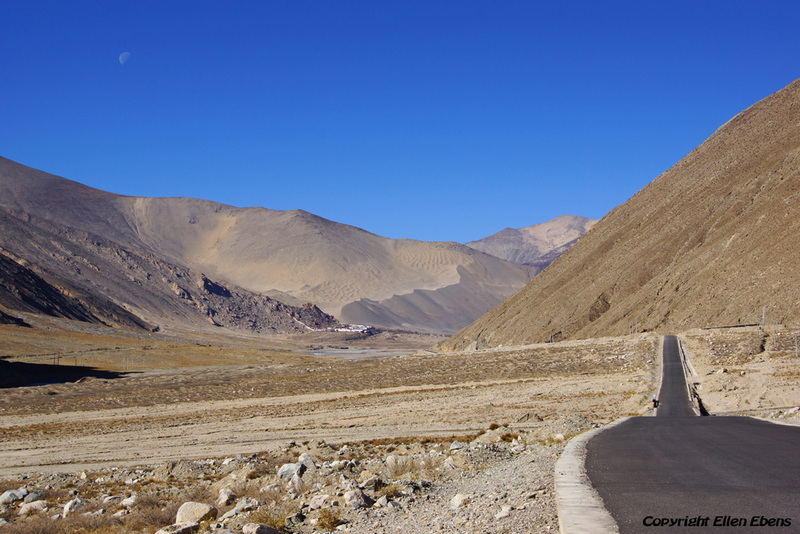 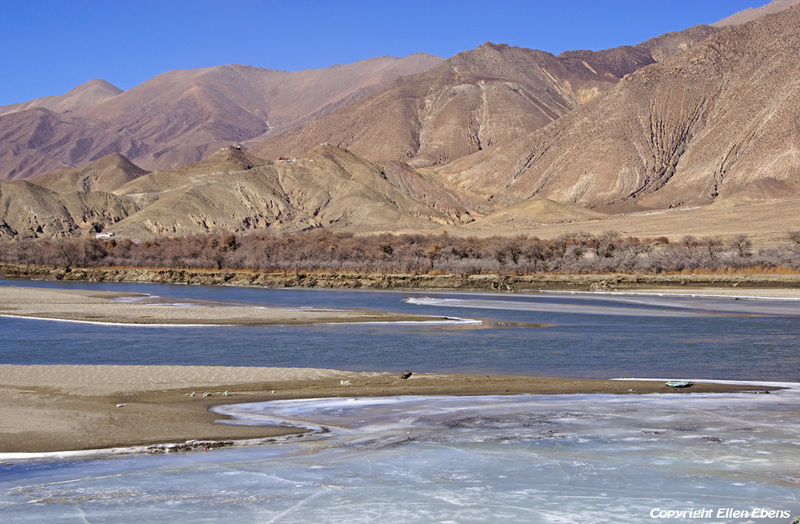 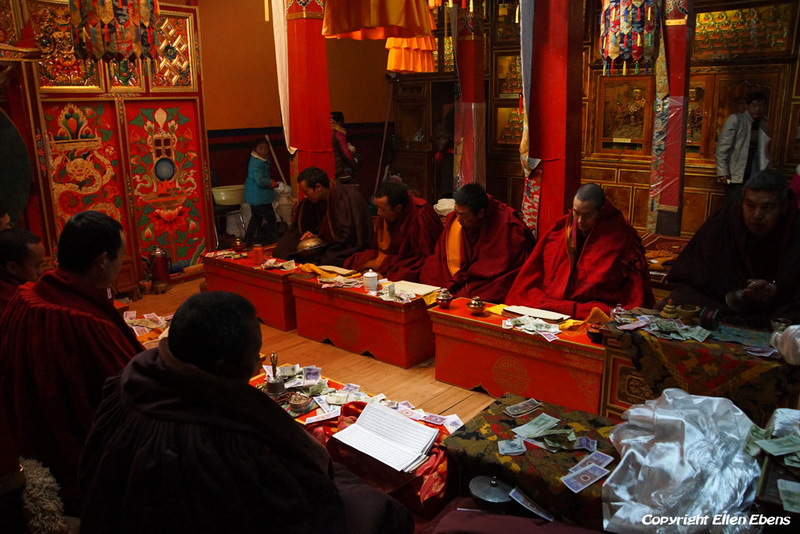 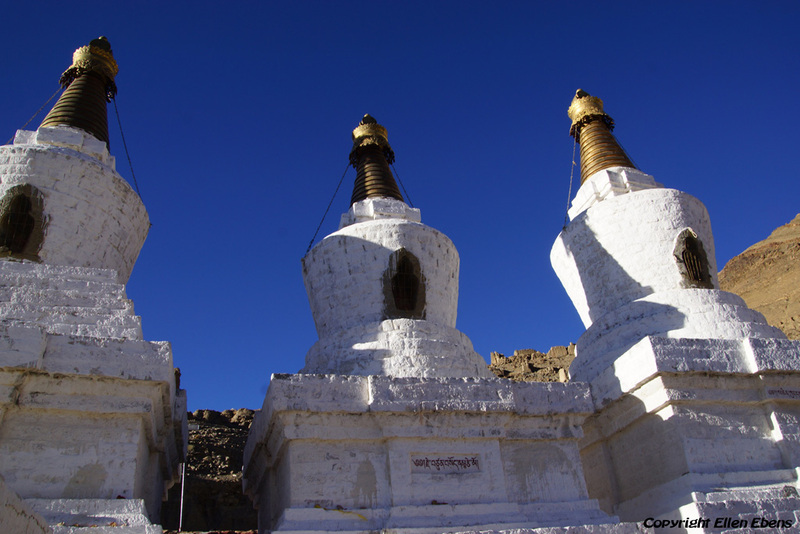 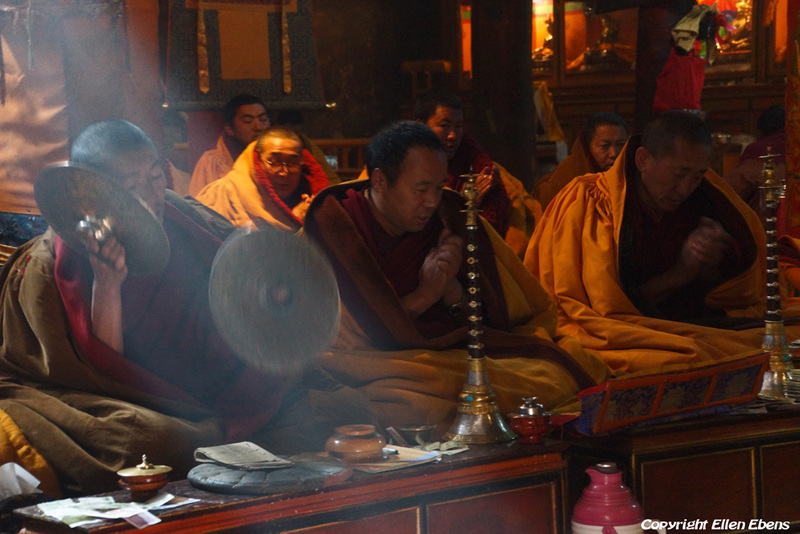 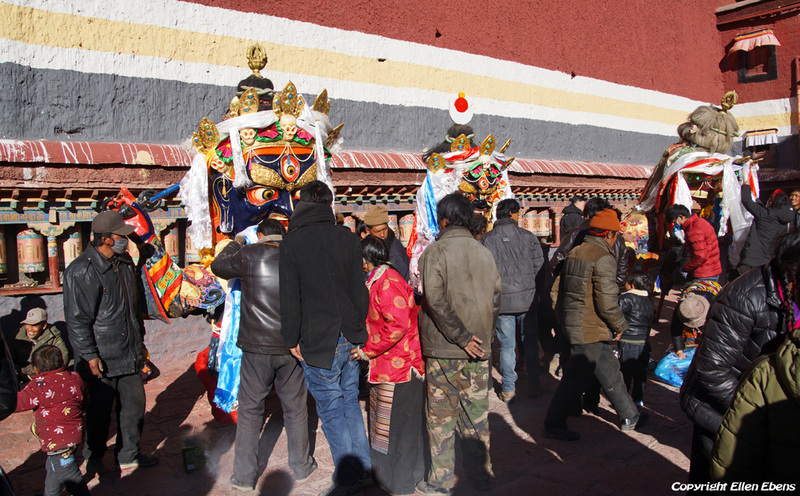 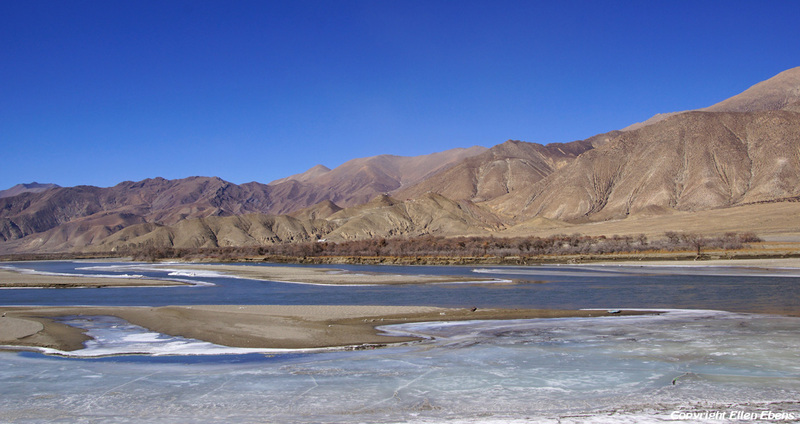 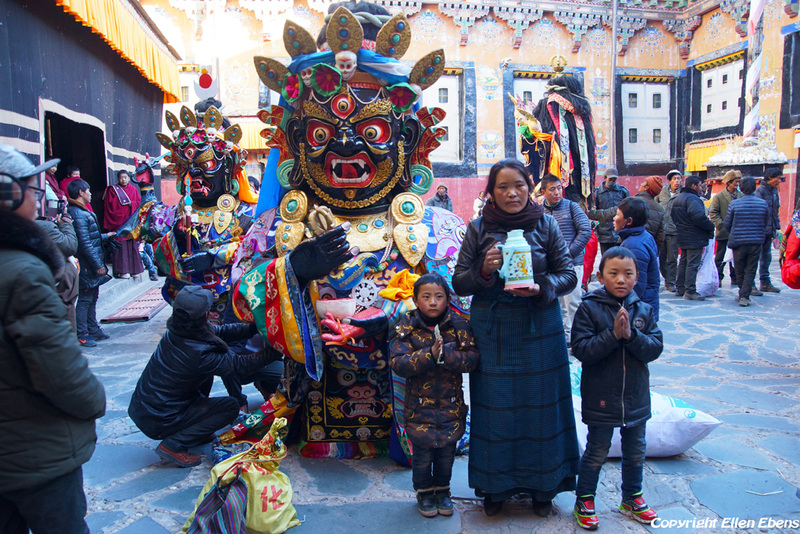 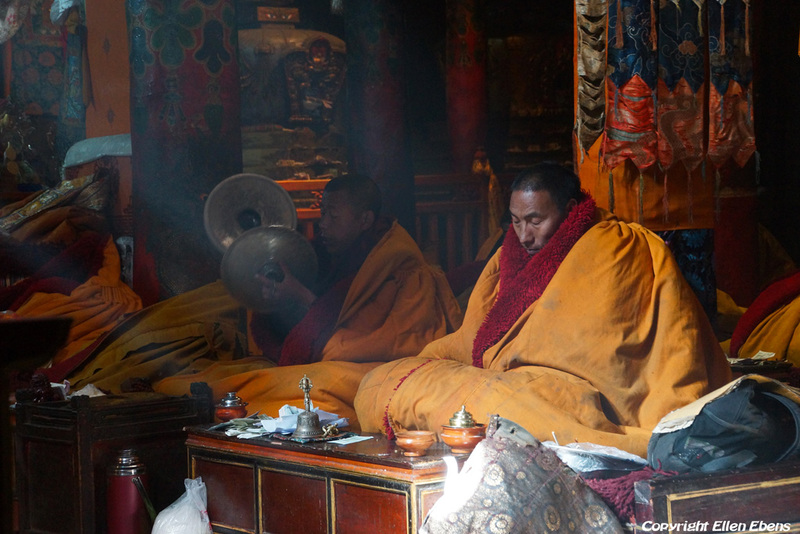 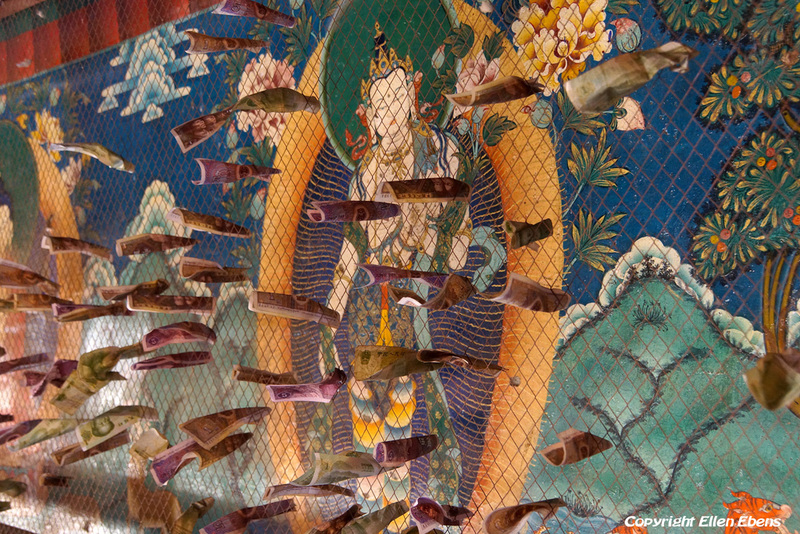 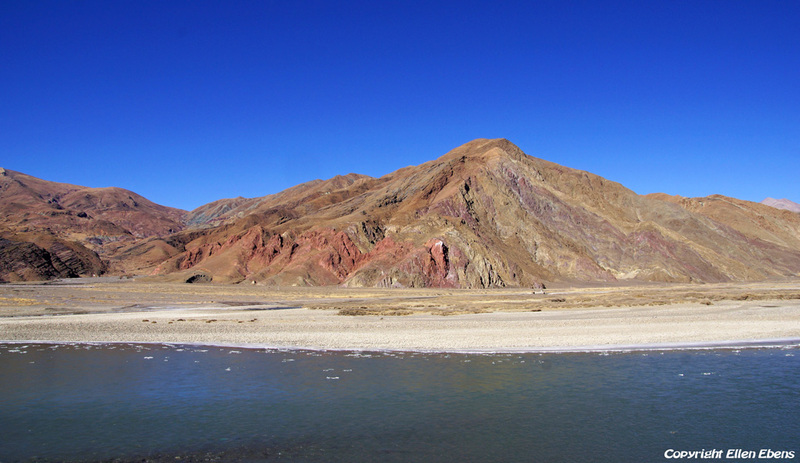 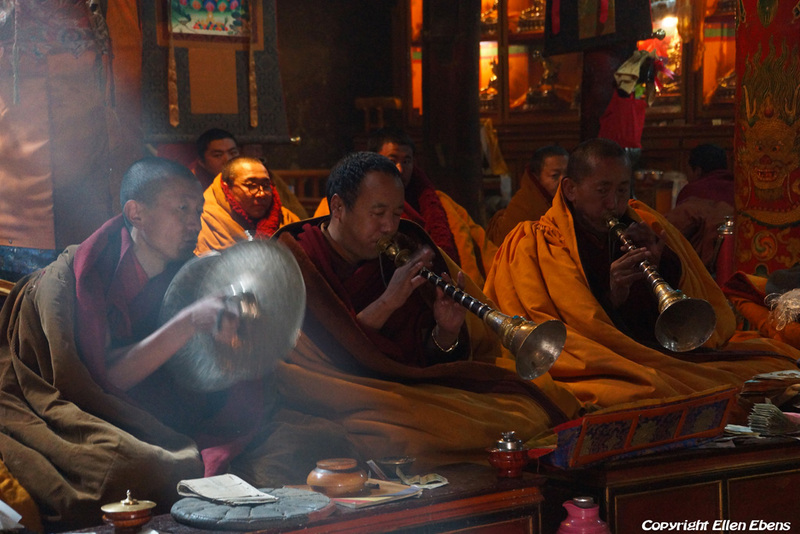 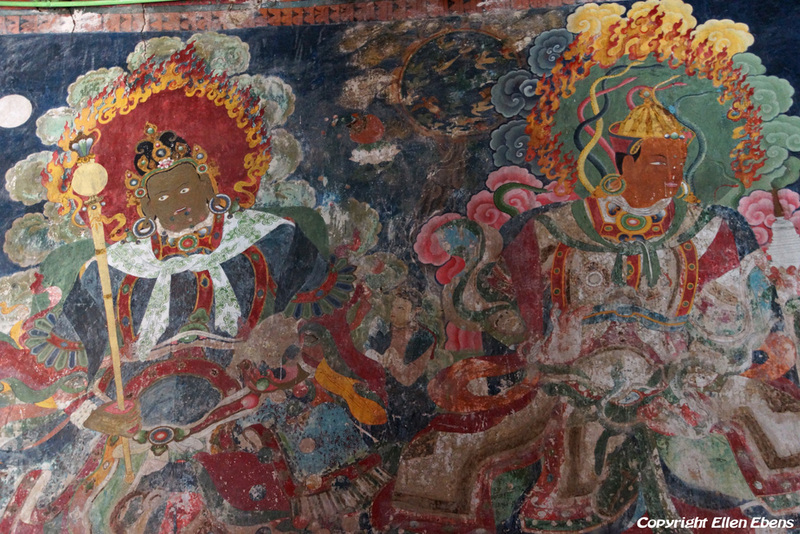 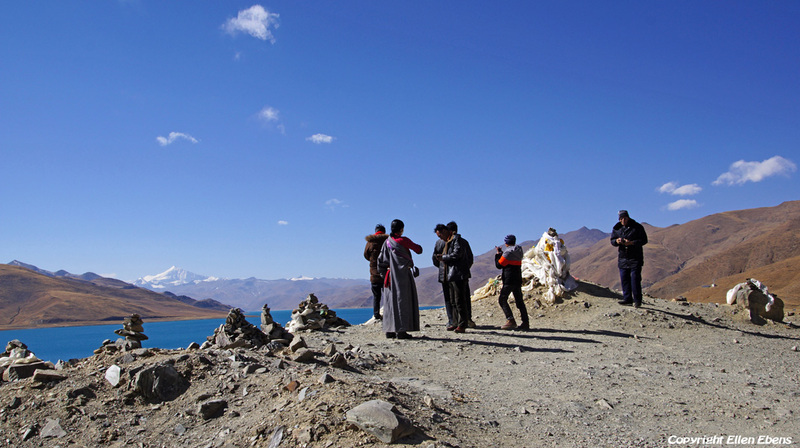 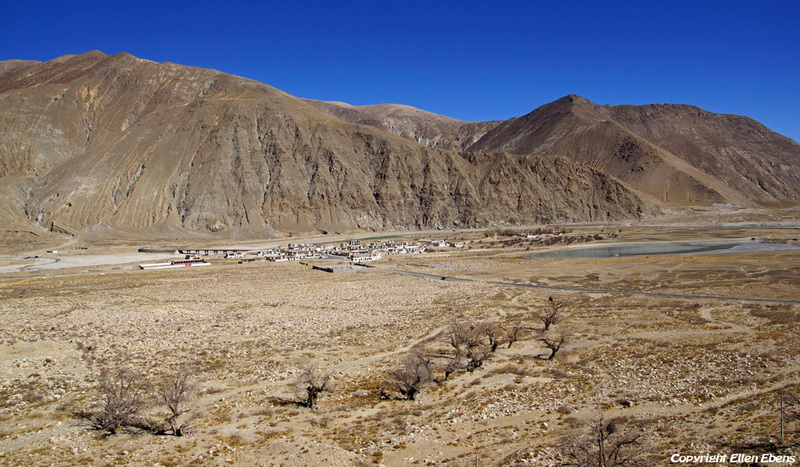 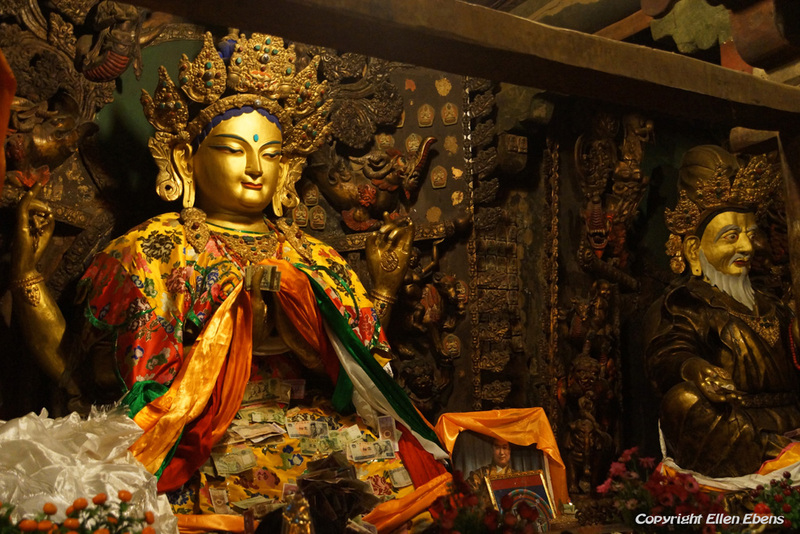 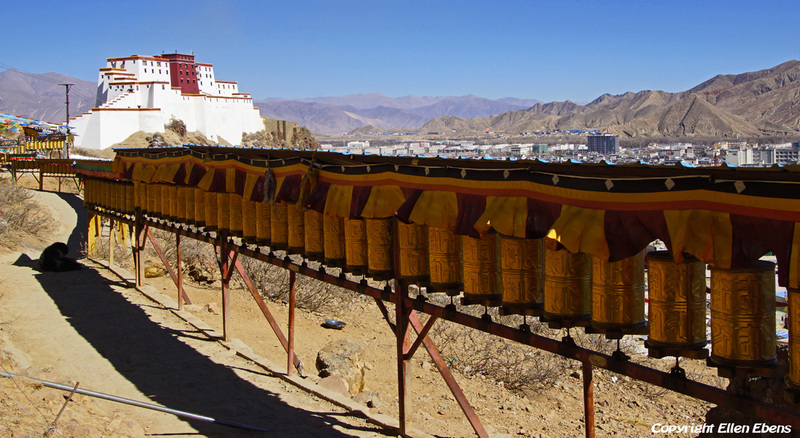 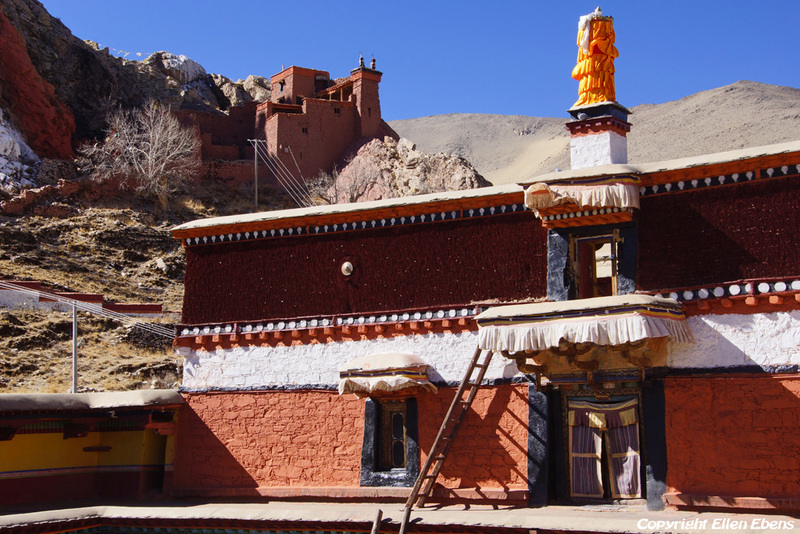 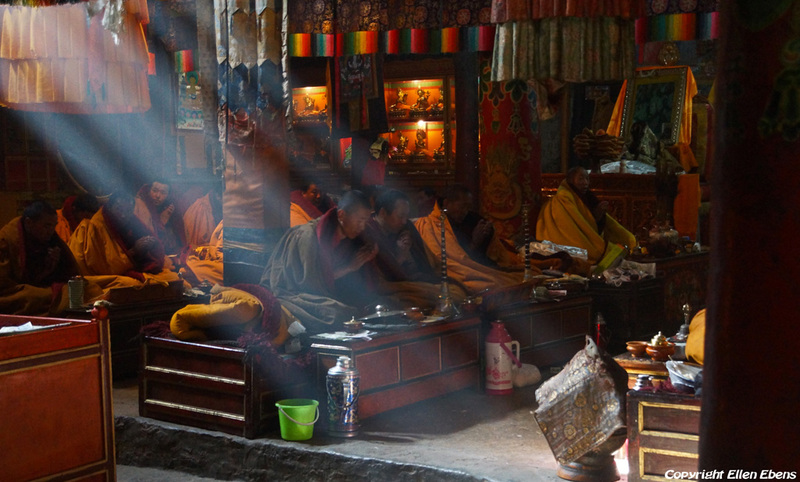 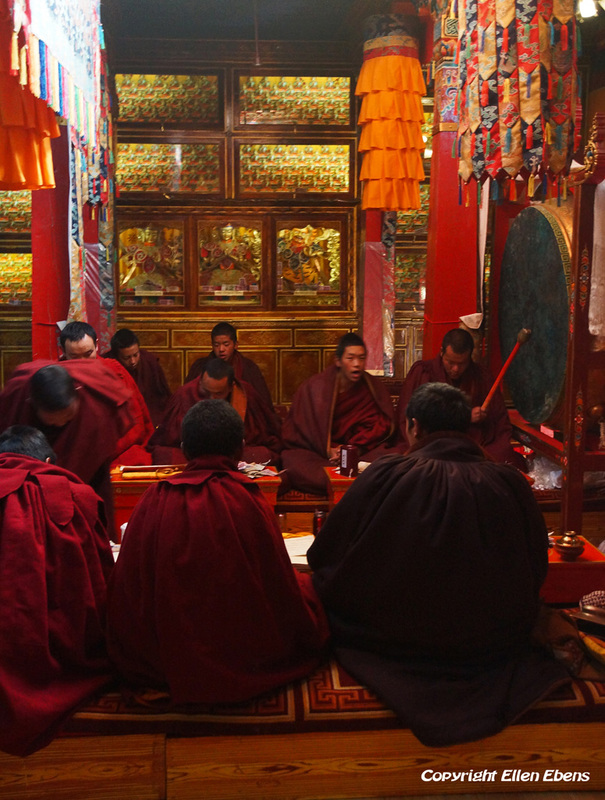 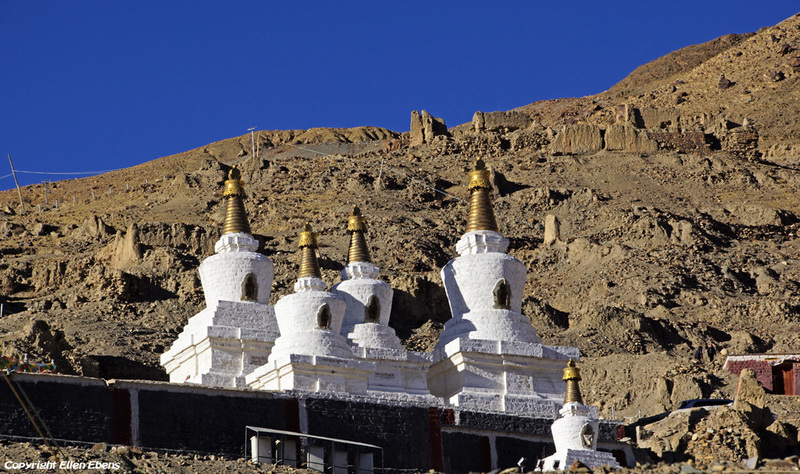 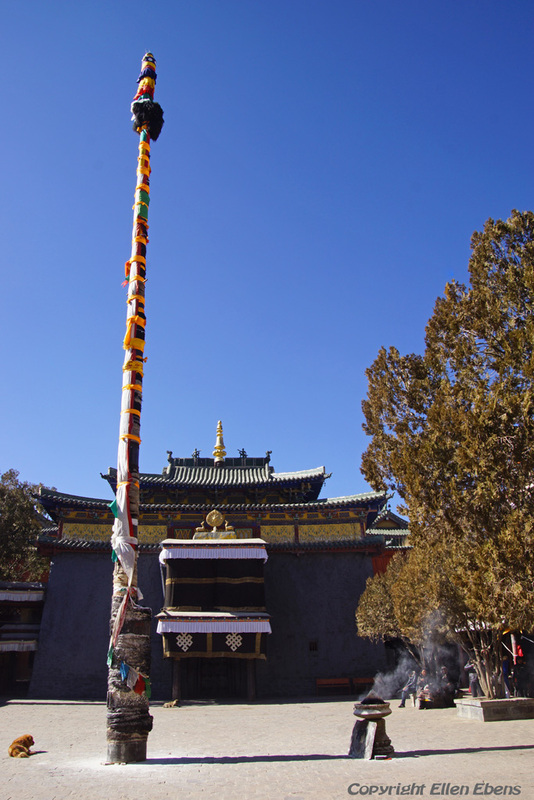 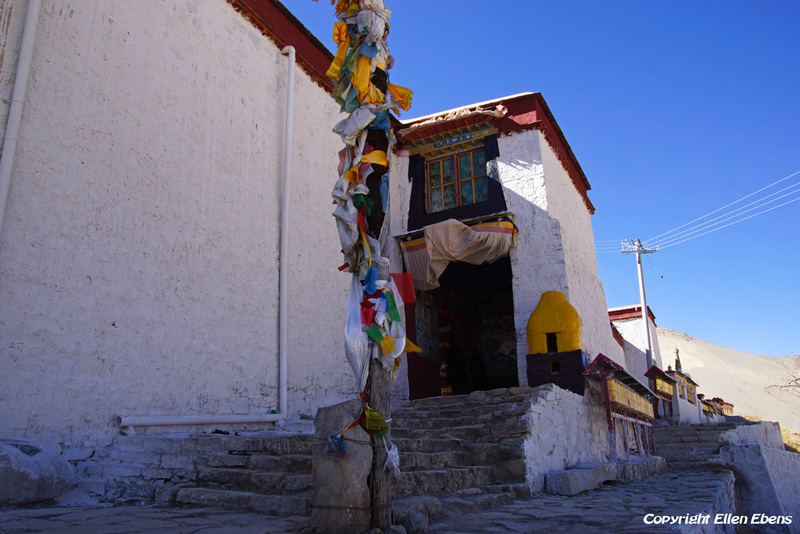 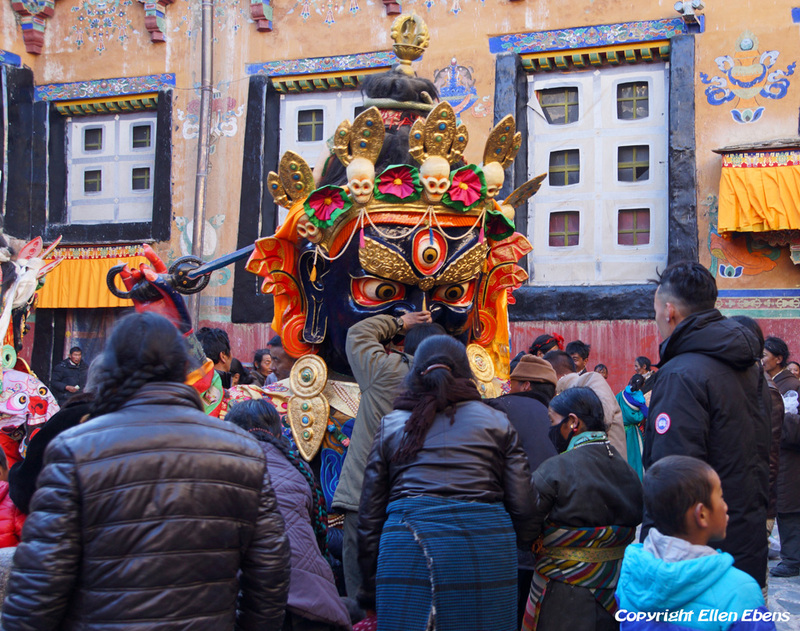 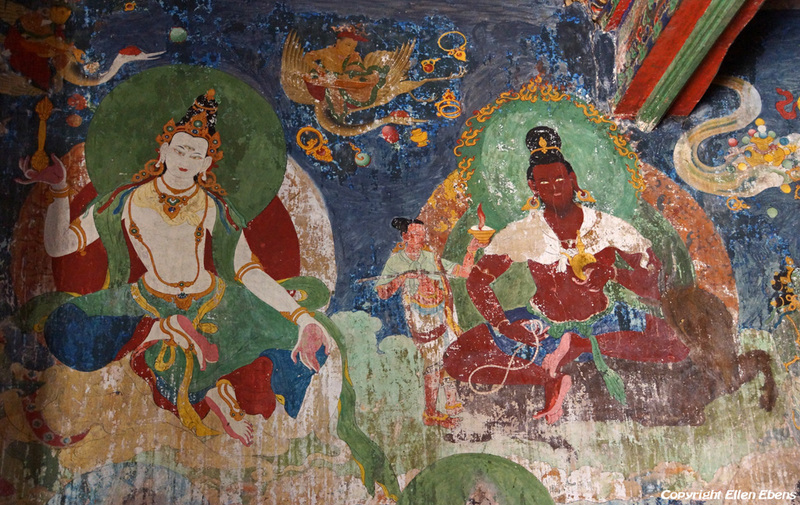 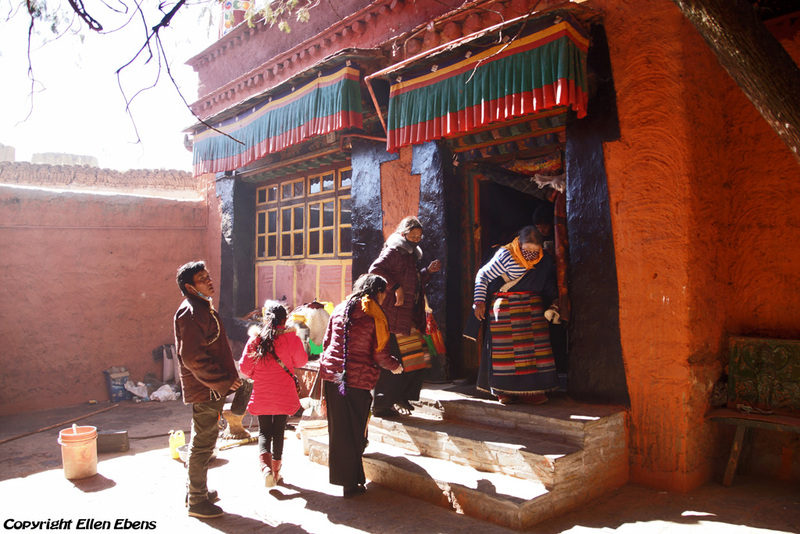 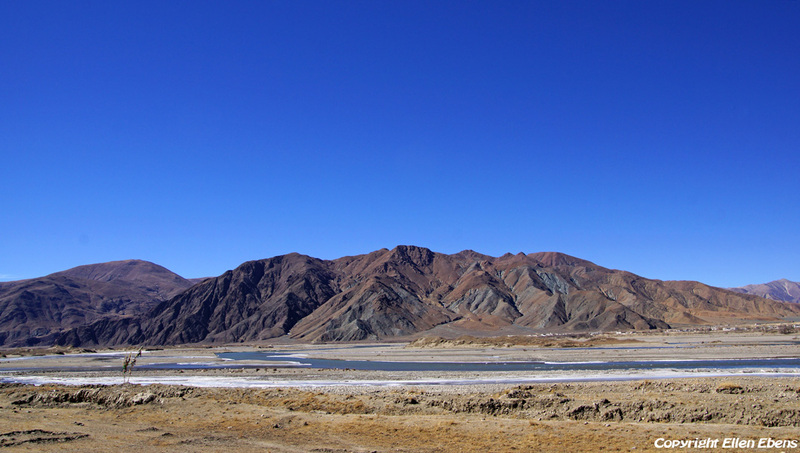 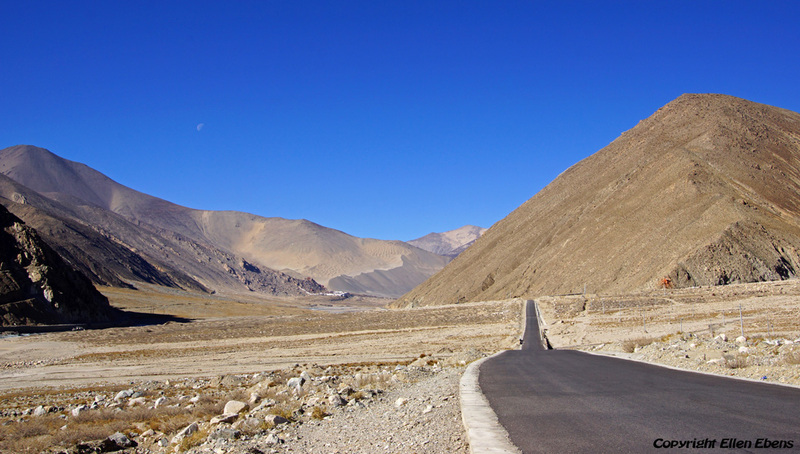 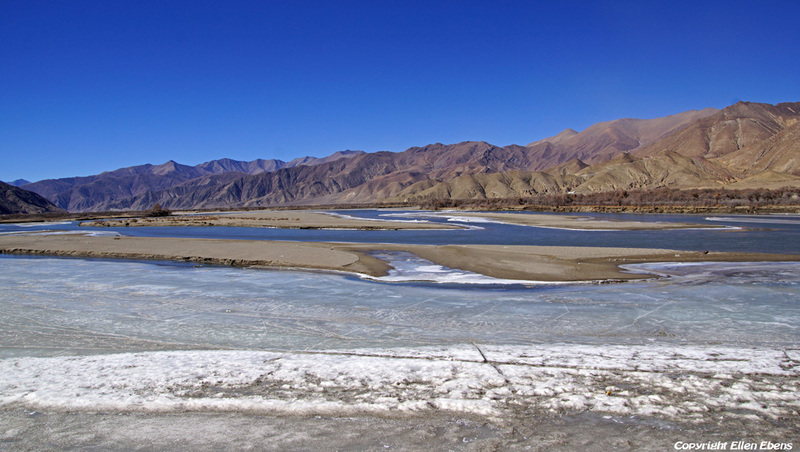 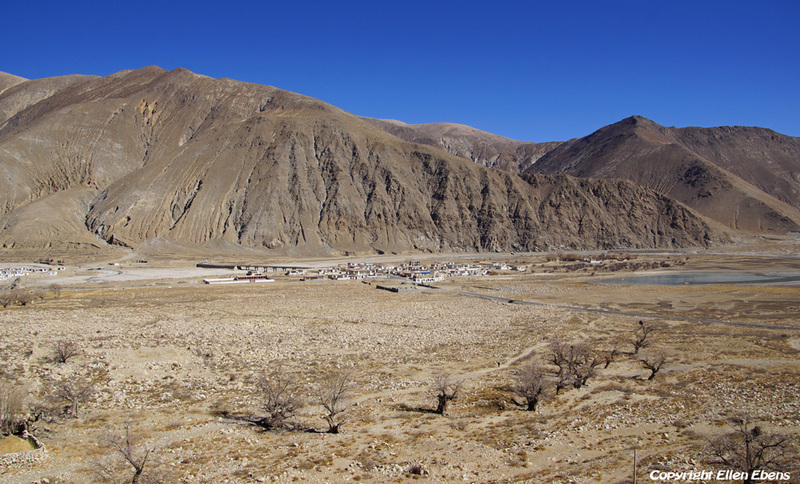 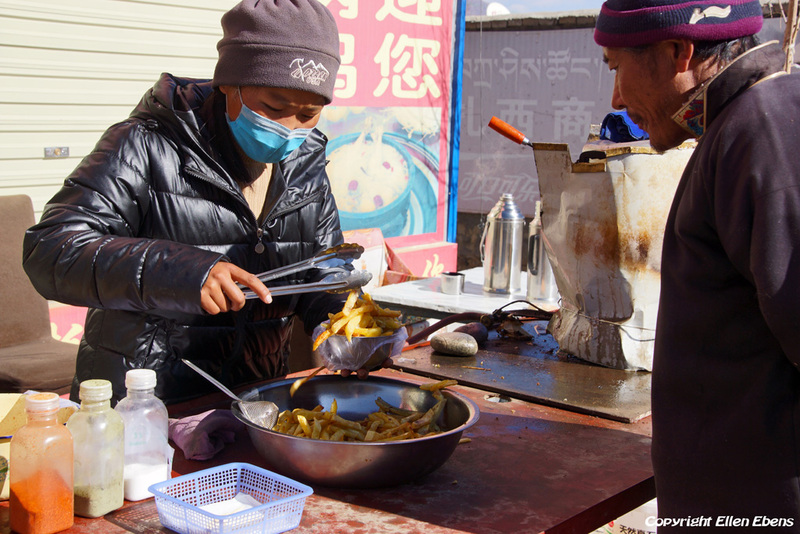 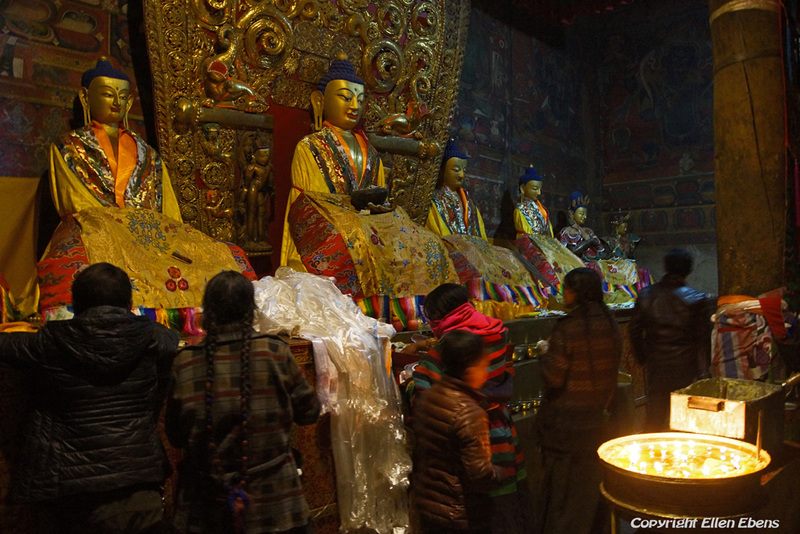 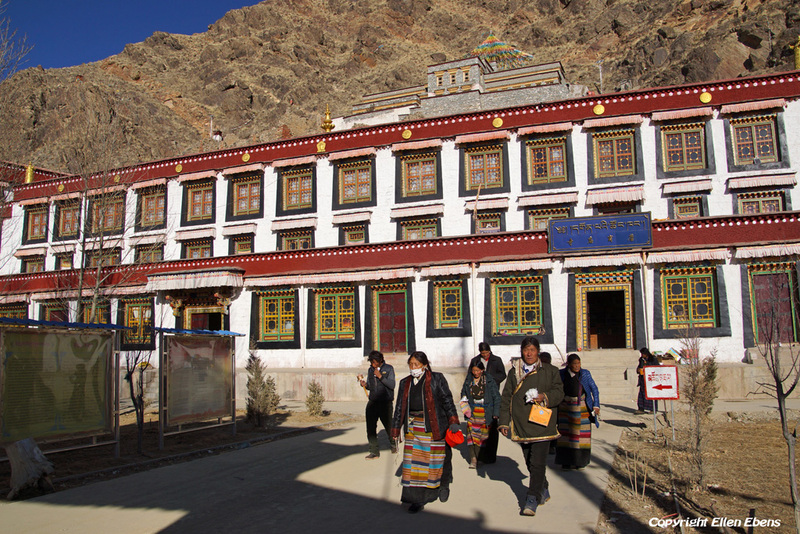 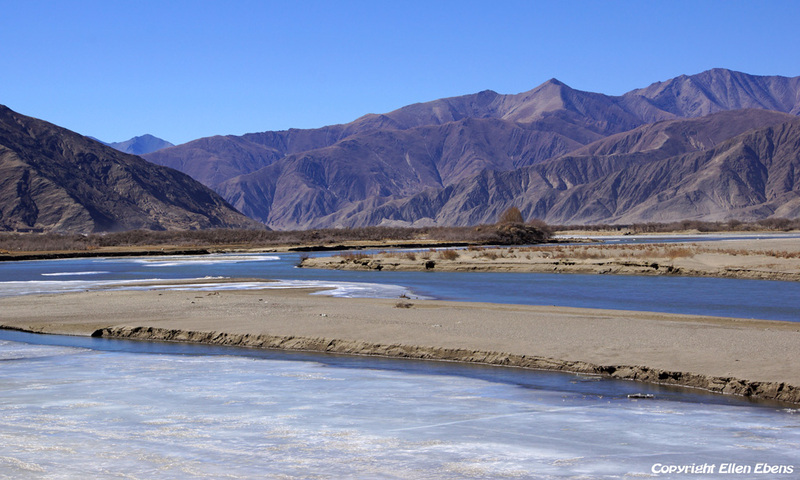 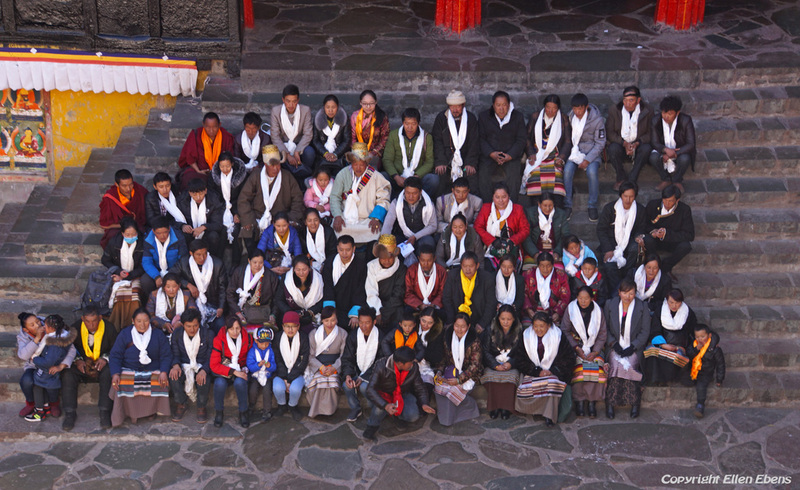 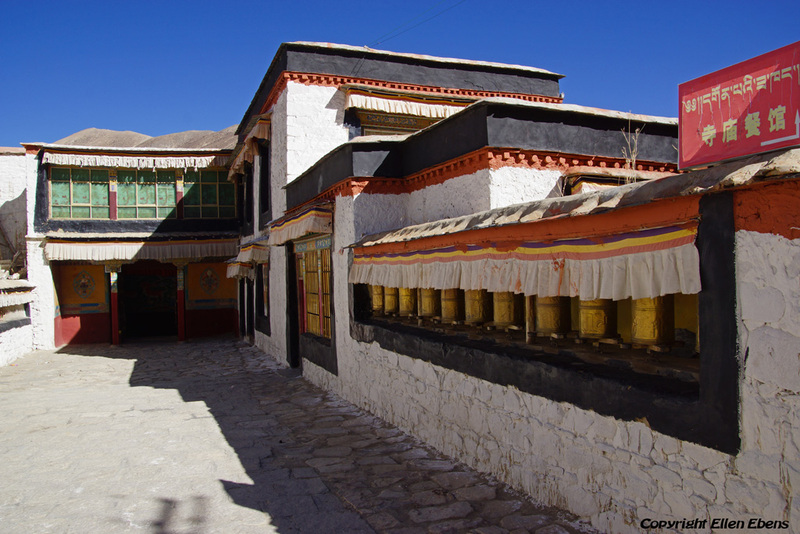 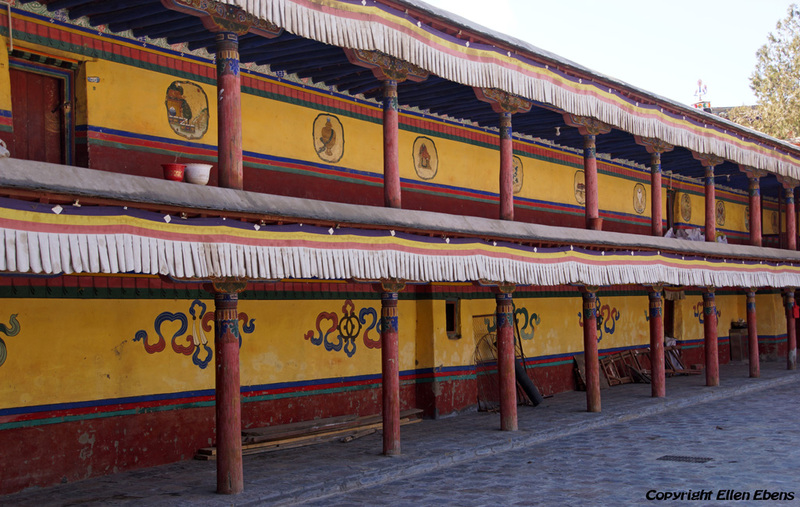 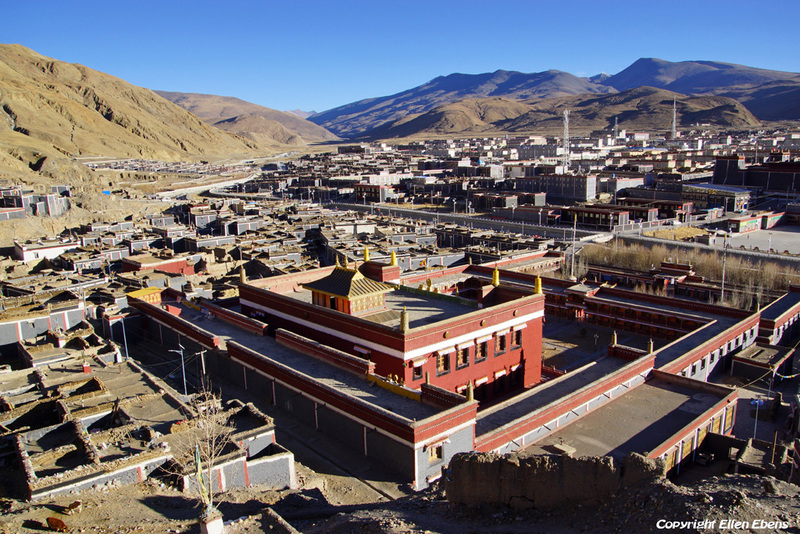 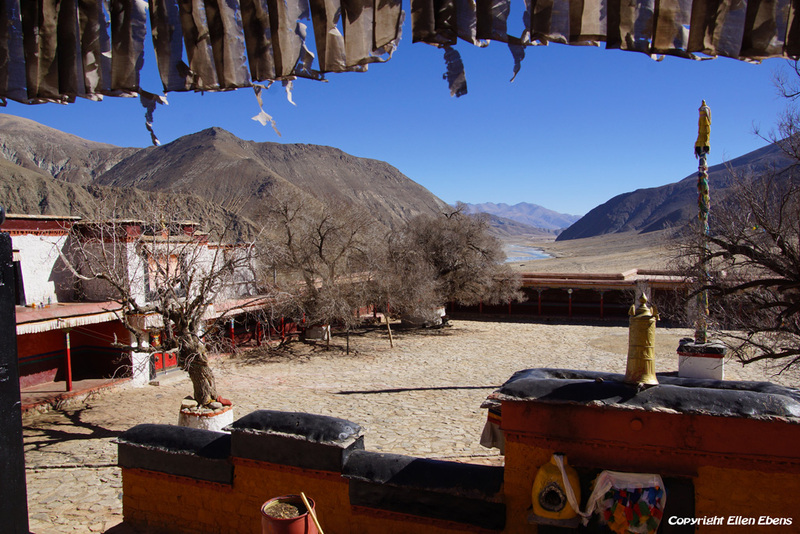 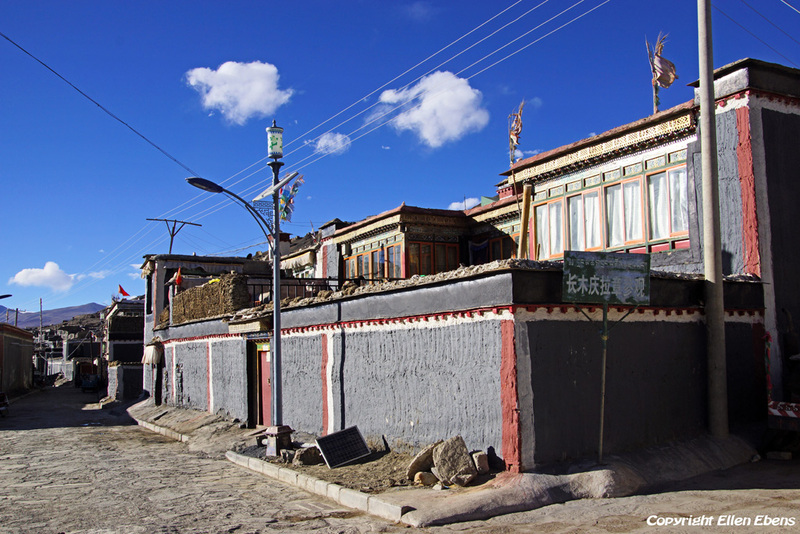 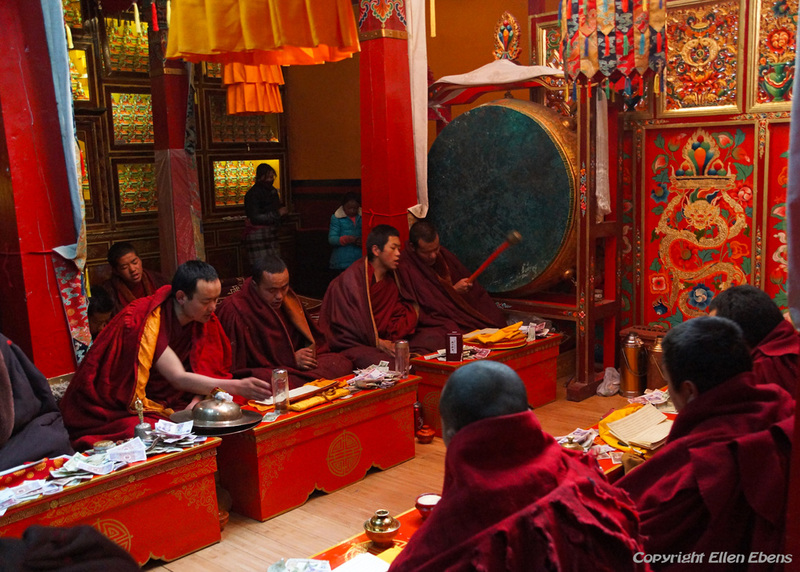 The name Sakya literally means ‘grey earth’, and is a reference to the unusually pale colour of the earth at the site.